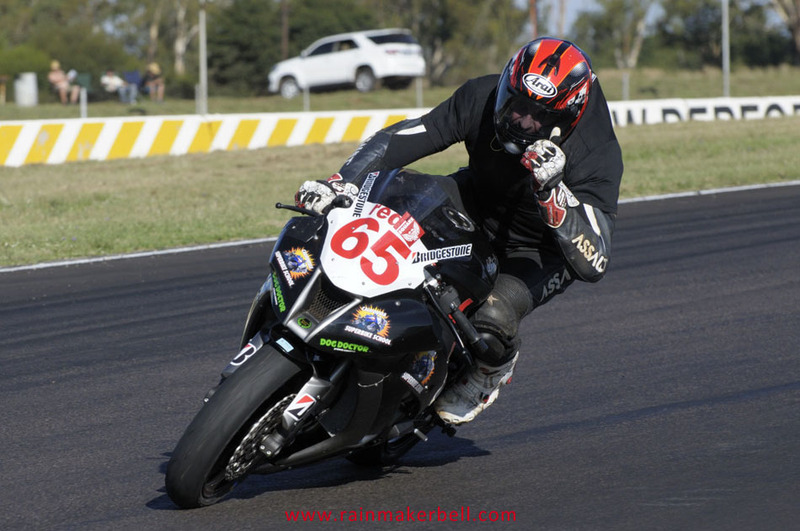 EXTREME MOTORSPORT! 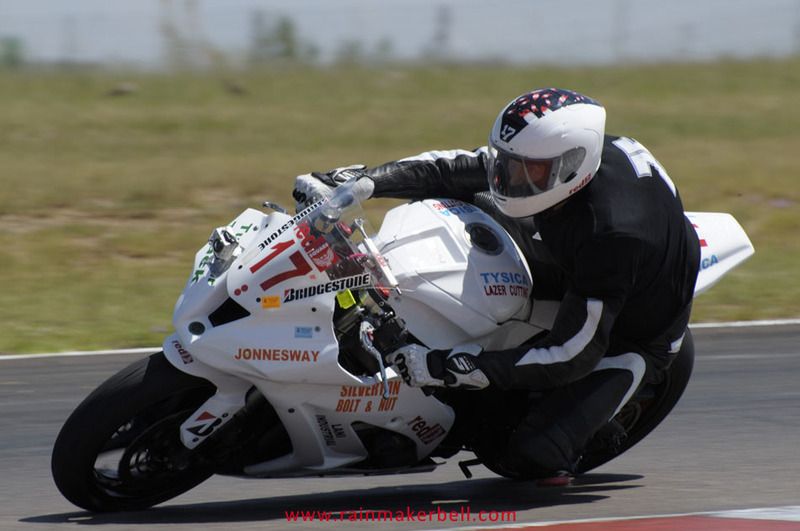 Zwartkops is ALIVE! 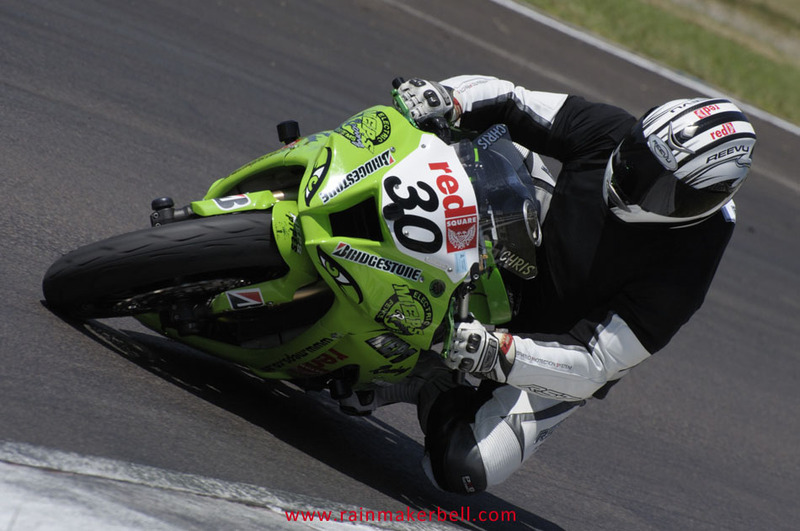 and vibrant. 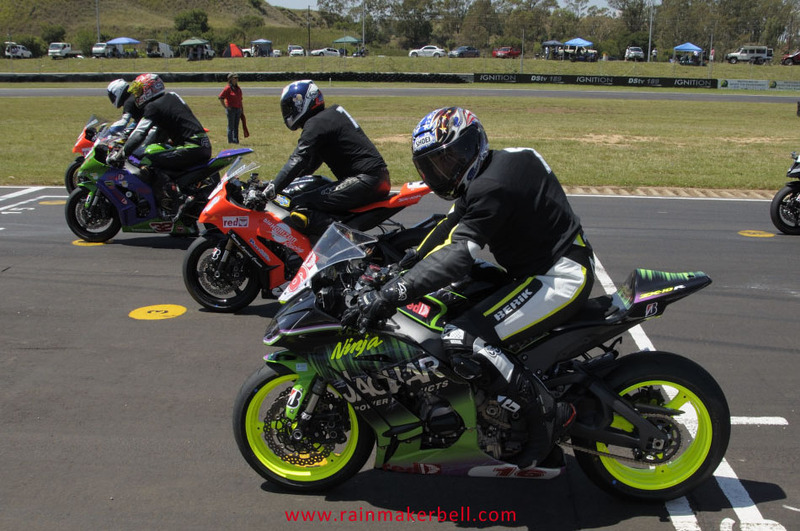 Aromas from the food stands, beer garden and of course high octane fuel were filling every nook and cranny. 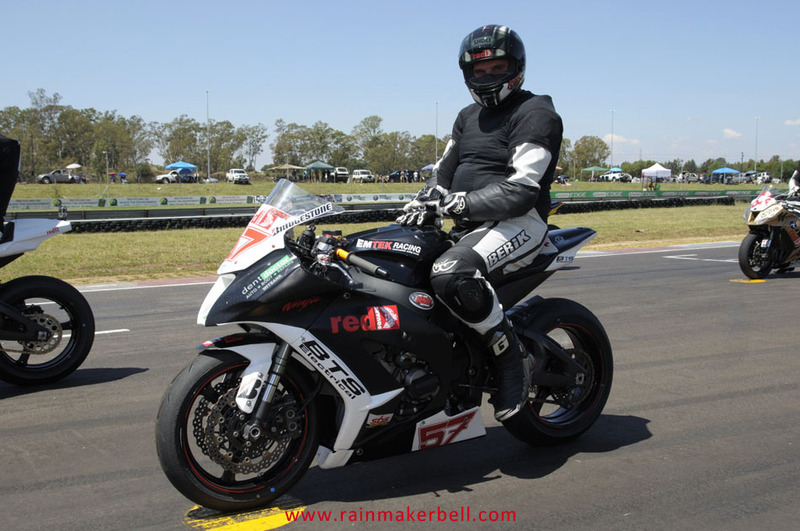 The Extreme Festival plays host to some of the most exciting classes, such as the V8 Masters Series, Extreme Supercars, Ferraris, Thunderbikes and the Brunch Run Challenge. 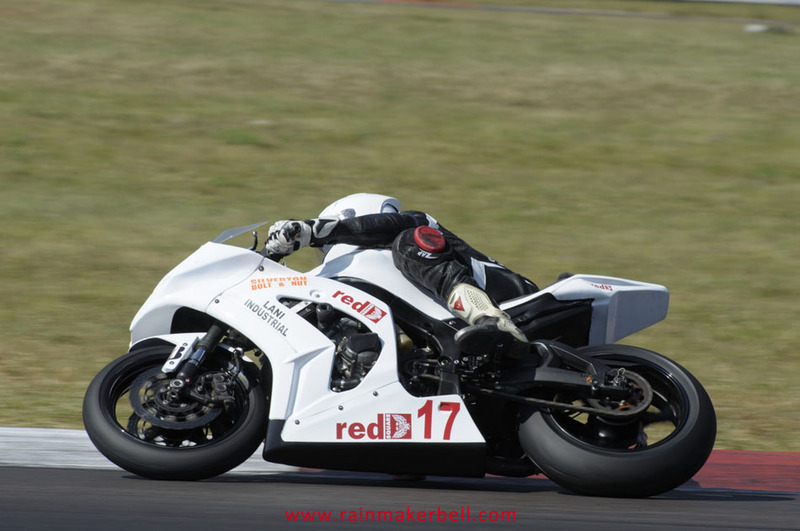 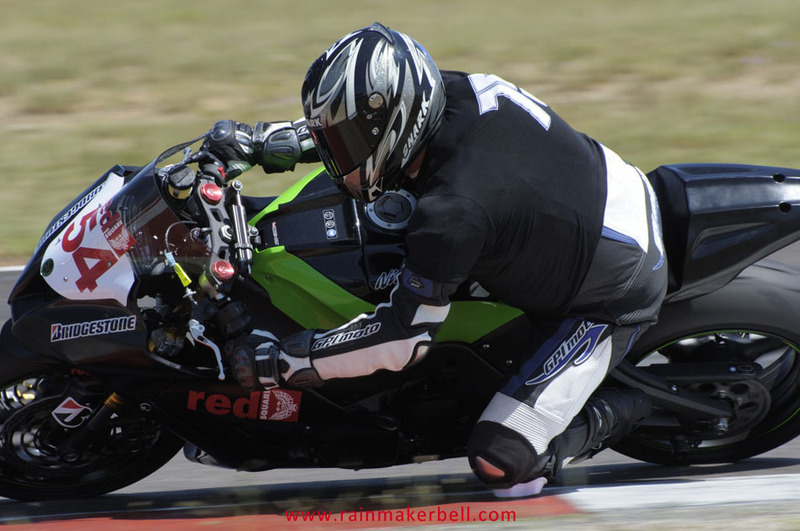 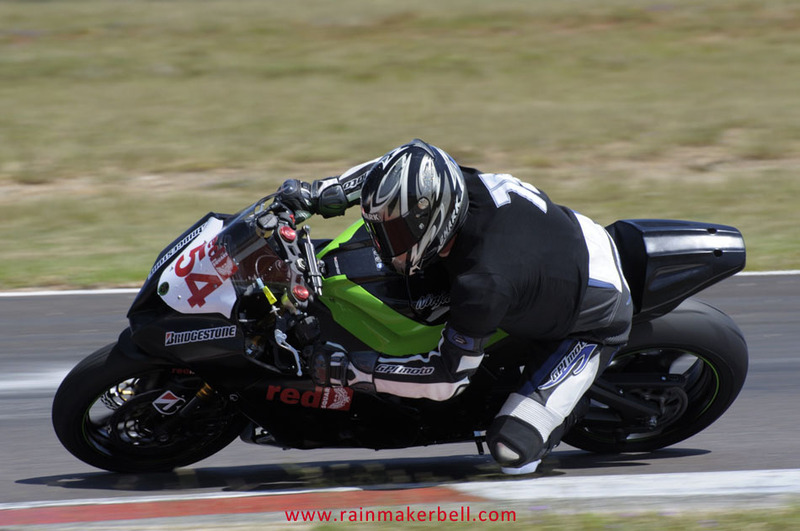 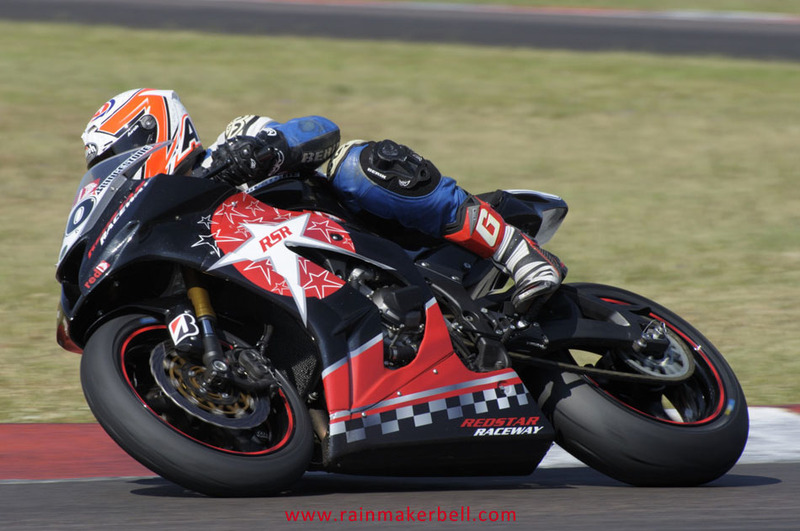 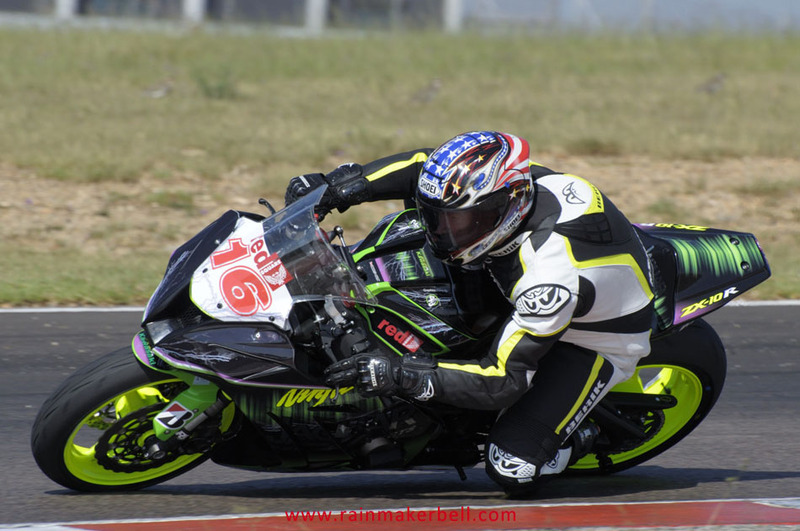 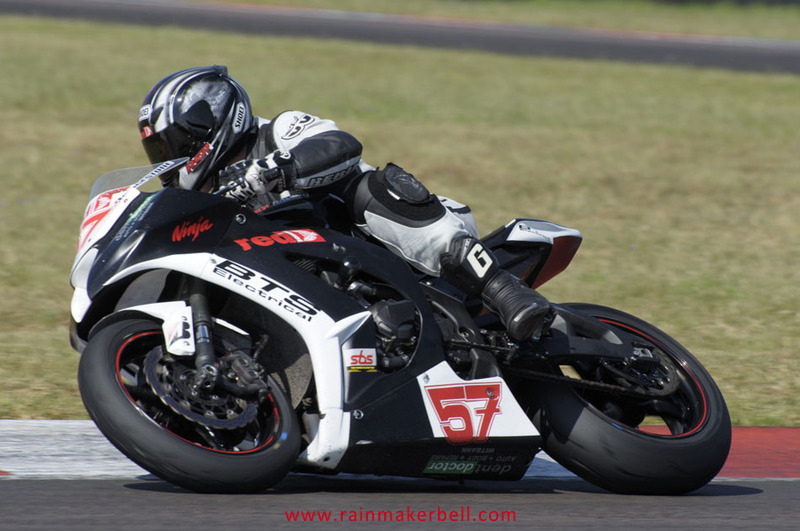 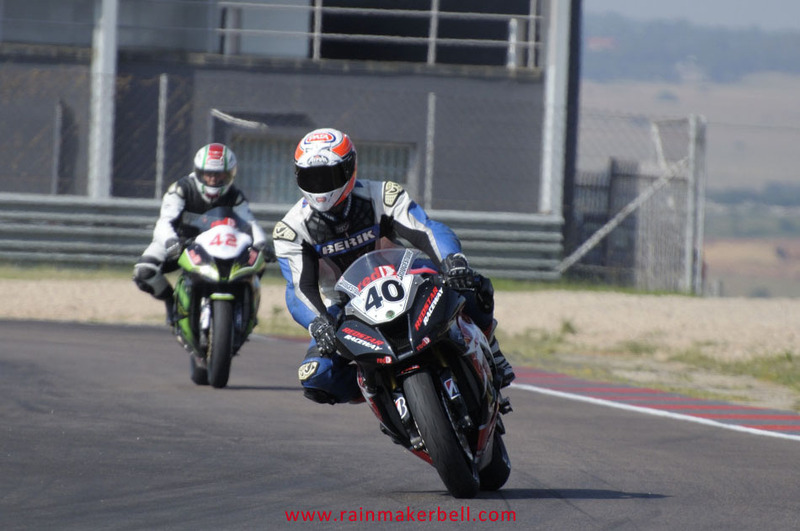 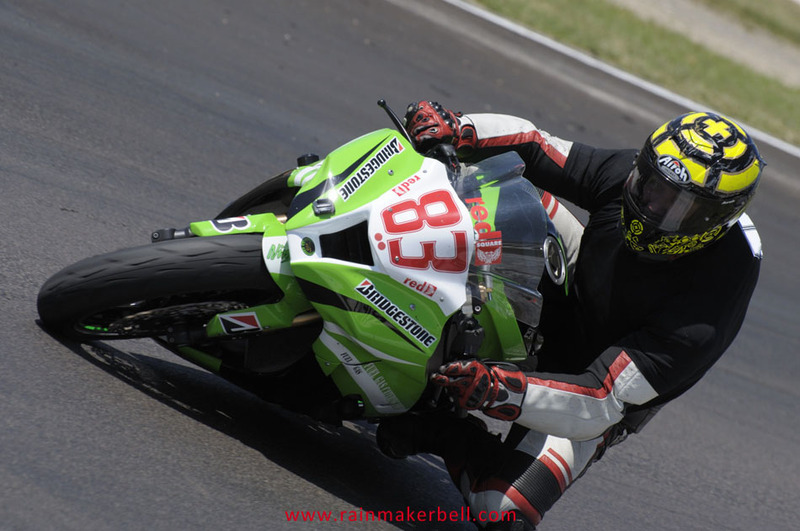 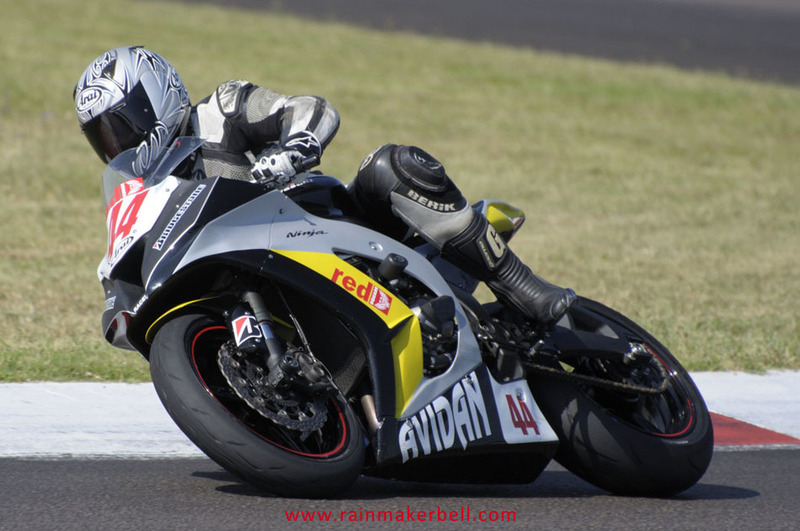 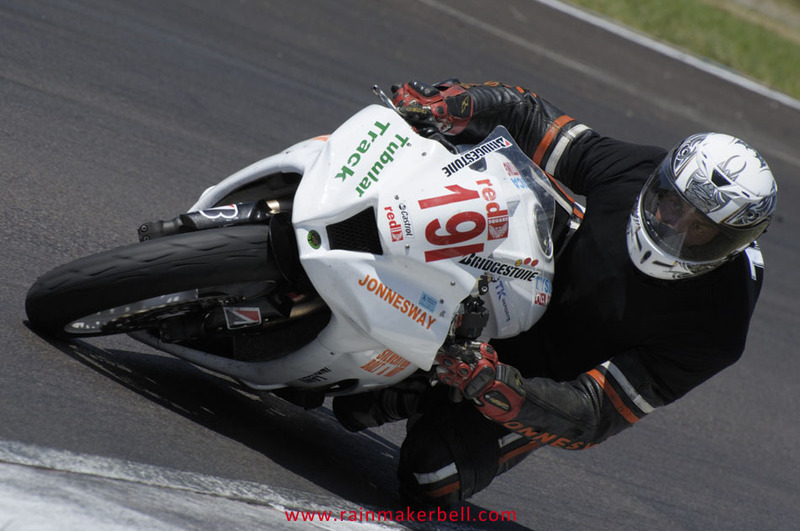 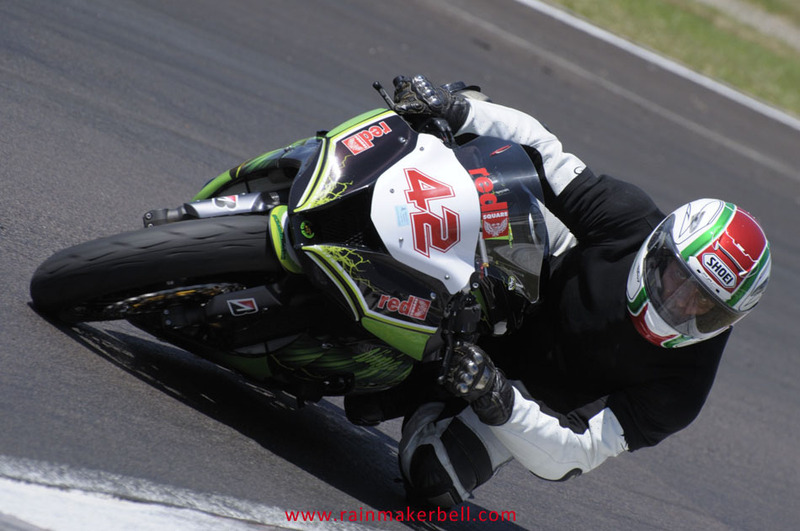 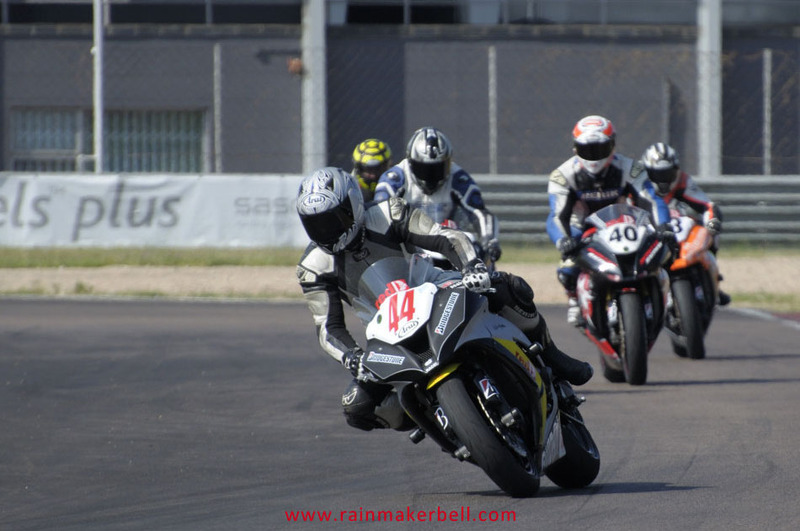 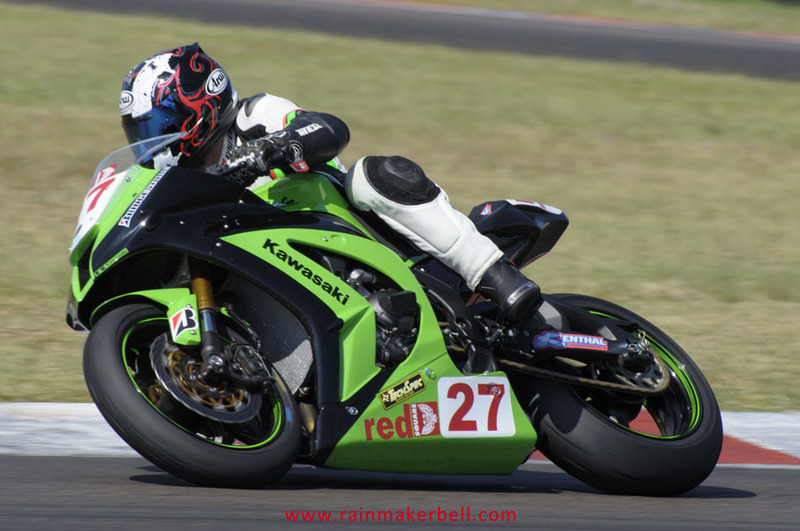 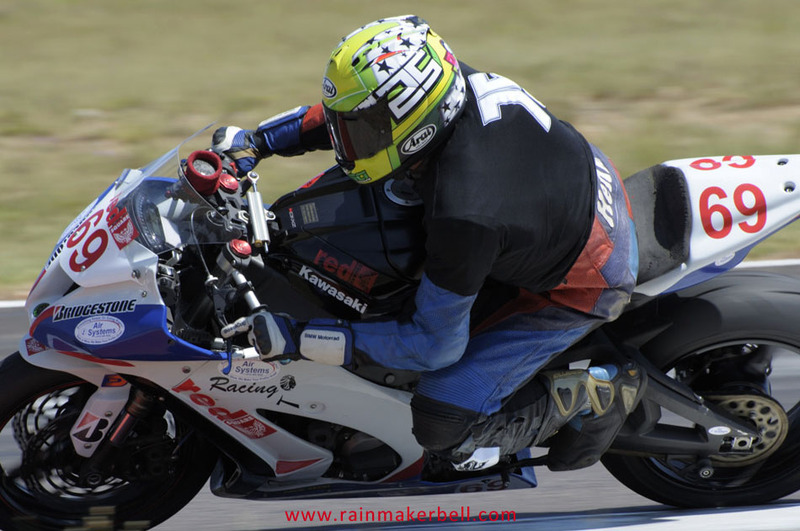 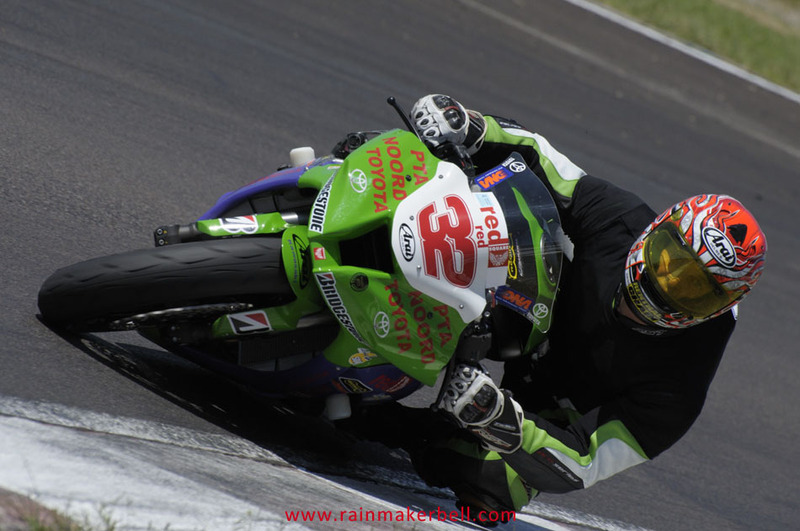 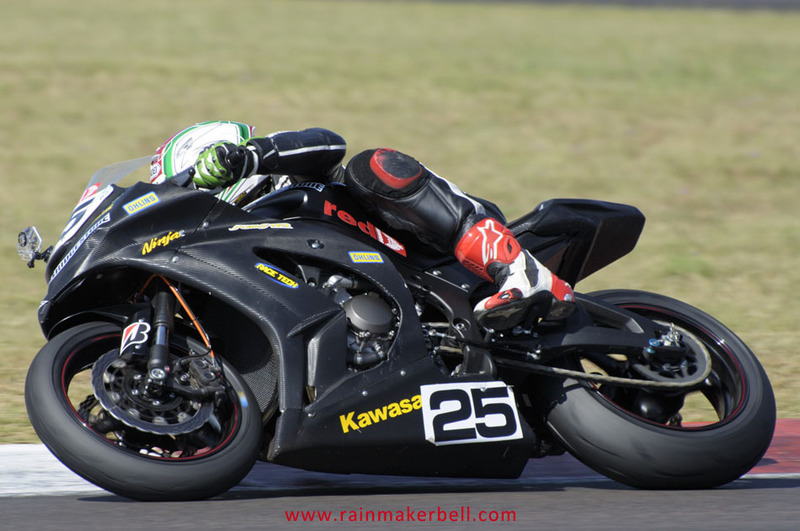 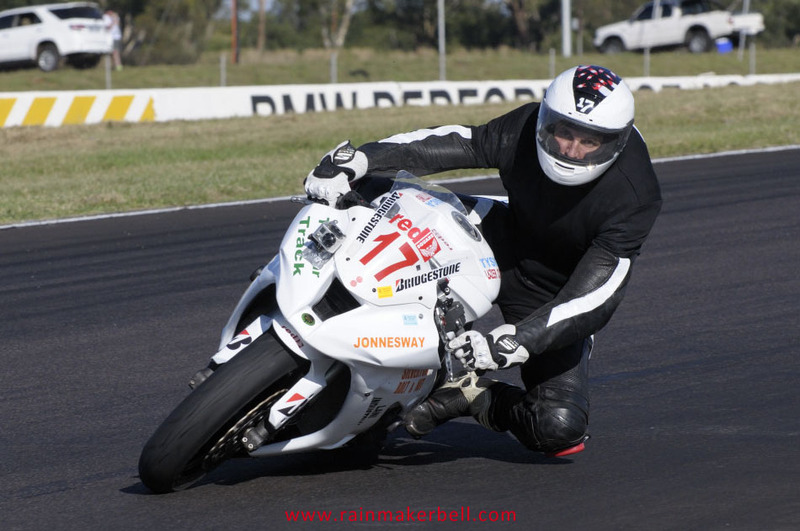 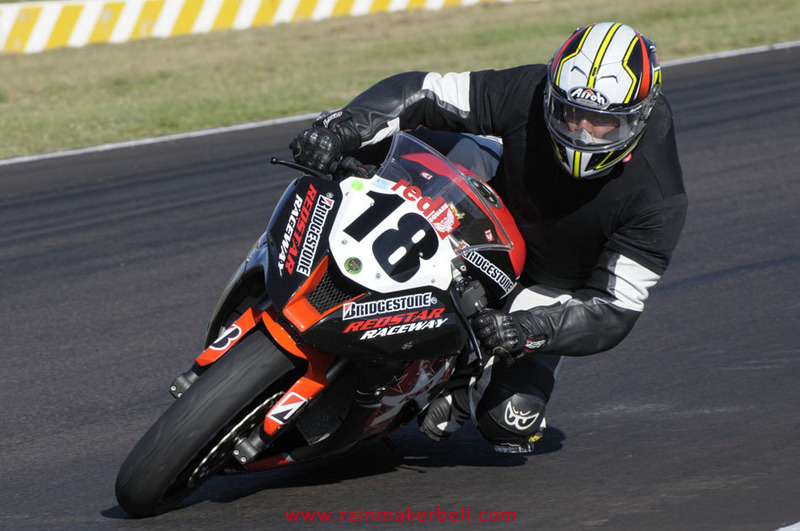 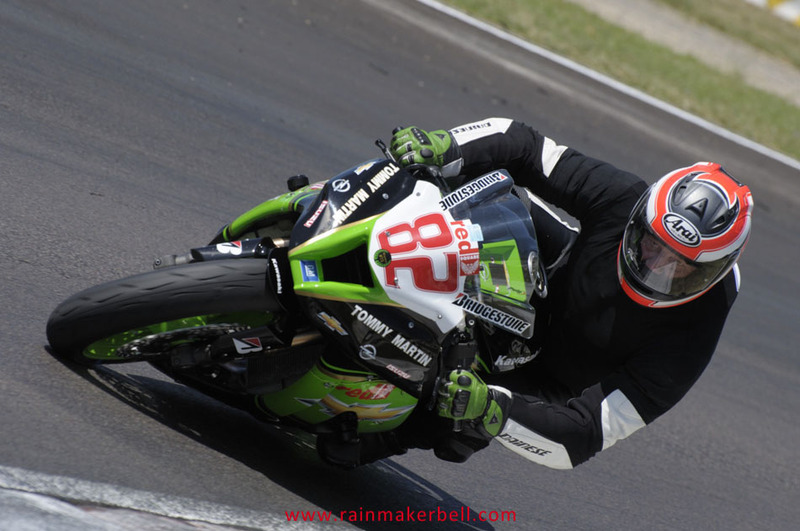 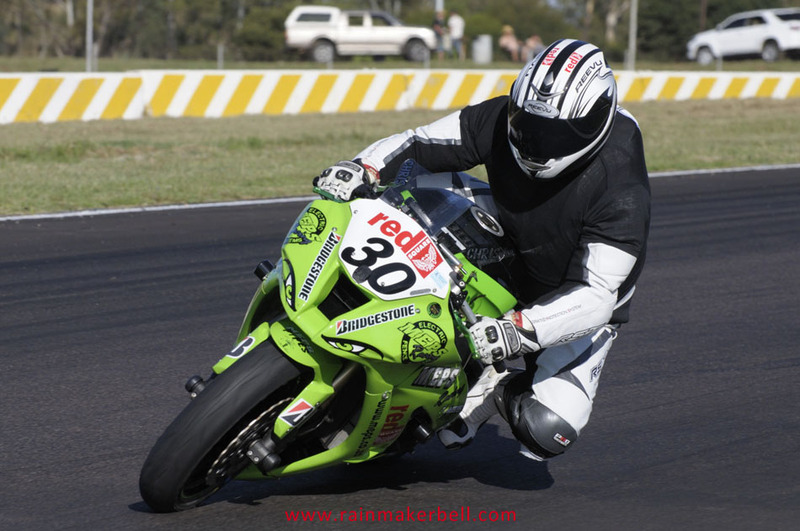 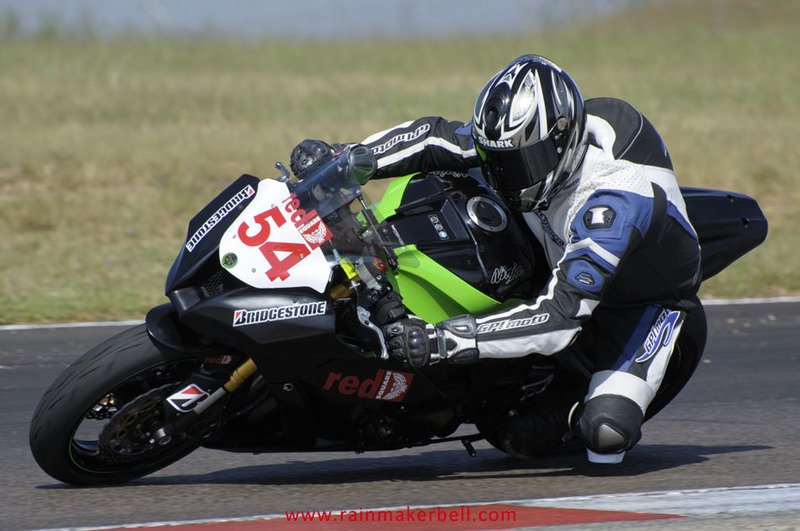 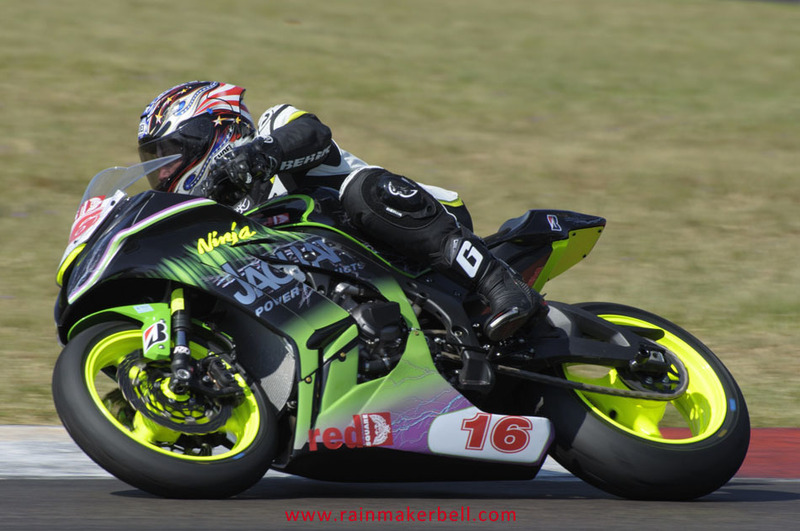 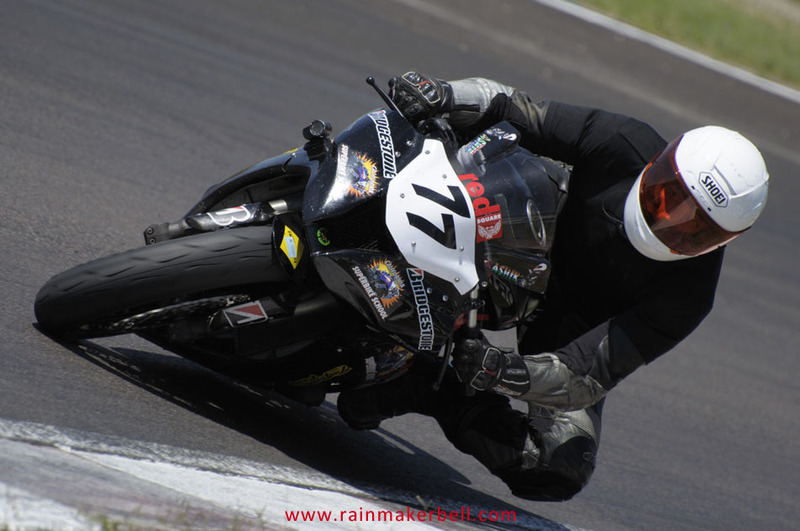 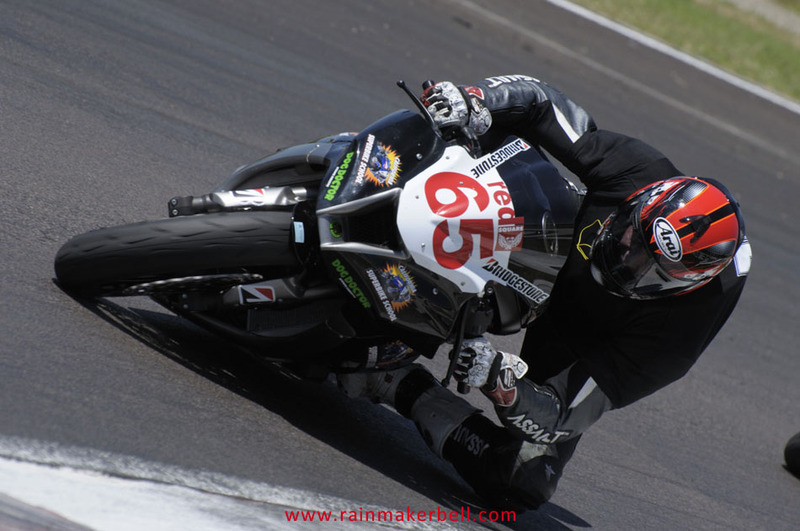 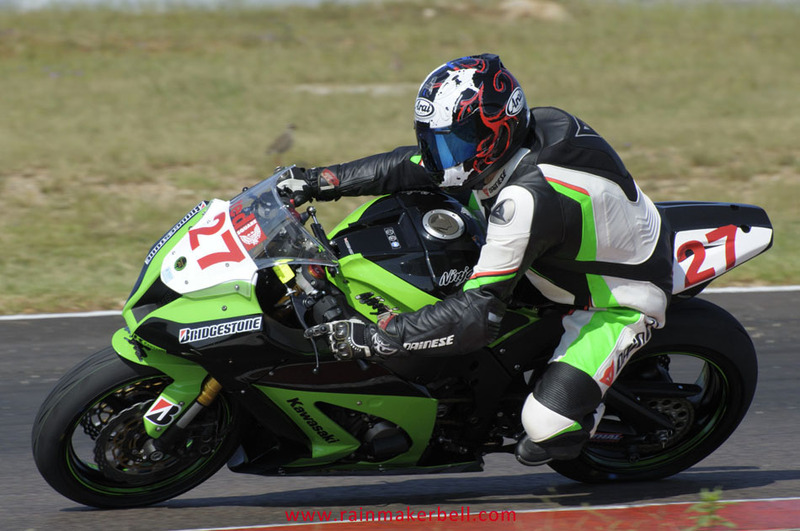 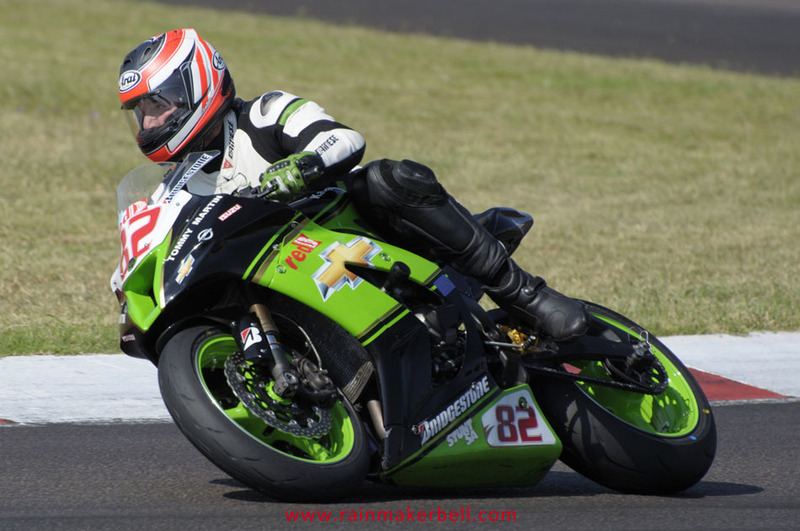 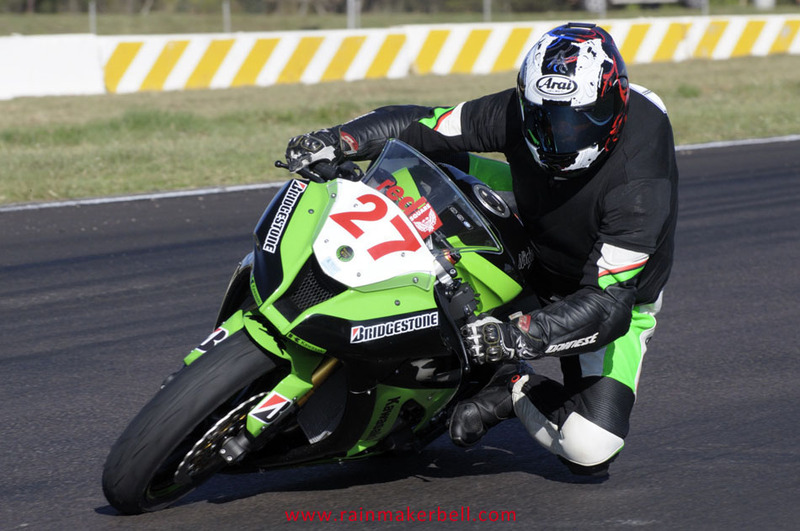 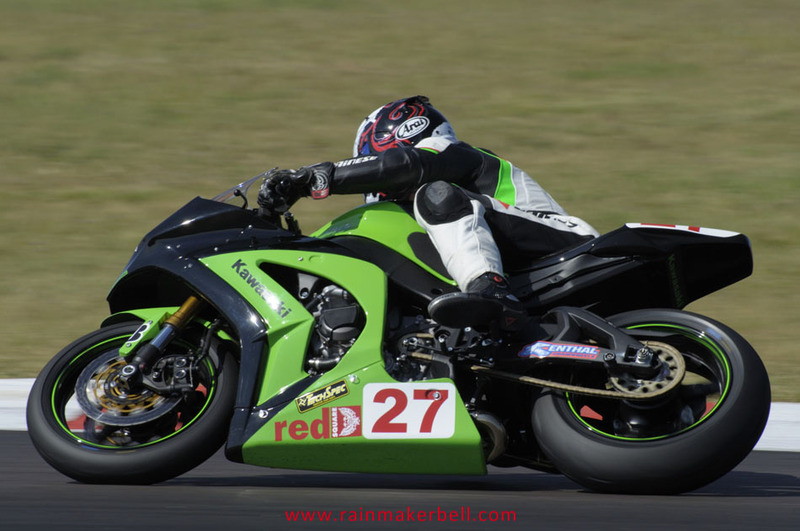 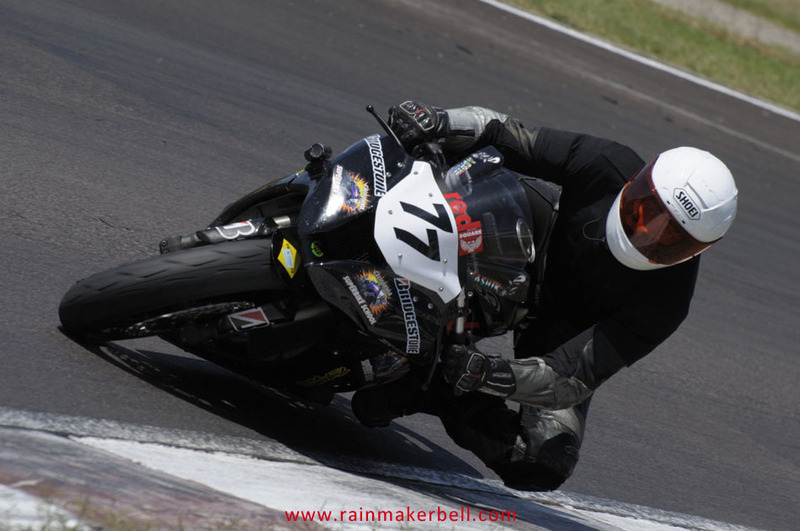 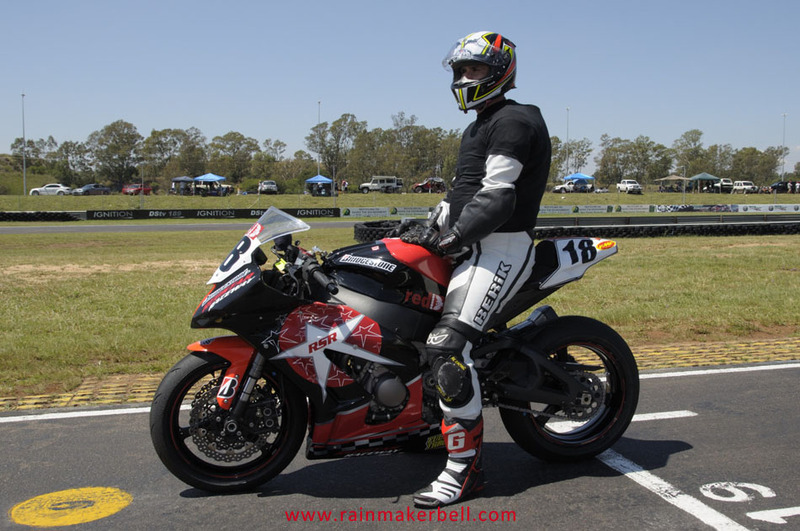 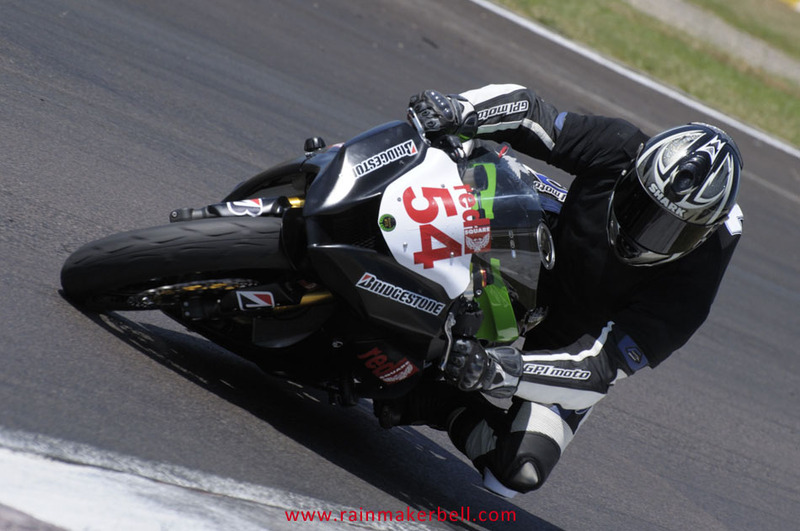 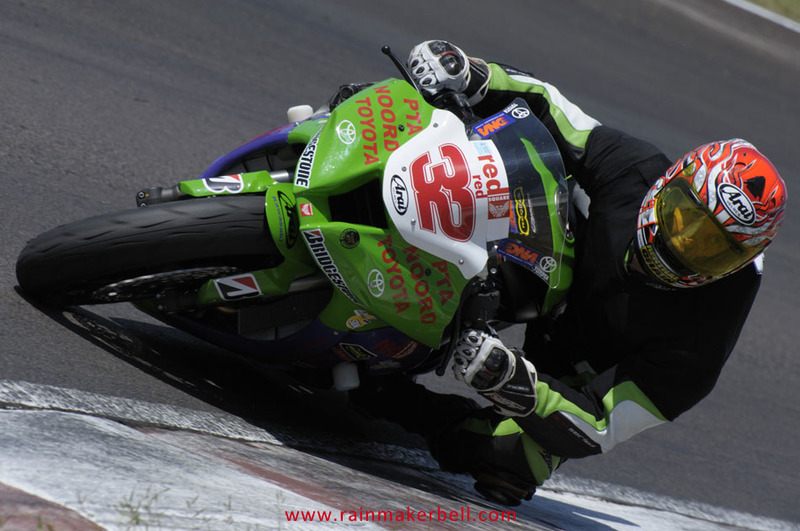 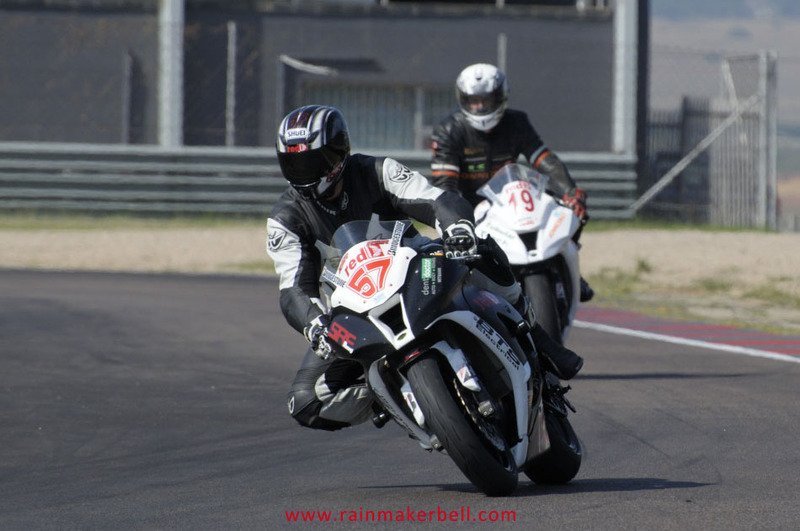 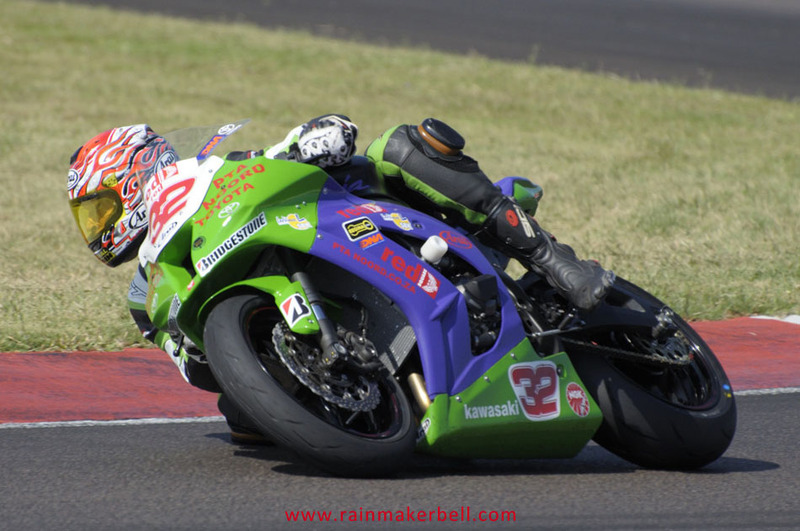 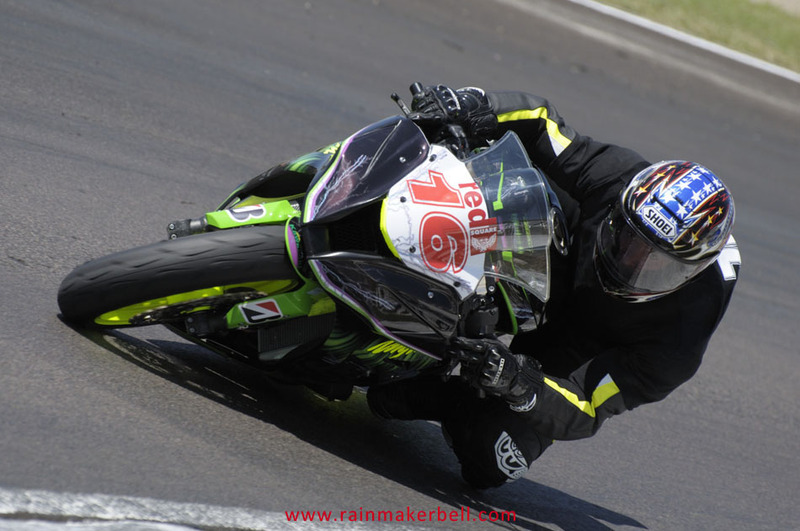 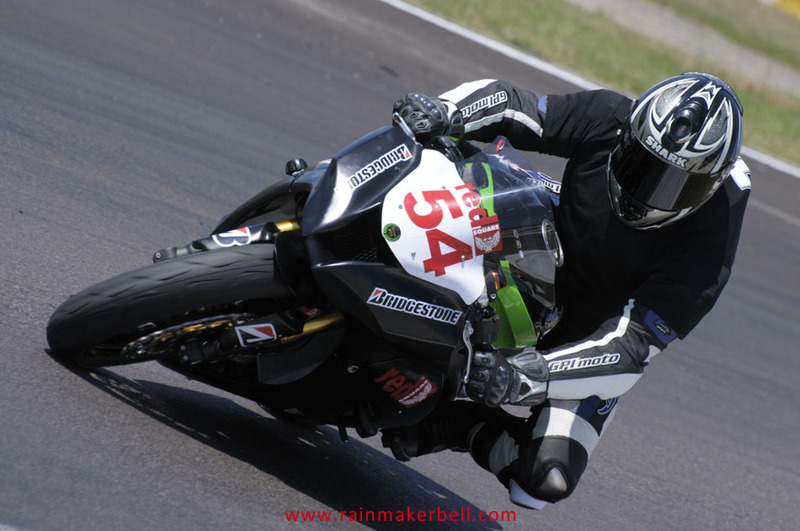 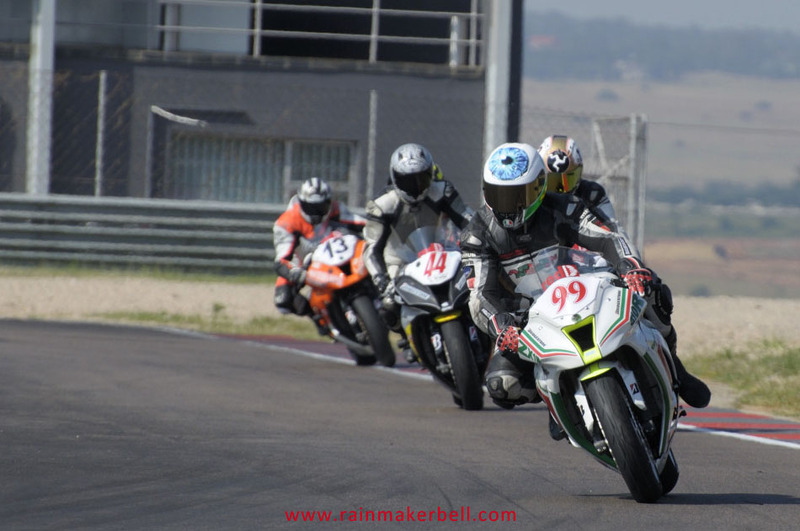 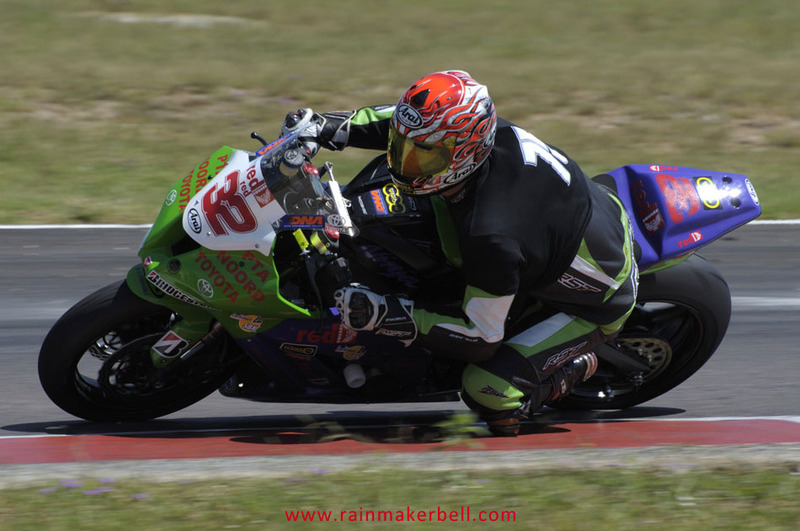 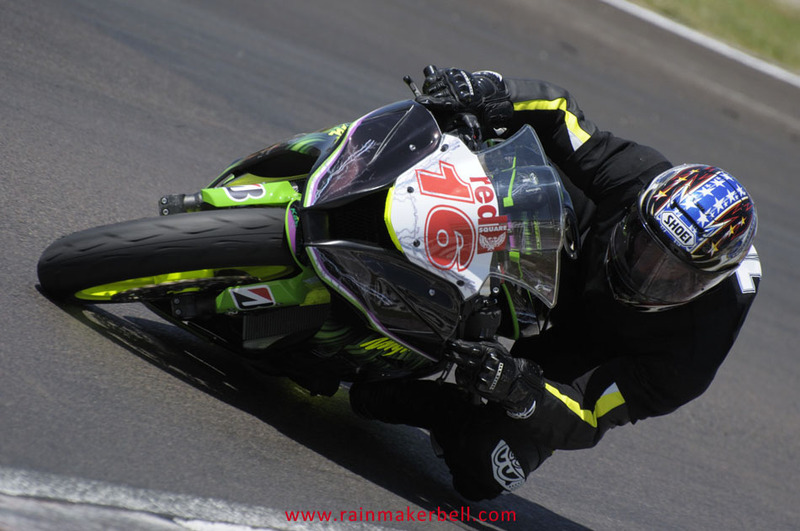 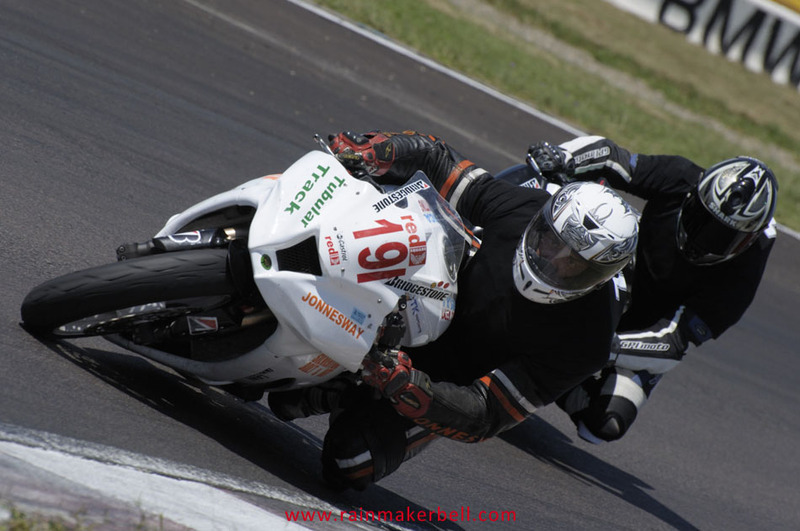 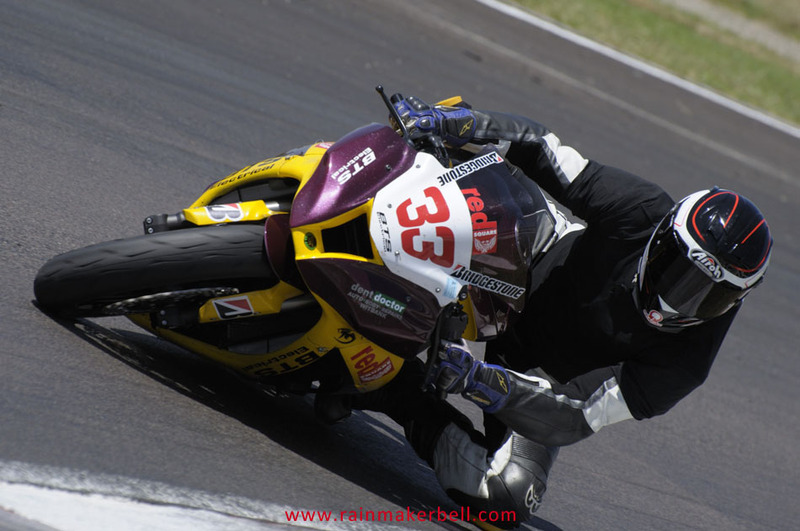 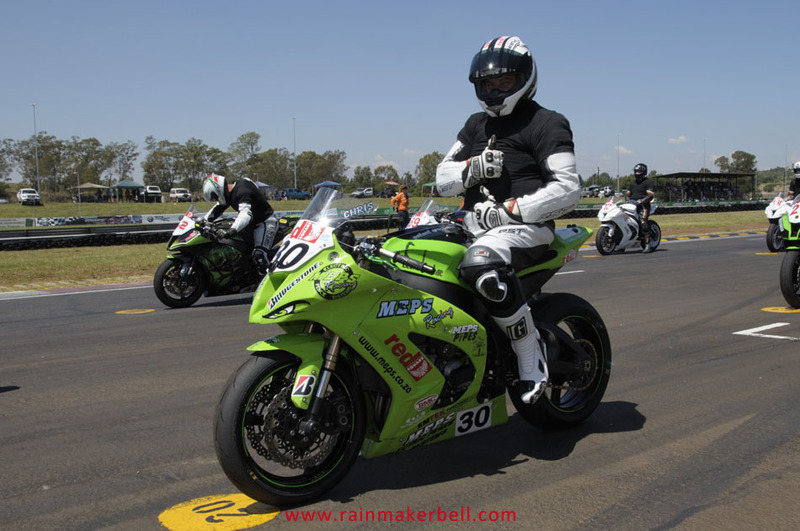 But the most exhilarating event of the day must be the Kawasaki ZX10R Masters Cup. 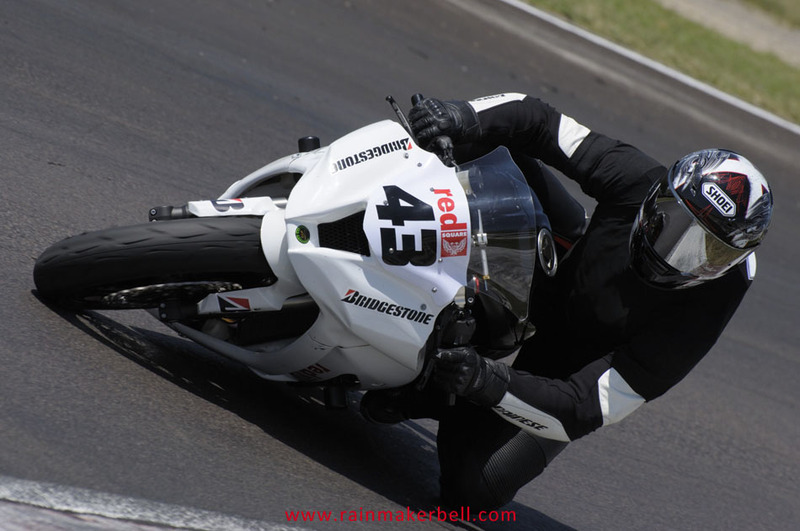 Although my loyalty gravitates towards the Kawasaki ZX10R Masters garage and its energetic over 35 (years of age) scoot jockeys; a small piece of my heart was left behind in the Ferrari garage housing Dorothy (Nicky Dicks’ ultra-red Ferrari F430). 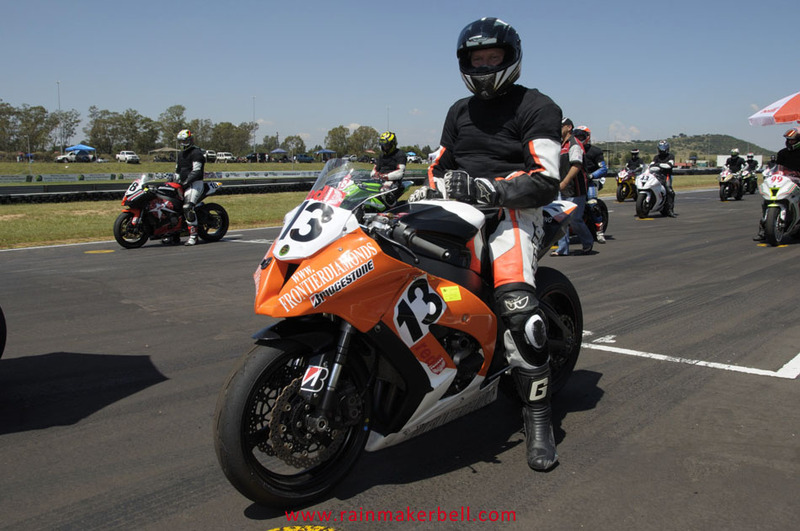 I fell in love with Dorothy after she gave me a quickie (laps that is) around Phakisa Freeway. 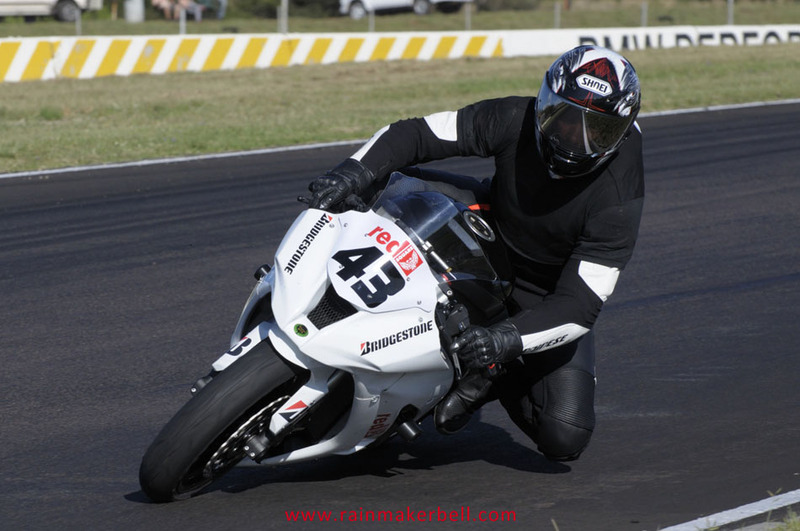 The best four minutes of my life! 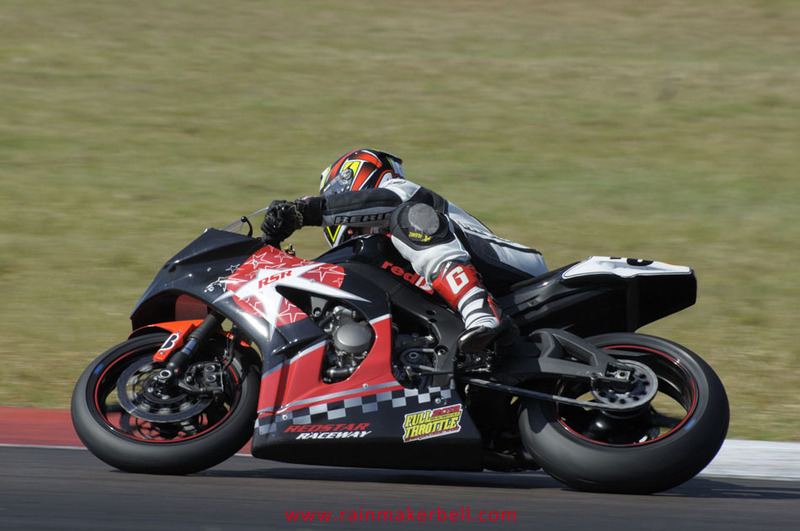 Welcome back to the track, Dorothy! 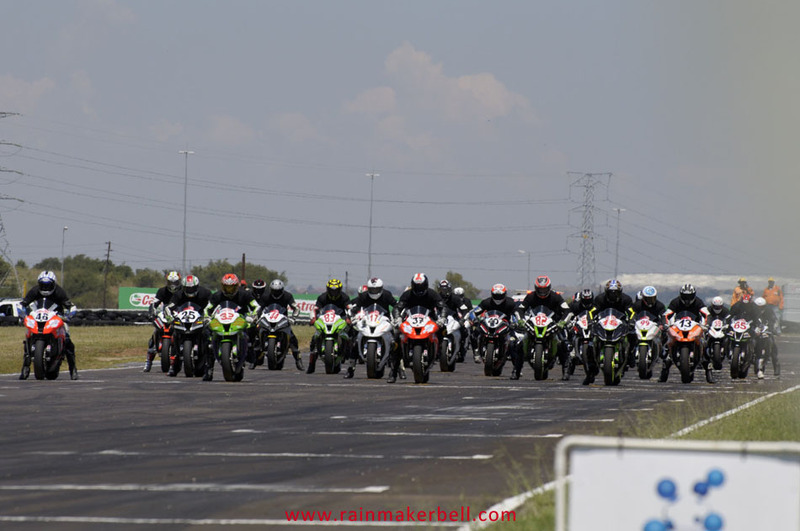 11H40: On the ribbon of black (Zwartkops raceway), 28 Kawasaki ZX10R Masters line up for their first race of the day. 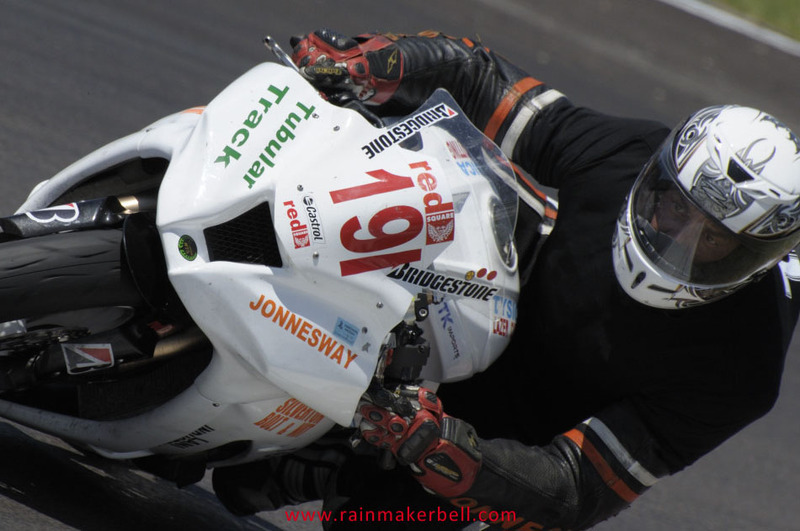 Overhead the unforgiving sun is beating down; a sombre cloud blocks its glimmer for a while, and then disappears. 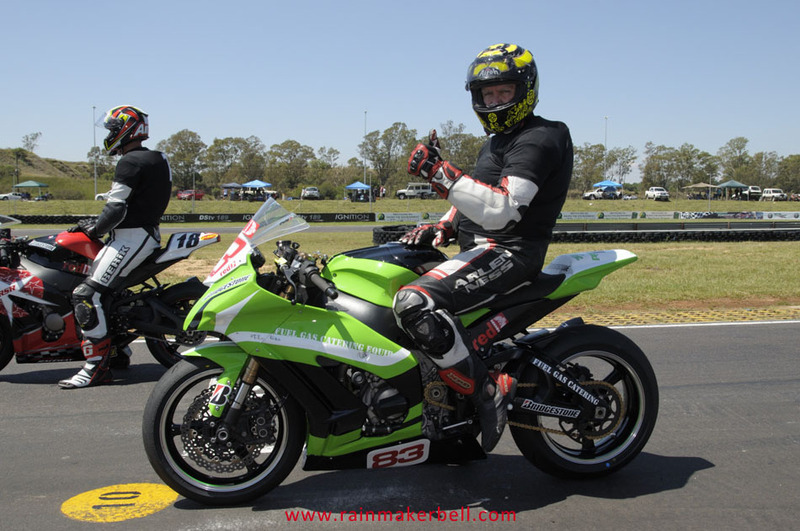 Today, they are racing in honour of one of their own—Warren Banfield. 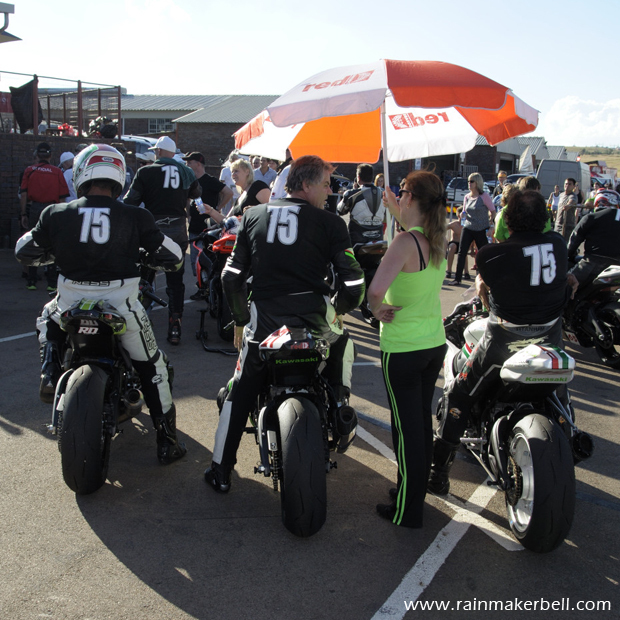 As a last symbol of respect riders are wearing black t-shirts bearing a white number 75, over their racing suites. 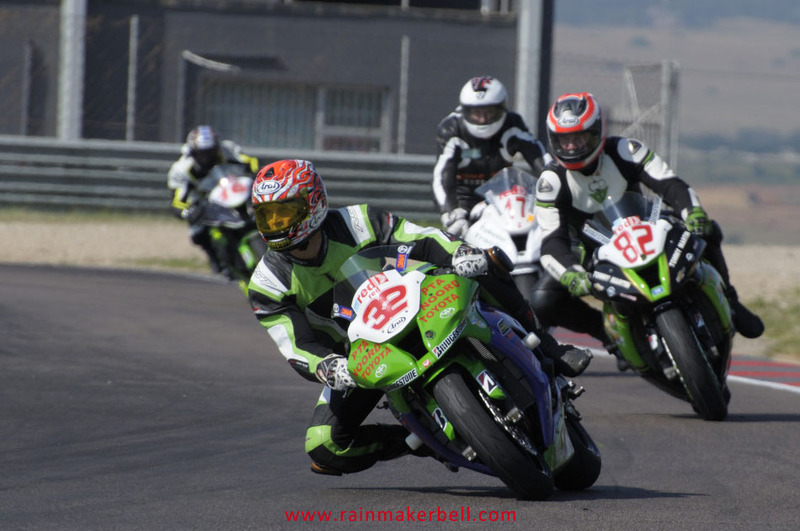 At the drop of the red lights the Kawasaki army blasted off down the pit straight; then into turn one* at almost full throttle, settling with ease into the short 90 degree left turn. 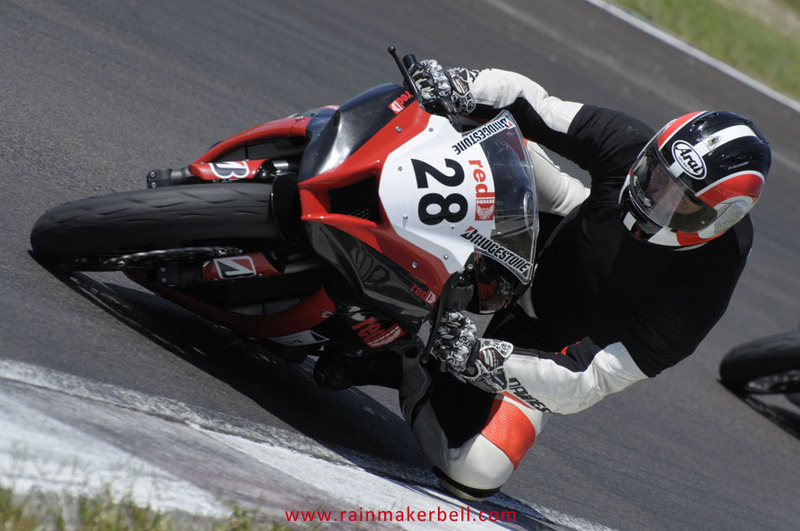 In a split second they slowed down to a mere 45km/h for the tight, hairpin shaped turn two, through the hairpin and out, leaving behind a shrill that could curdle the blood in your veins. 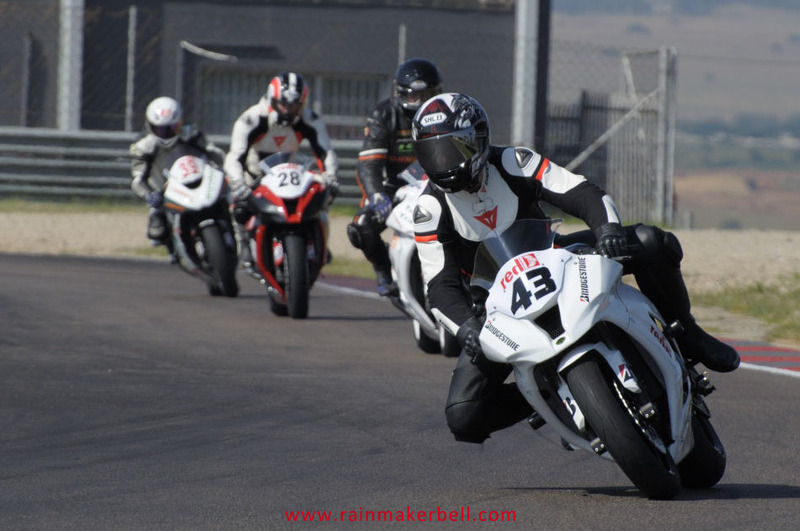 With the gas turned open all the way they enter the stretched turn three at approximately 175km/h; next is the quick and perilous turn four, responsible for many a scoot jockey’s unexpected get-together with Mother Earth. 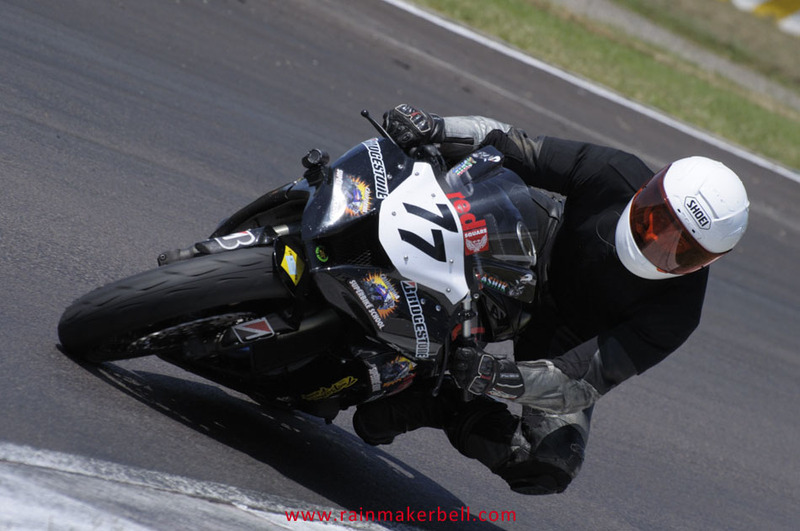 Then it’s up the hill towards the short turn five, which is known to cause trouble for “late-breakers”. 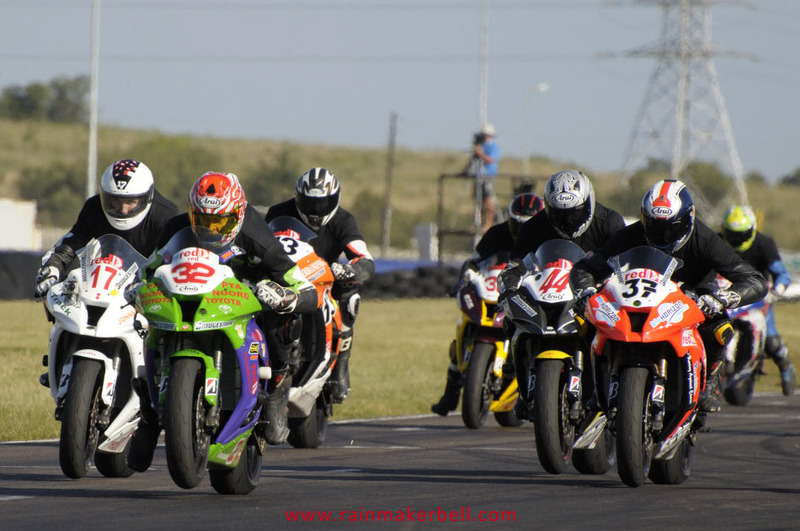 Into a slow turn six, quick turn seven, downhill into a slower turn eight. 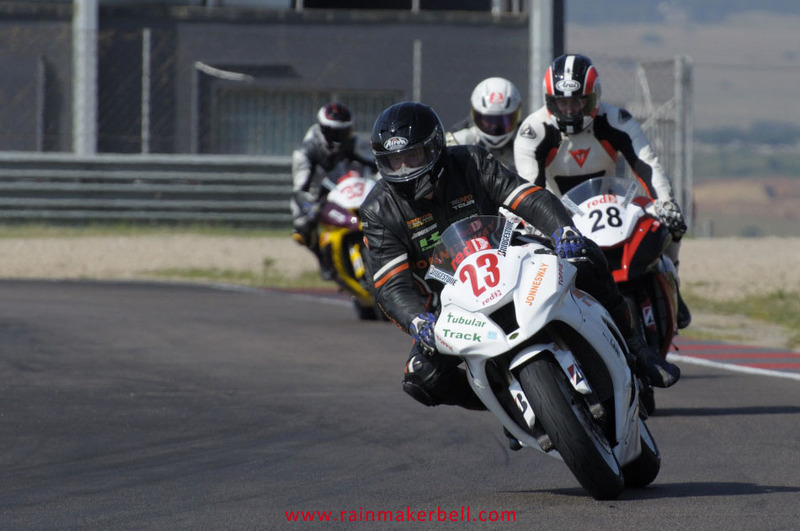 Then it’s back to opening the throttle down the pit straight, passing the cheering spectators at 187km/h or more. 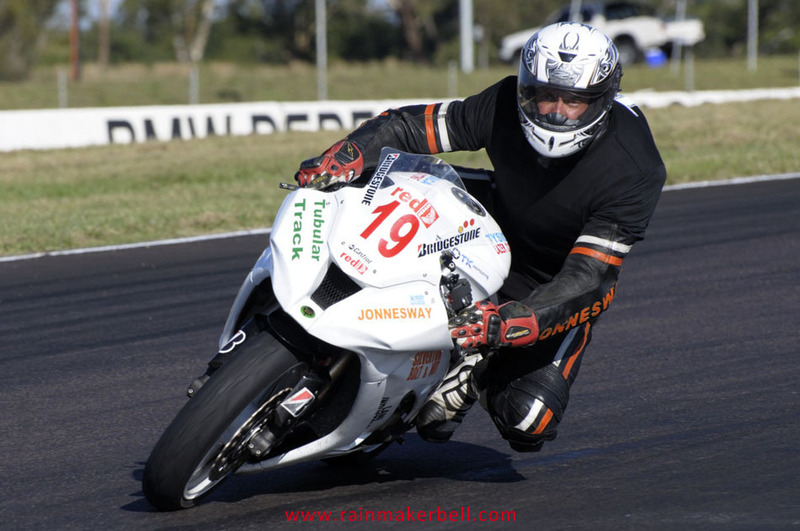 All this happens in just 64 seconds on a 2.4km racetrack and are to be repeated another nine times, until the chequered flag delivers the final verdict. 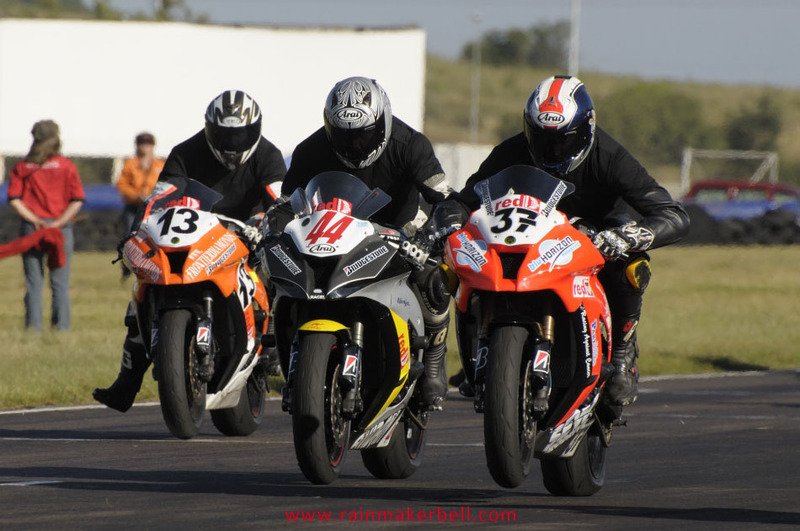 In the parc fermé the elation on their wet faces was prevalent; their backs however displaying a different story. 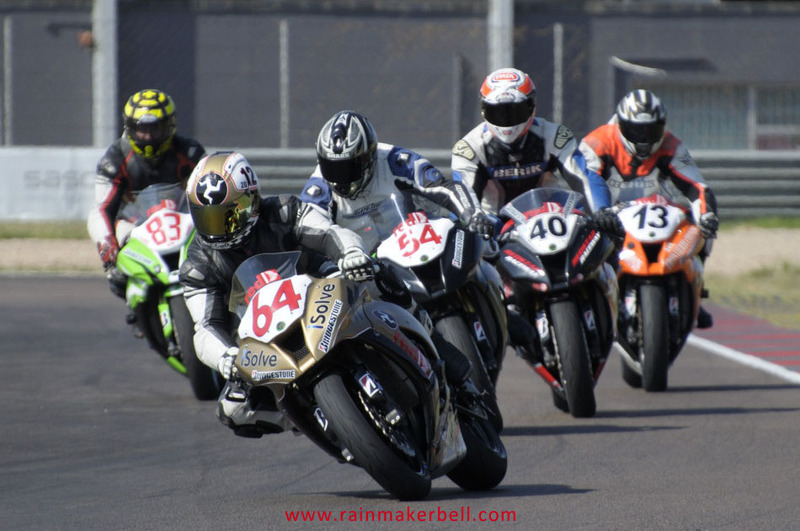 As they scooted out of the parc fermé (at a slow pace) towards their race garage, many onlookers followed them, sharing in the glory, joy, as well as the black moment of these tenacious Masters. 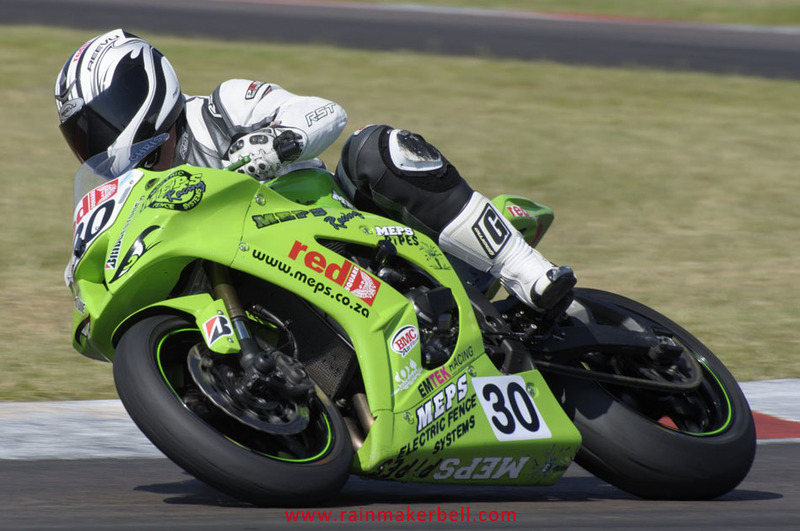 After the exhilaration of the race has passed and the vibrant noise of idling Kawasakis quieted down, you might find some fast asleep in their favourite camping chair, dreaming of homemade rusks and filter coffee—maybe? 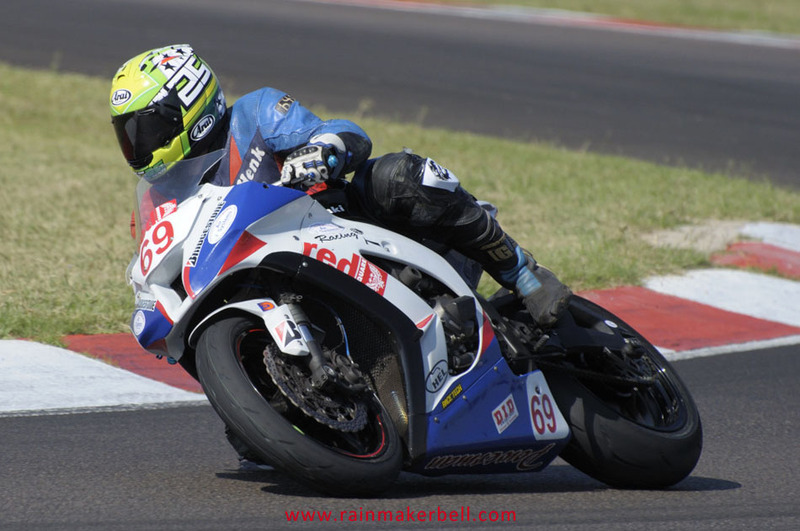 The day ended well for Stewart MacLeod #46, who took top podium position in both races, followed by Gavin Lightfoot #32, Paul Jacobs #37, and Brian Bontekoning #16. 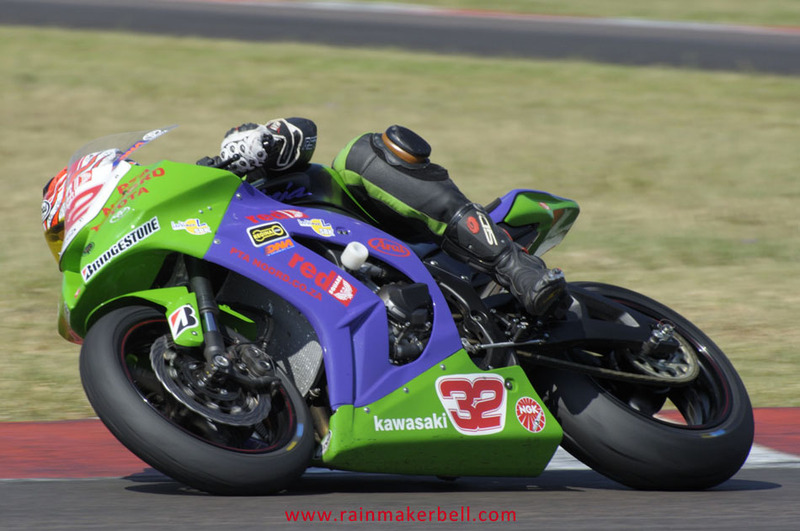 The biggest surprised was however caused by Paul Jacobs #37 on his new Kawasaki, who showed that he will be a force to be reckoned with when it comes to the point standings this season. 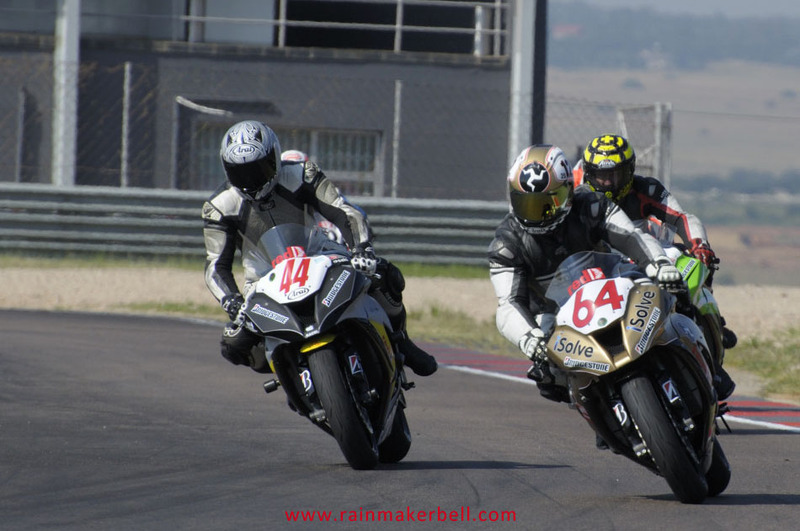 The second race ended in exactly the same sequence, 46 – 32 – 37 – 16. 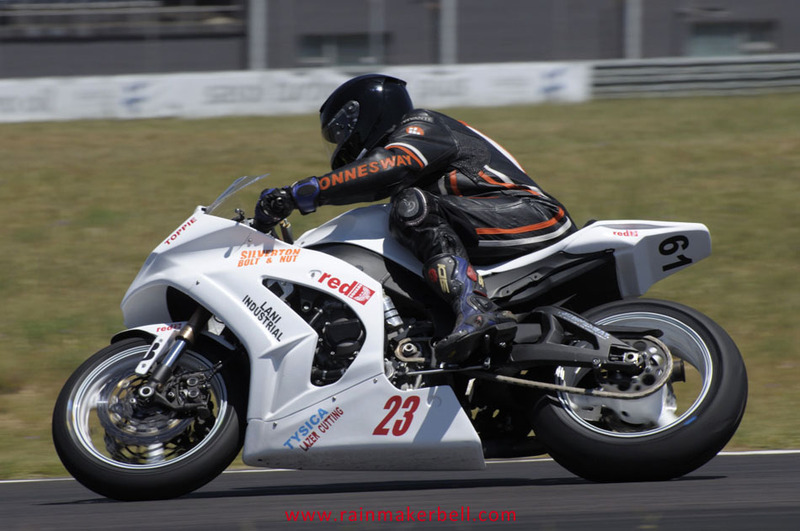 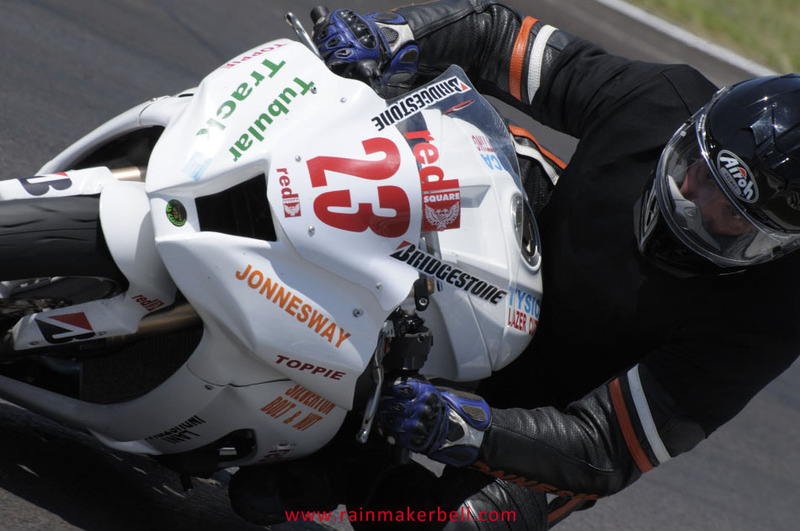 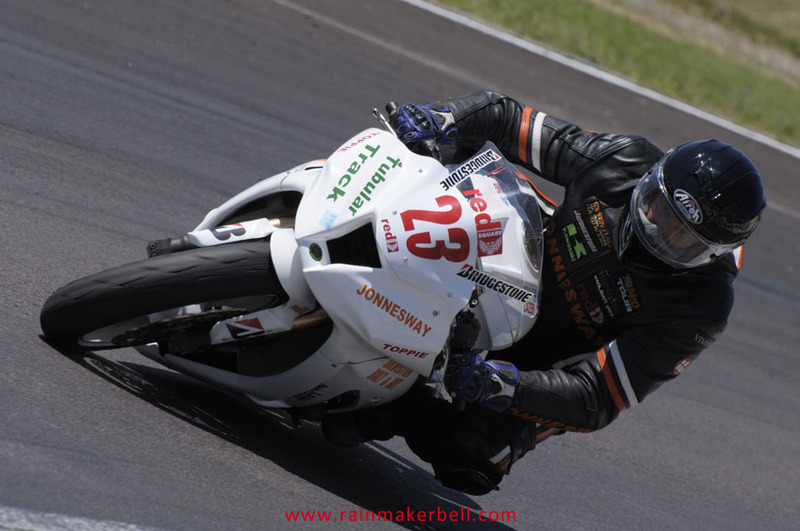 Although Stewart clocked some impressive times for the day: 01:04.124 in race one; 01:04.183 in race two, he only won the second race by the skin on his back; only 0:00.445 separated him and second placed Gavin Lightfoot #32. 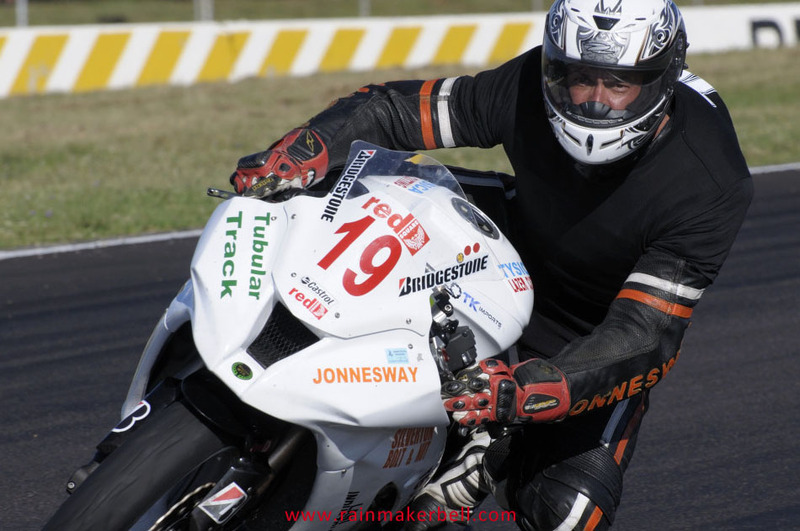 Is Gavin taking his time to reel in Mac Attack? 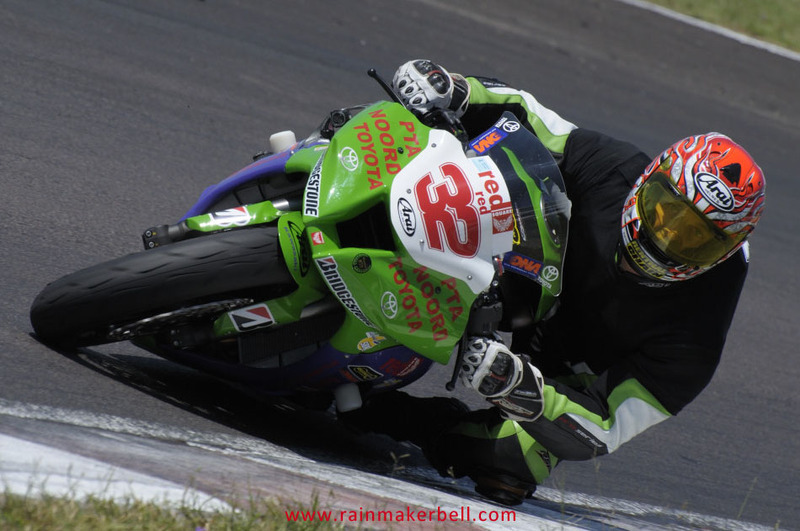 Will we see Mac Attack being reeled onto the boat at the next race? 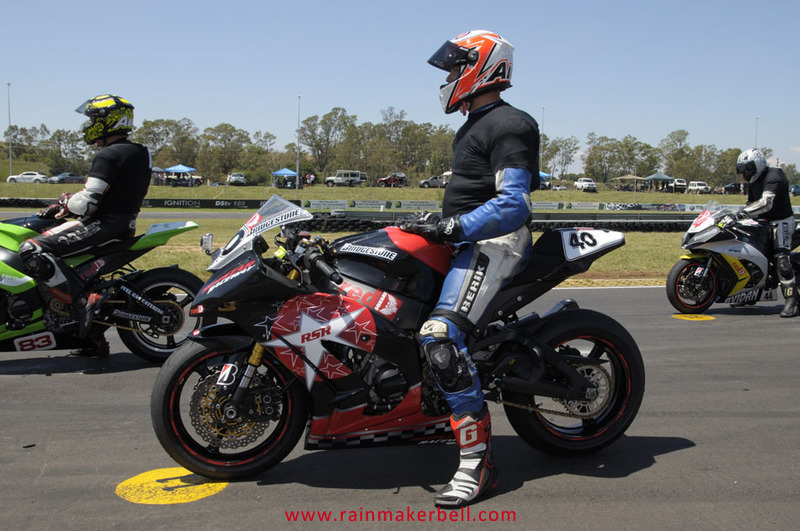 Well, we’ll have to wait and see. 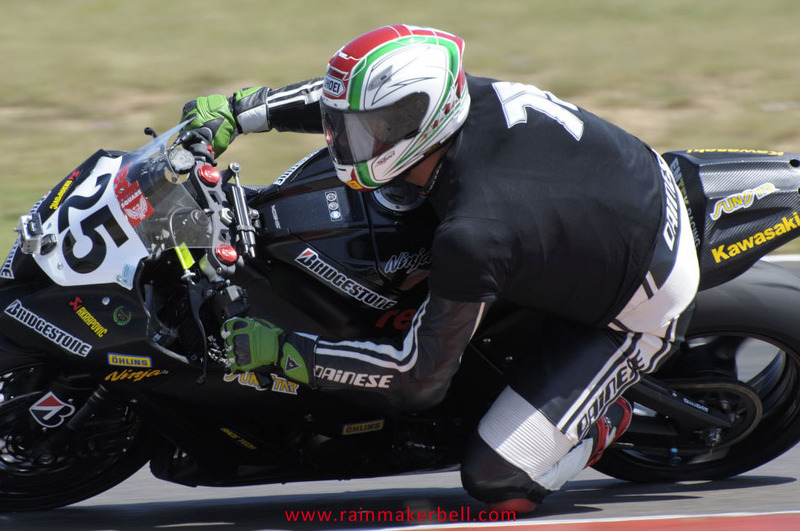 On the ribbon of black, 28 men were wearing the same number, honouring their friend and fellow contender; paying last respect to a true hero—Semper Pugnans; Semper Fidelis (Always Fighting; Always Faithful/Always Loyal). 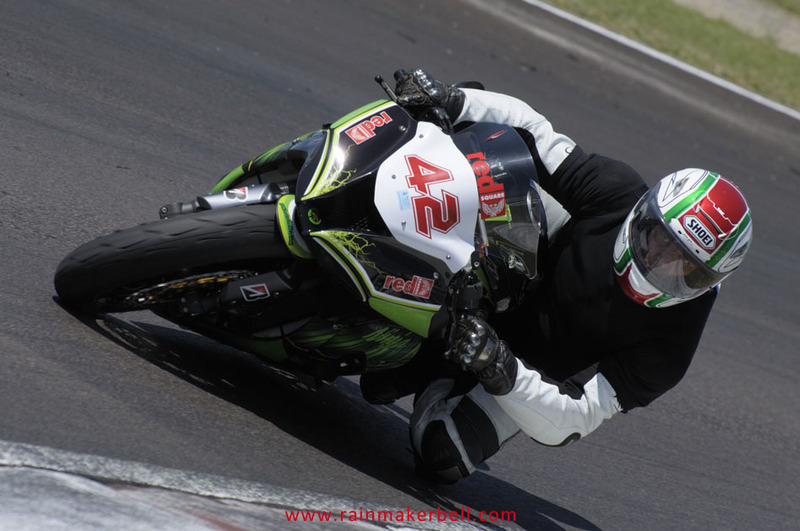 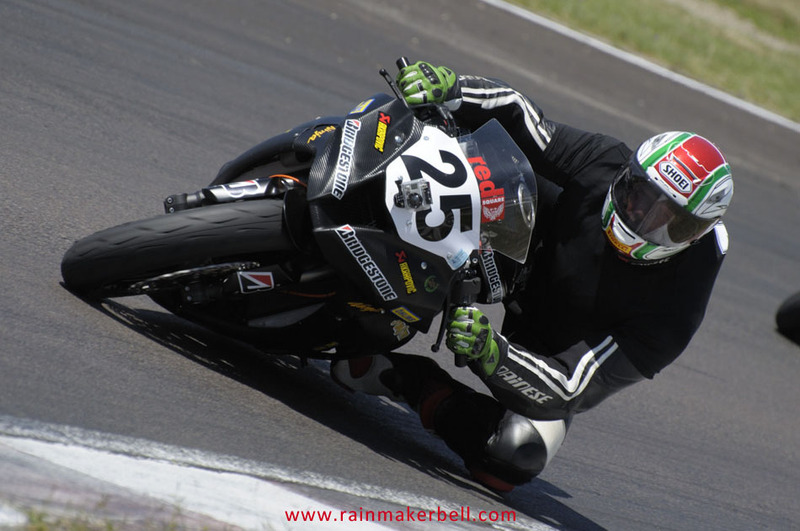 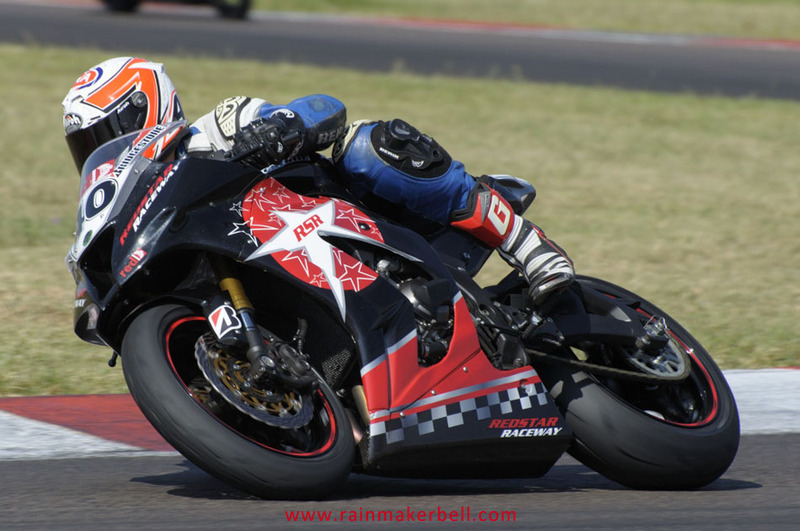 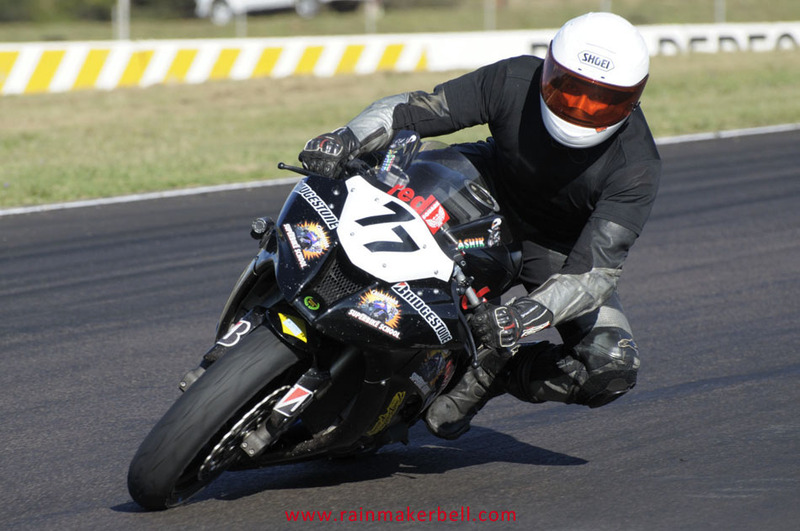 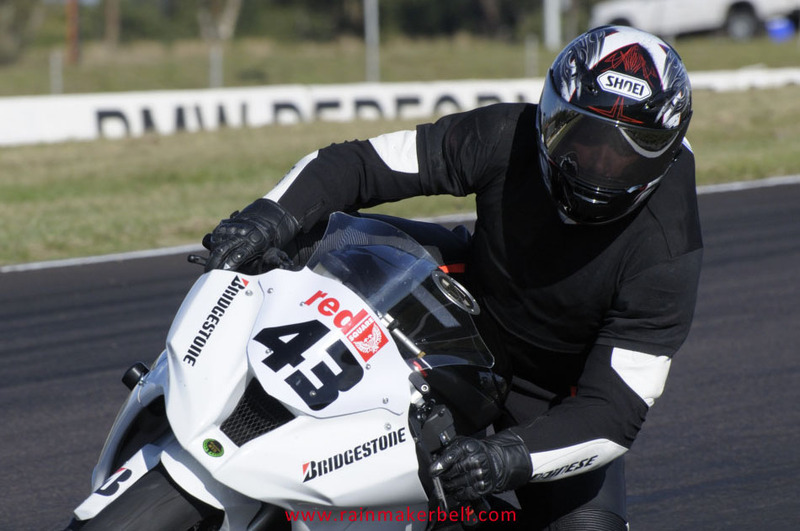 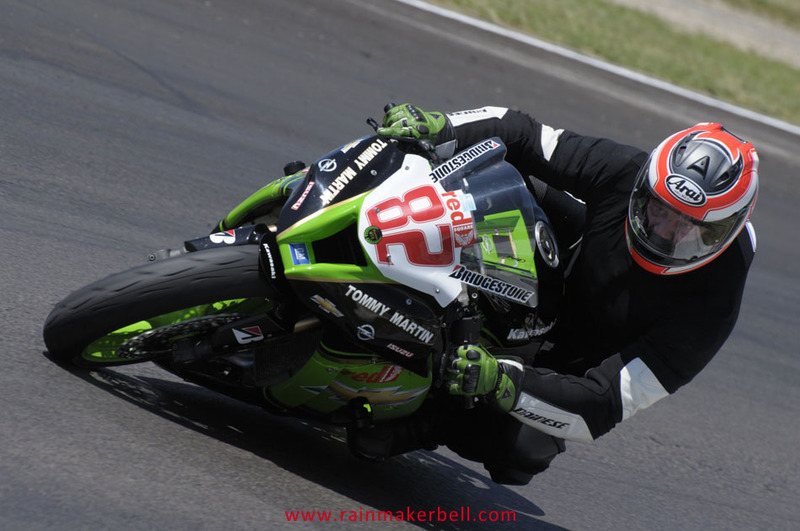 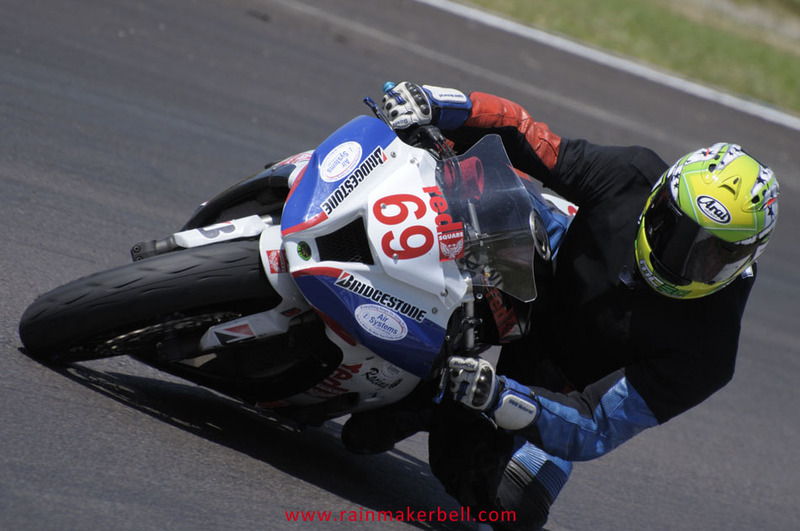 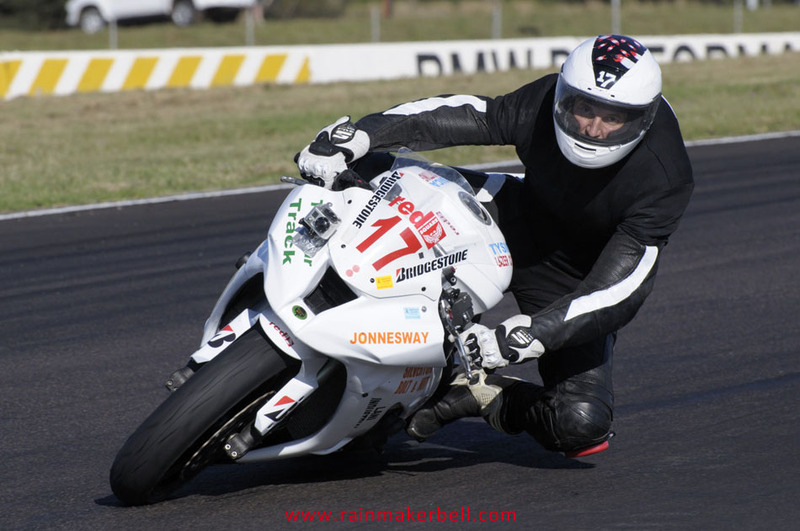 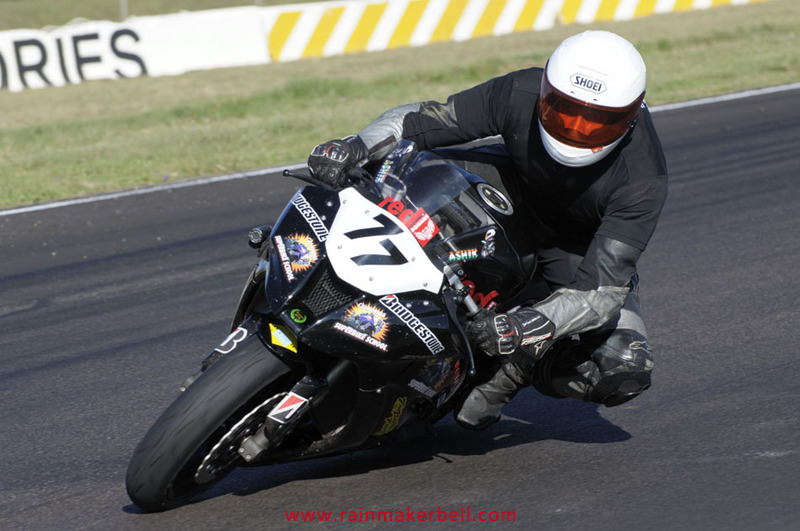 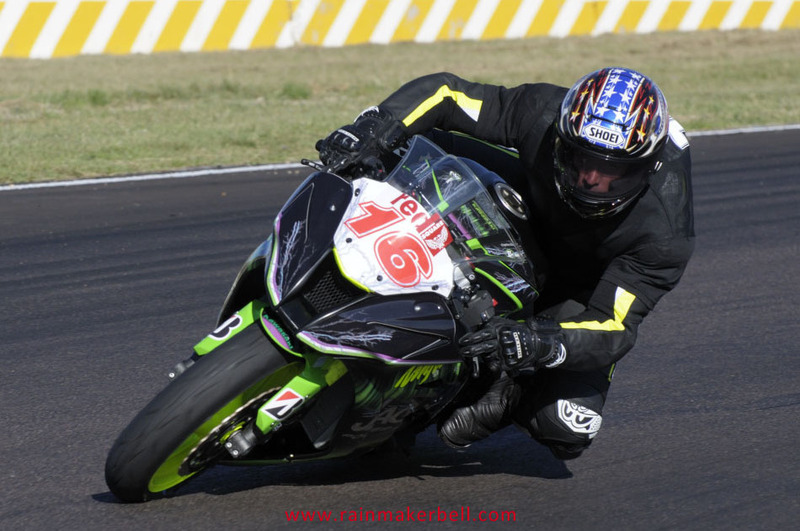 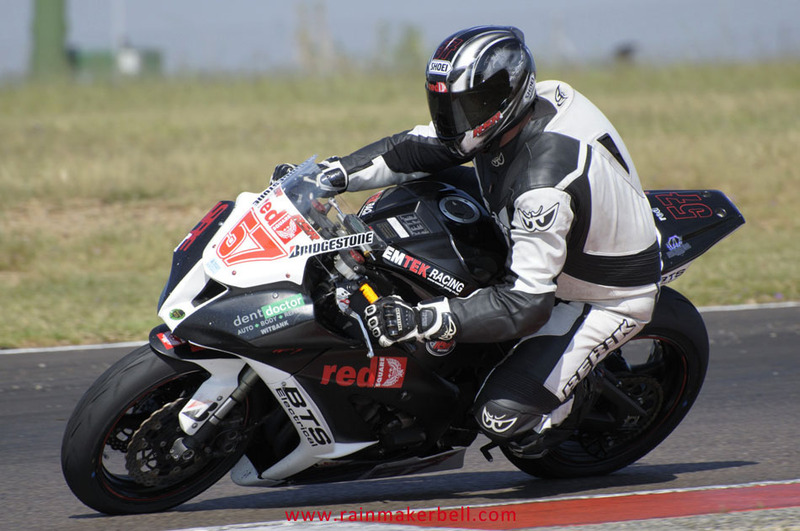 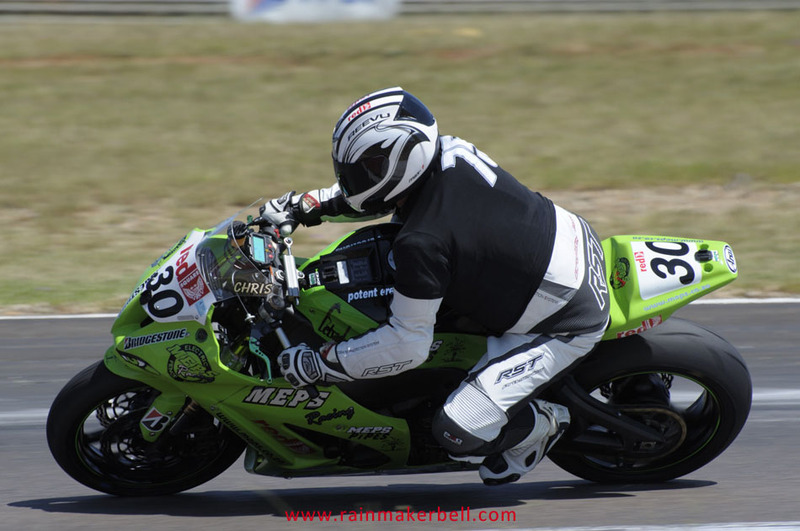 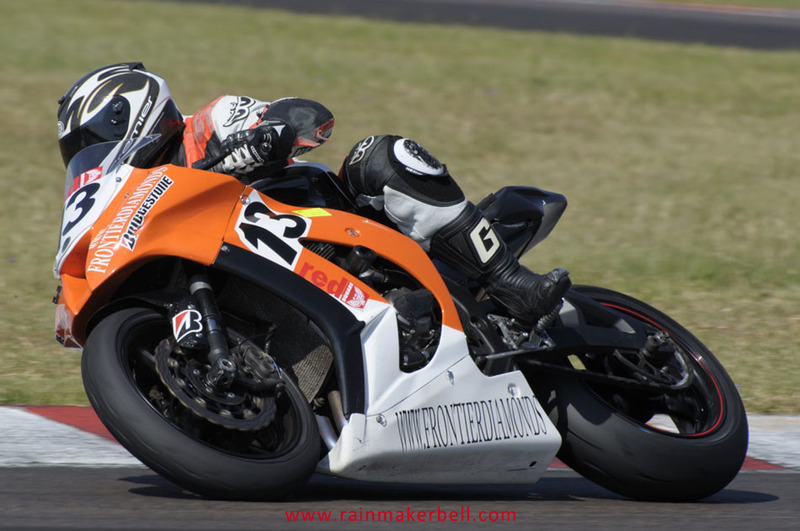 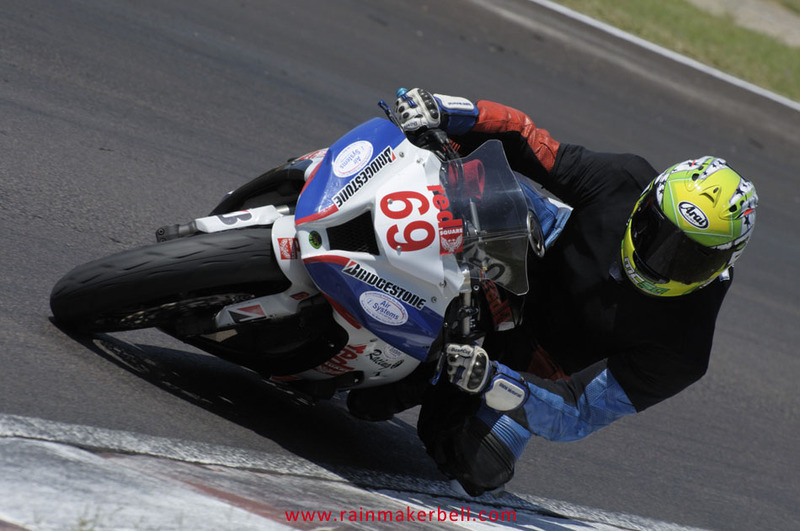 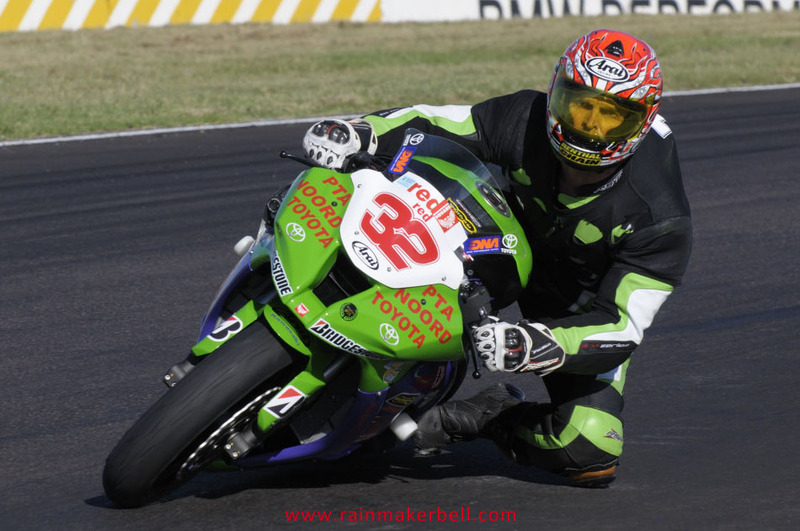 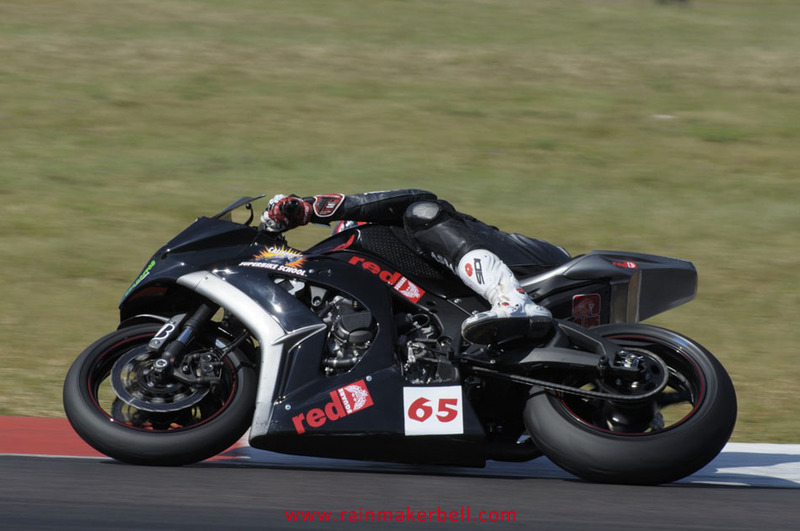 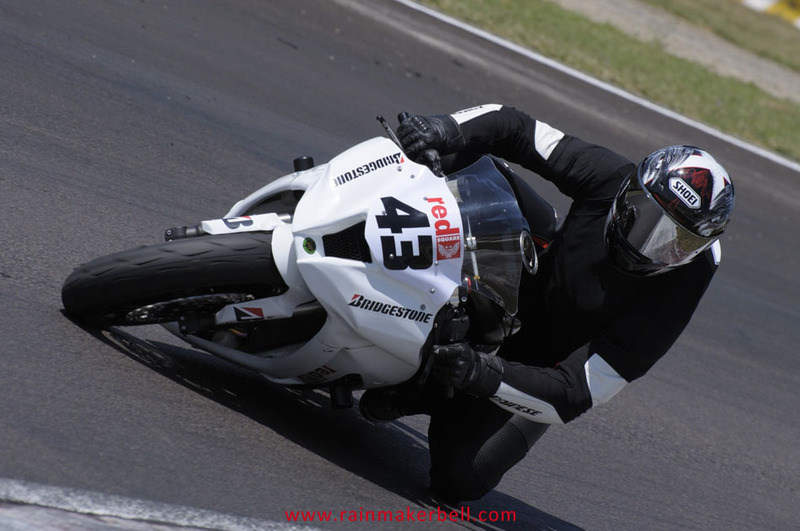 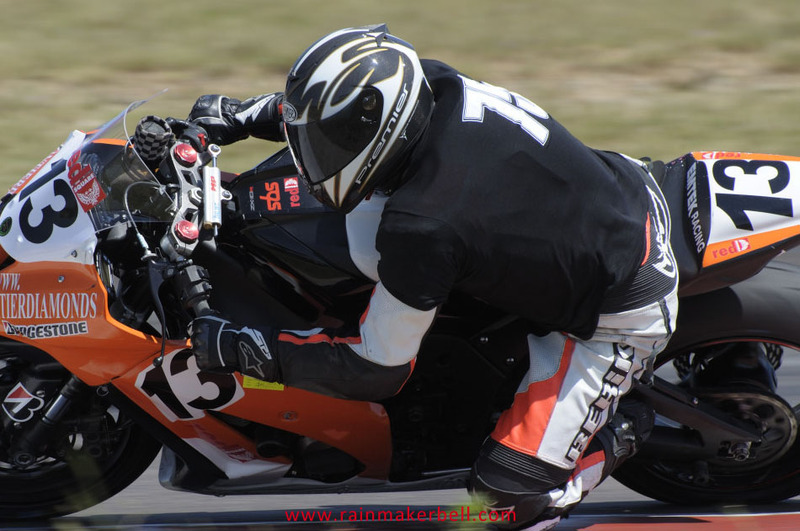 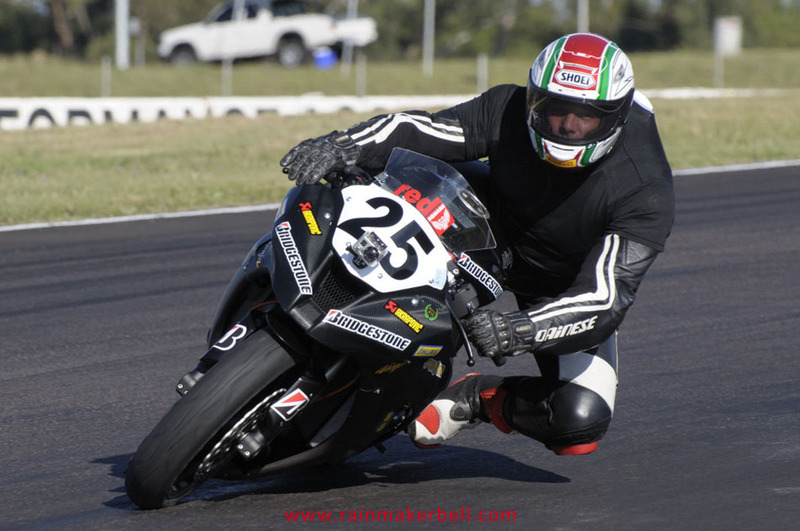 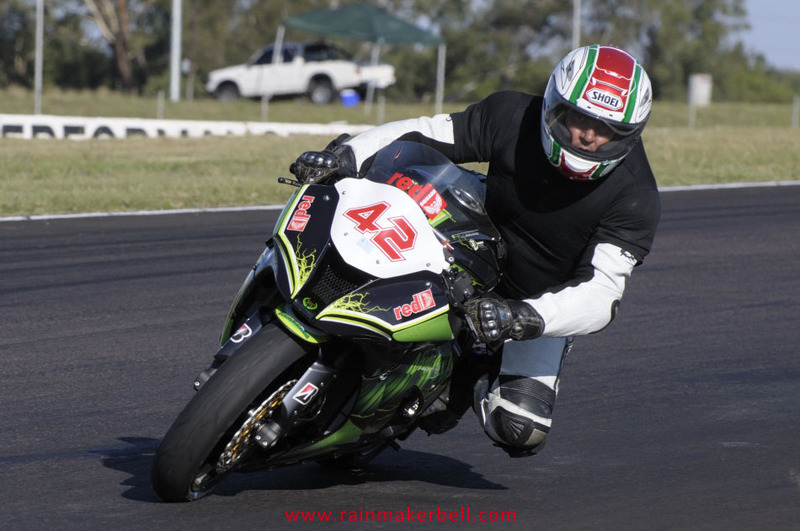 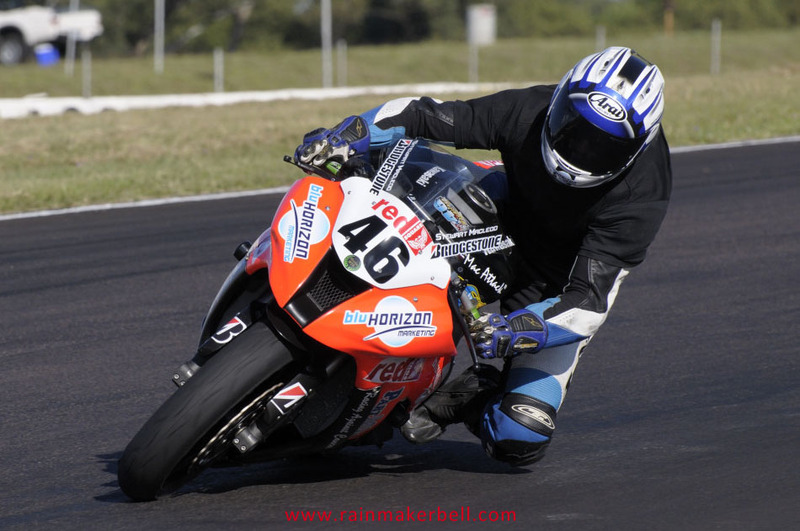 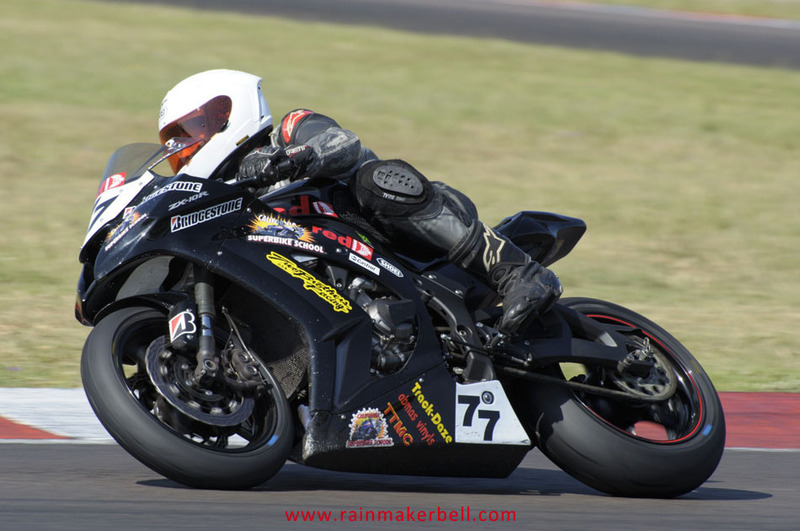 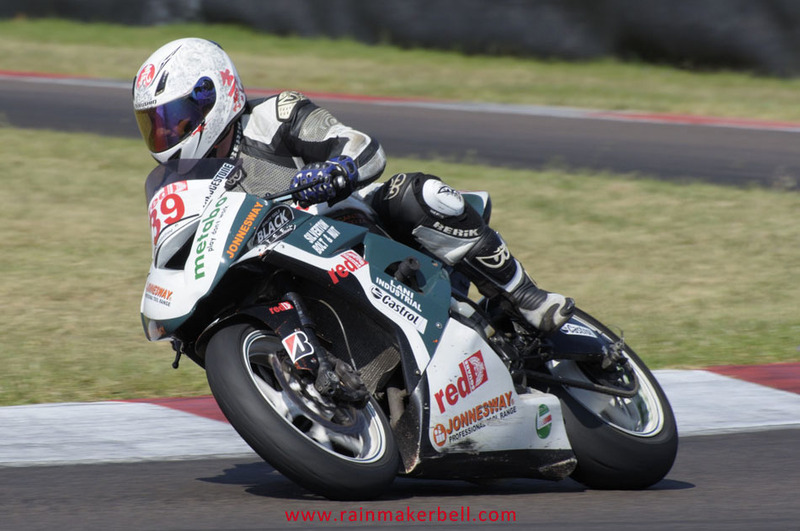 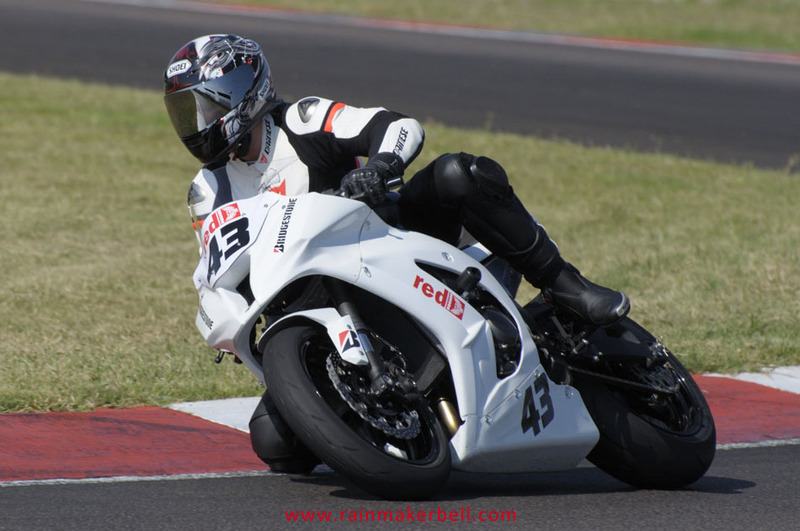 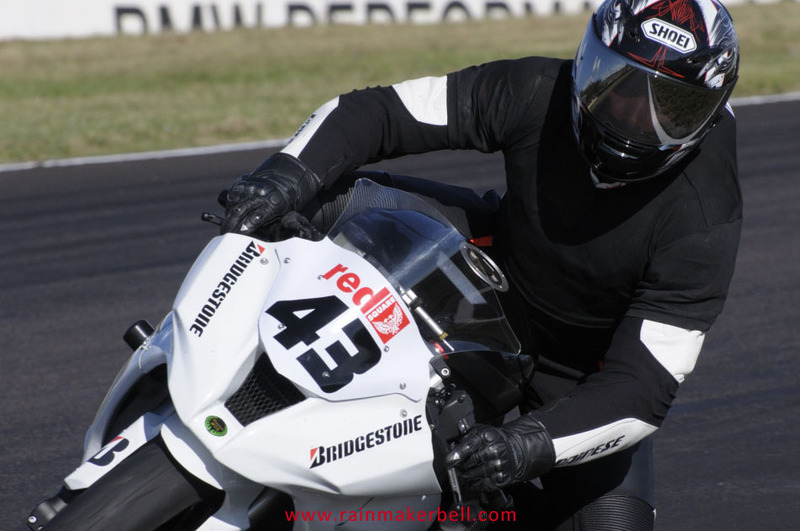 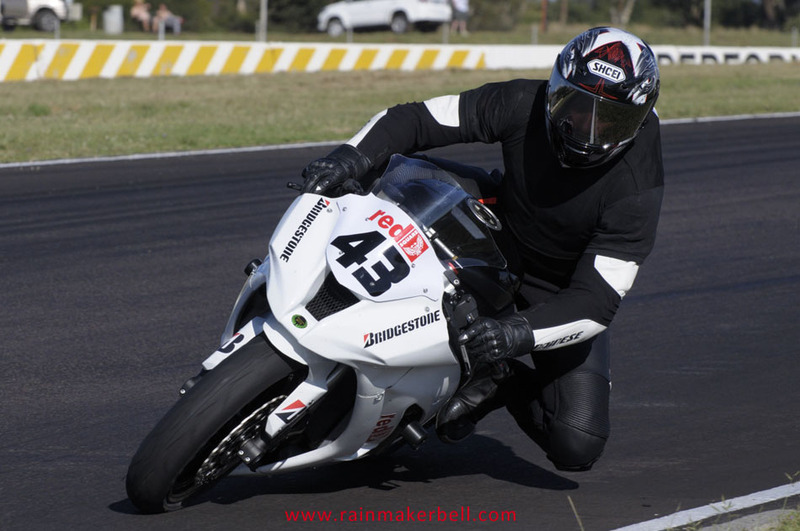 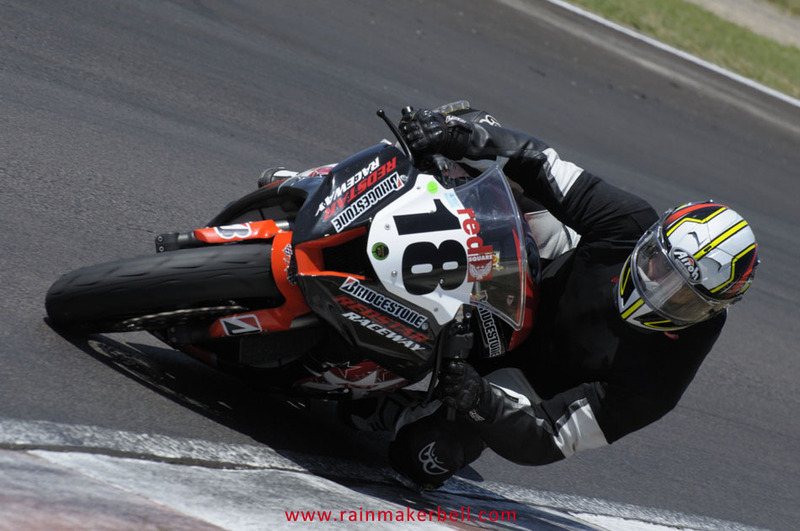 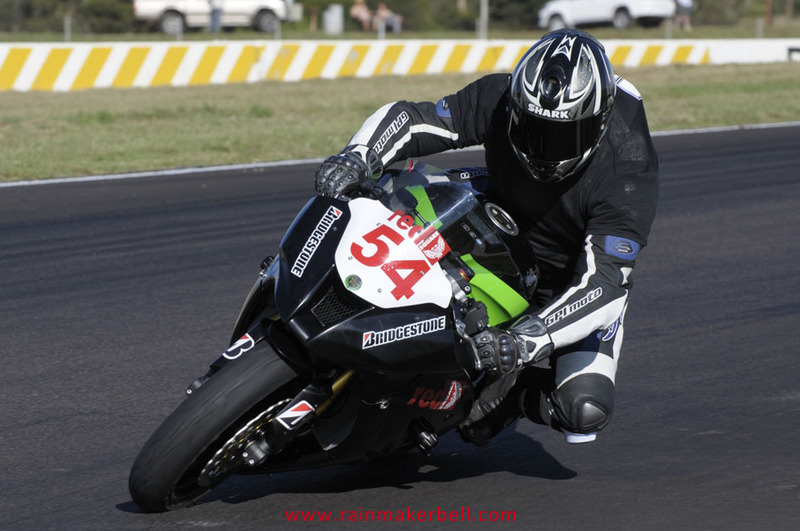 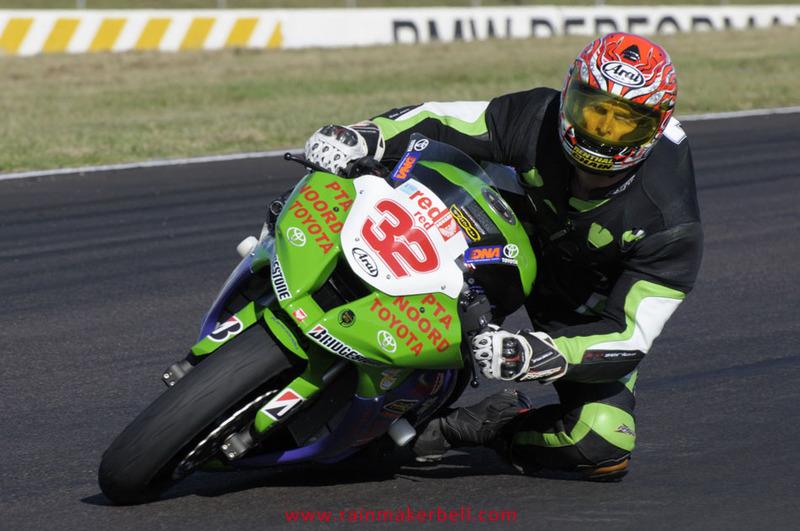 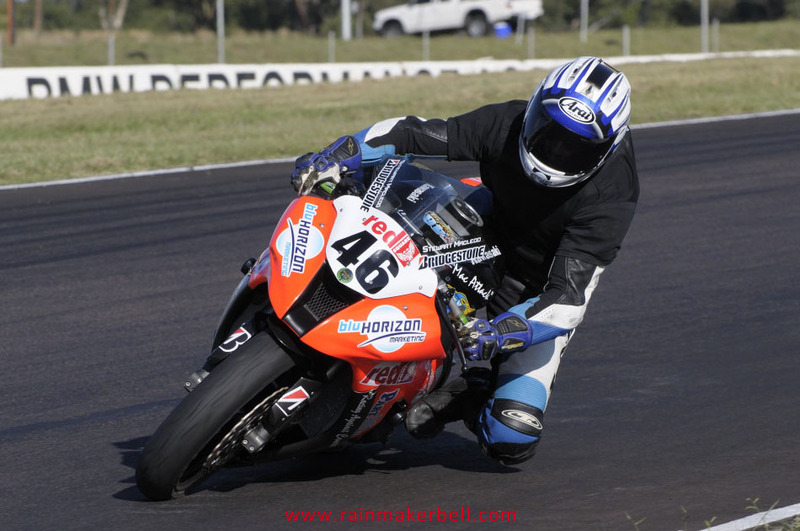 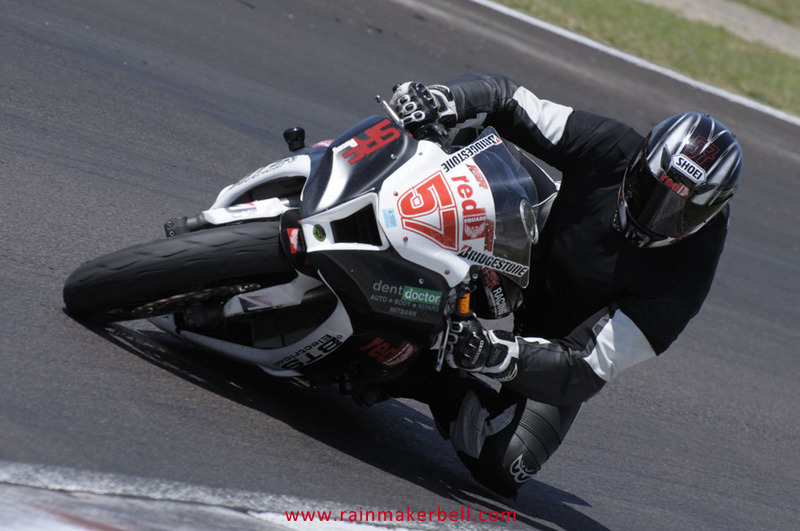 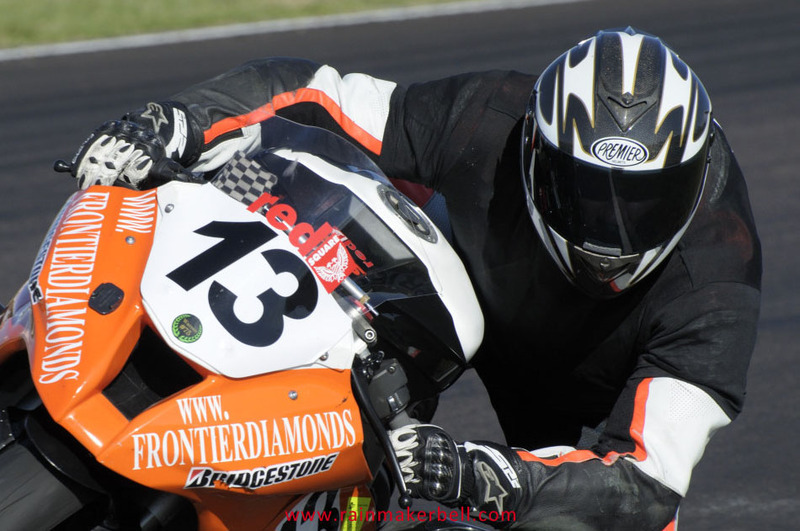 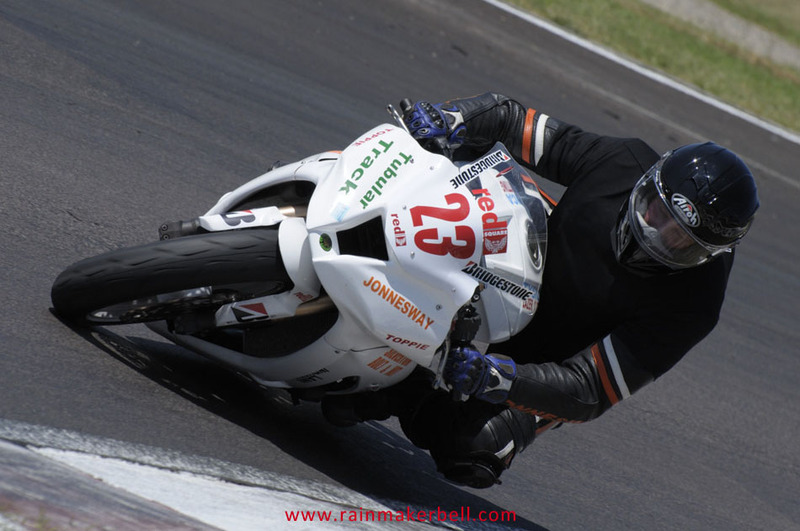 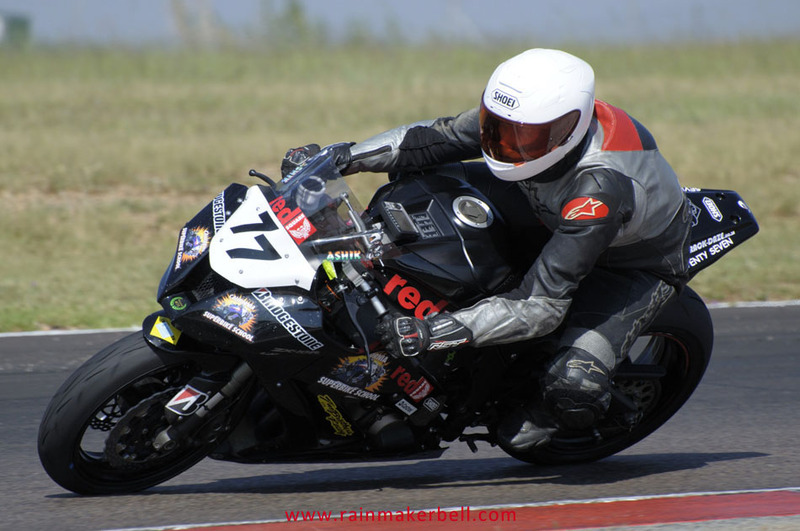 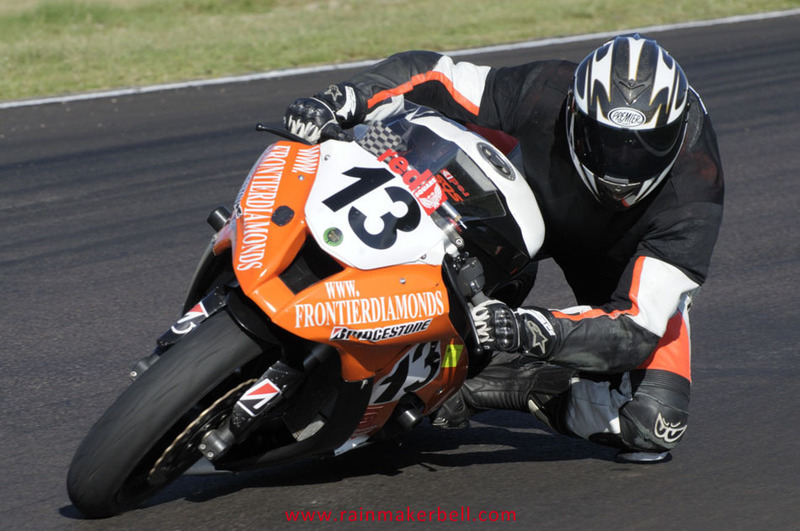 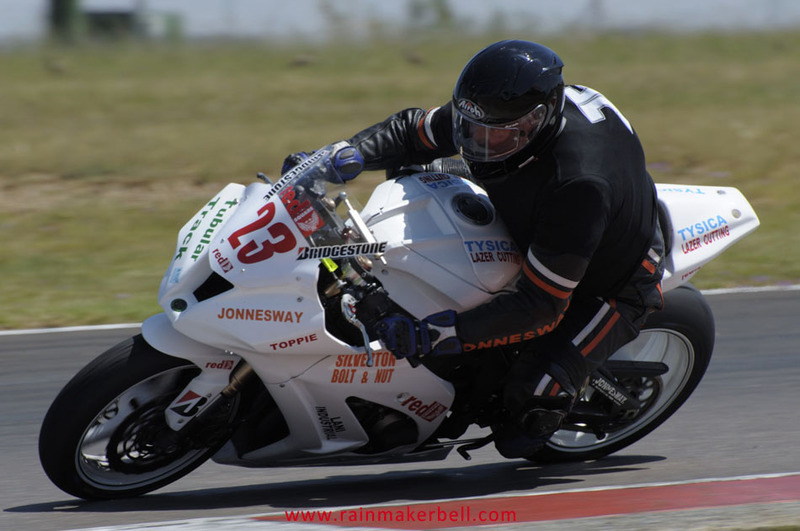 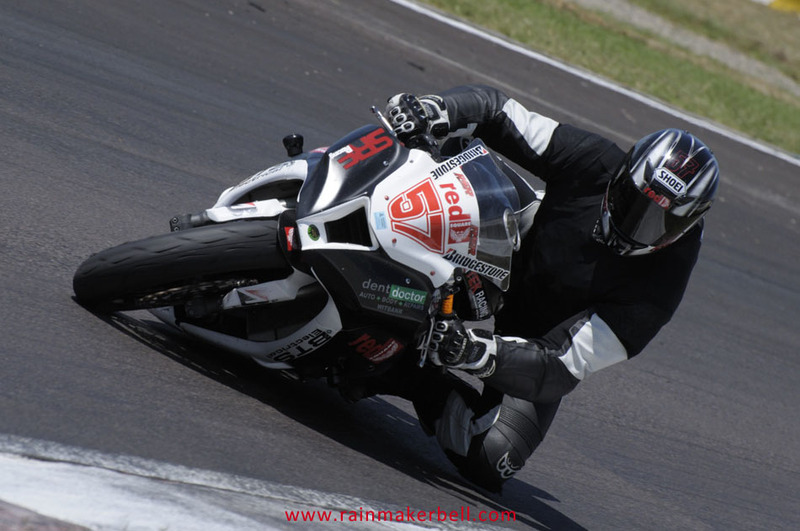 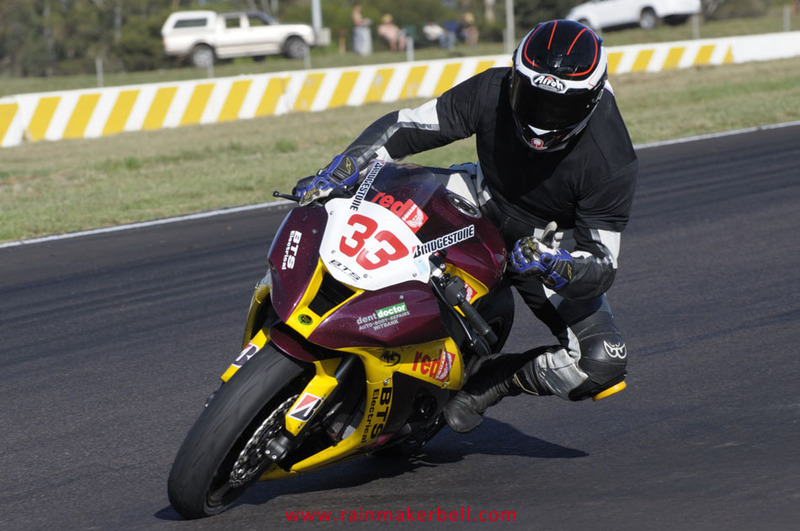 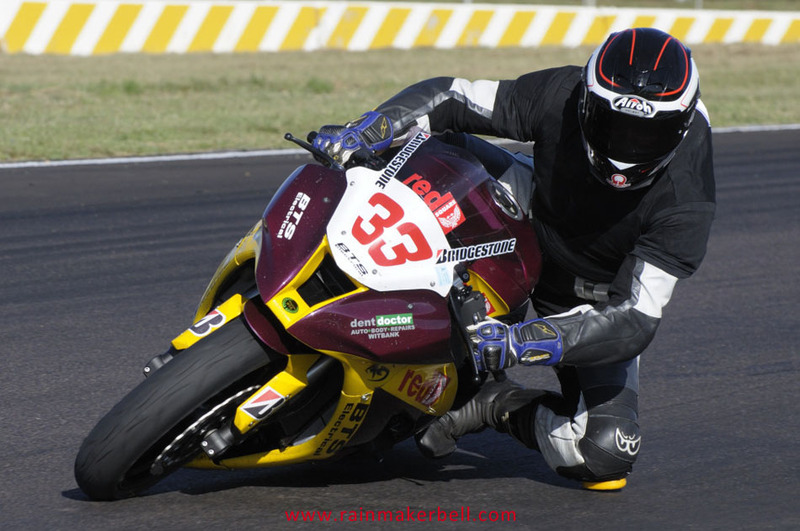 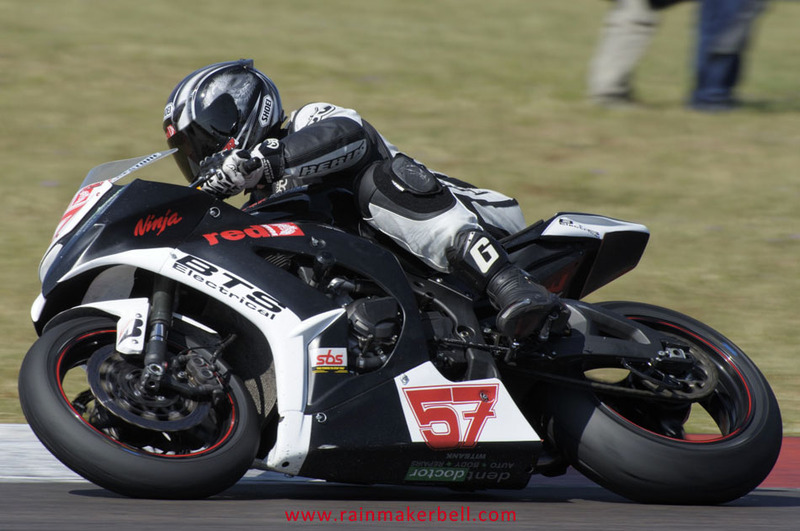 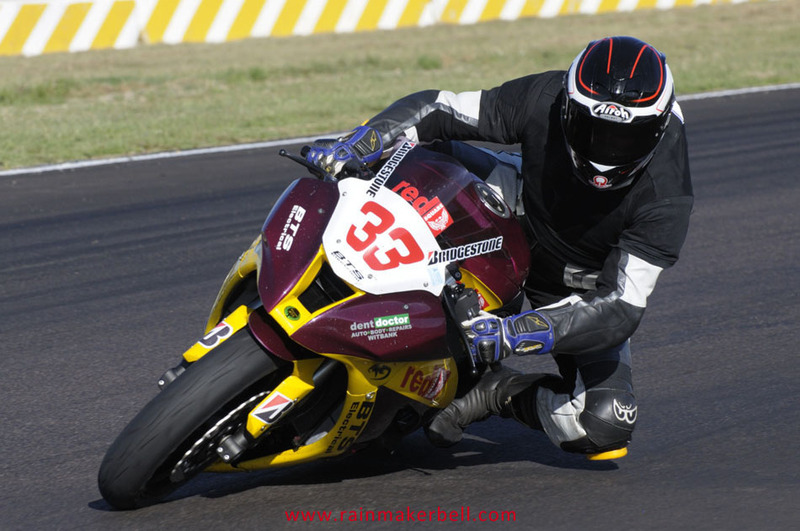 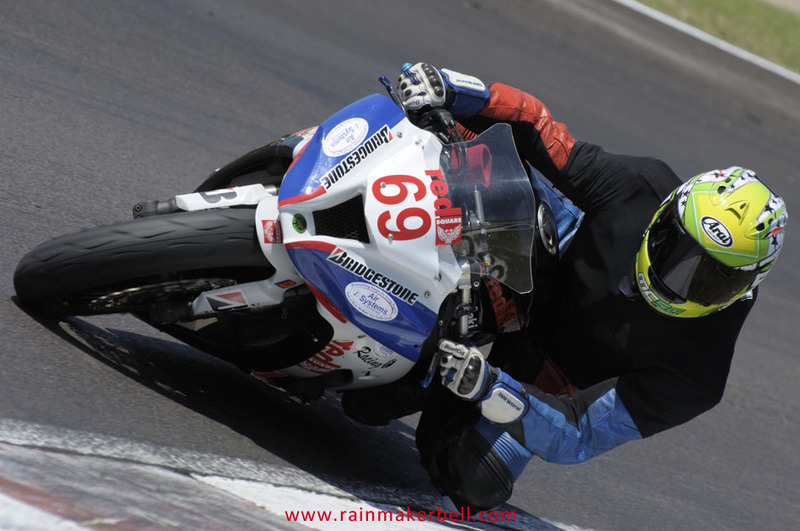 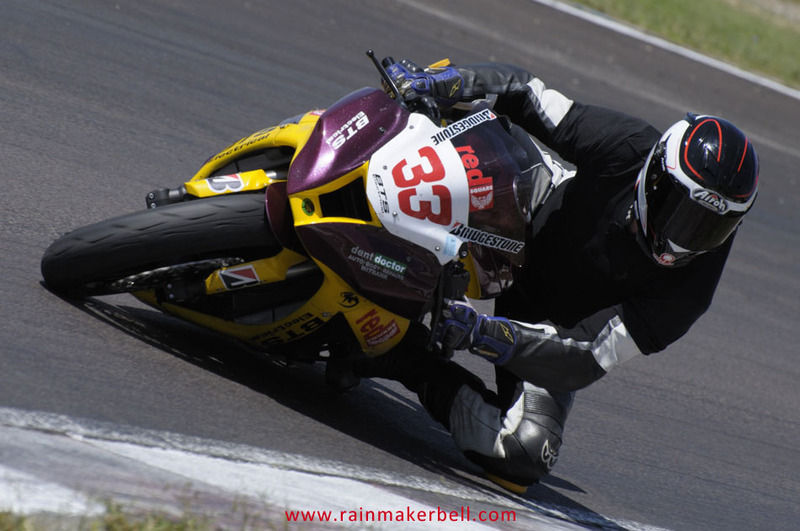 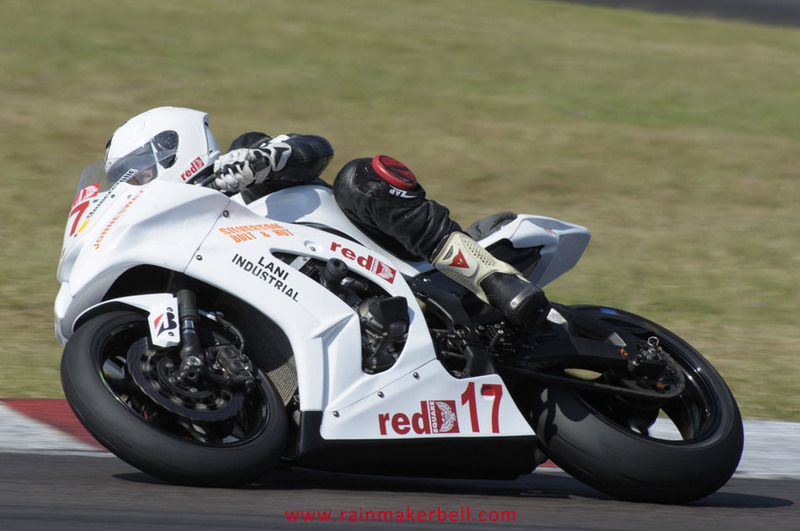 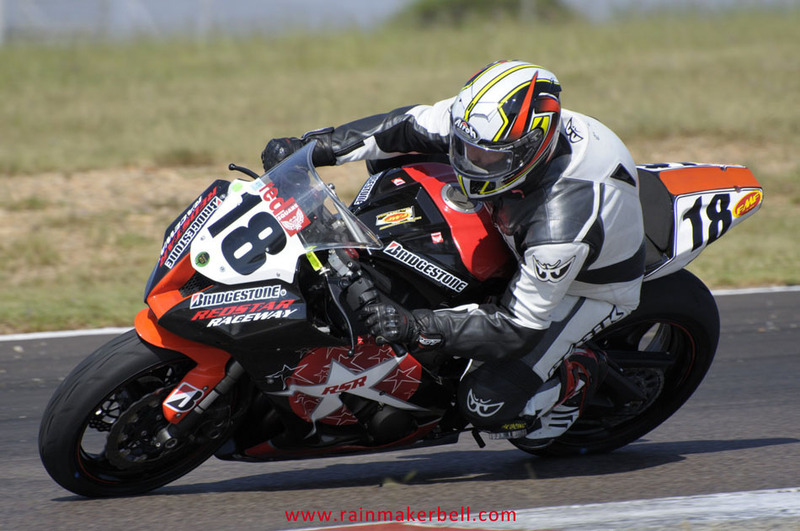 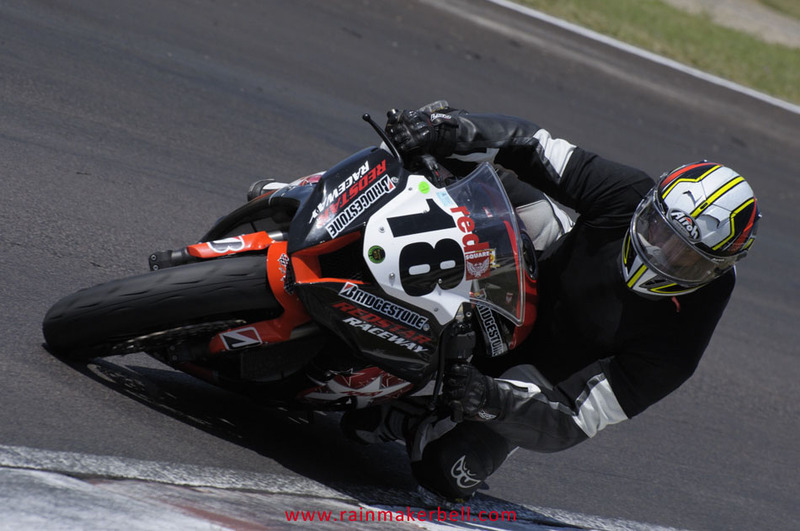 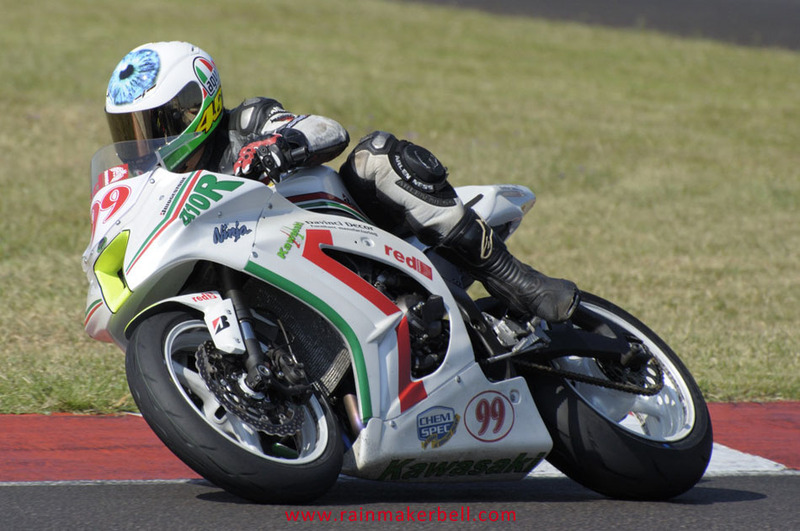 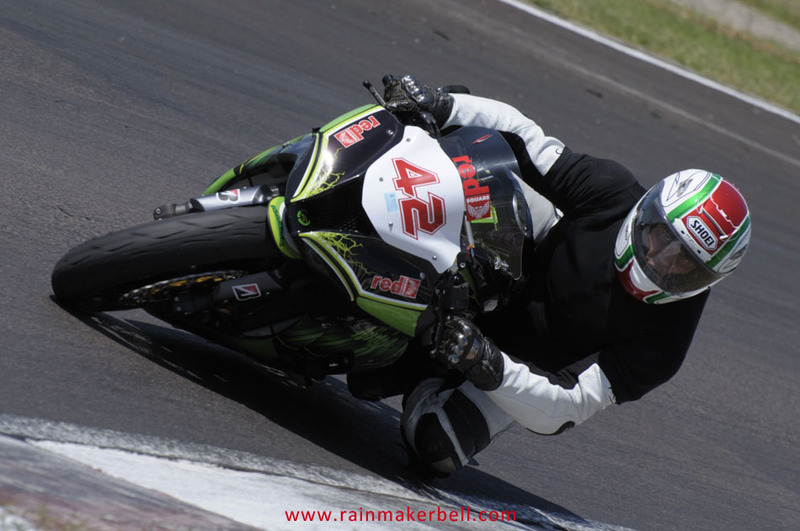 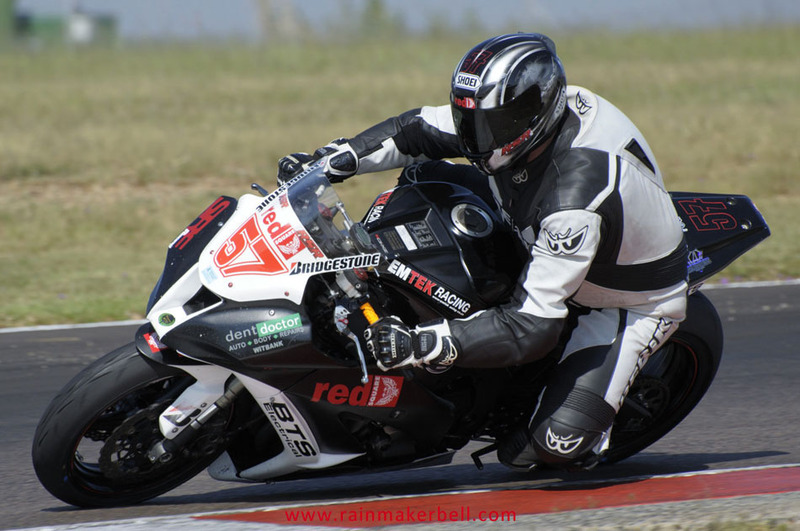 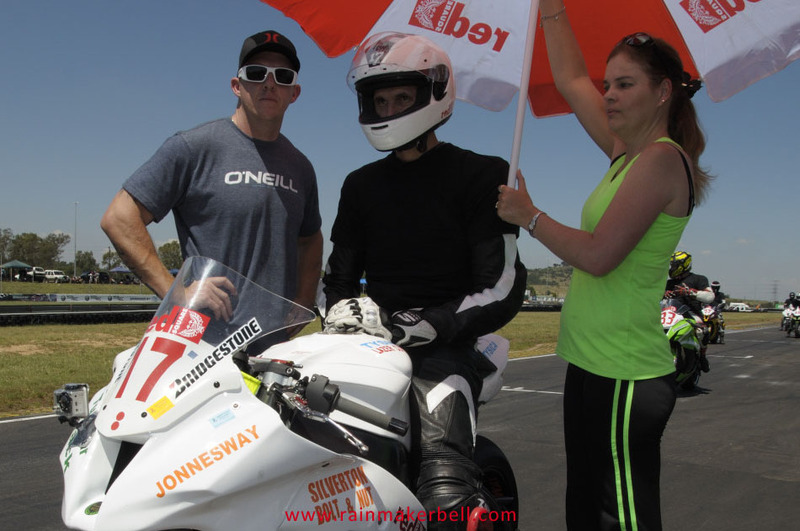 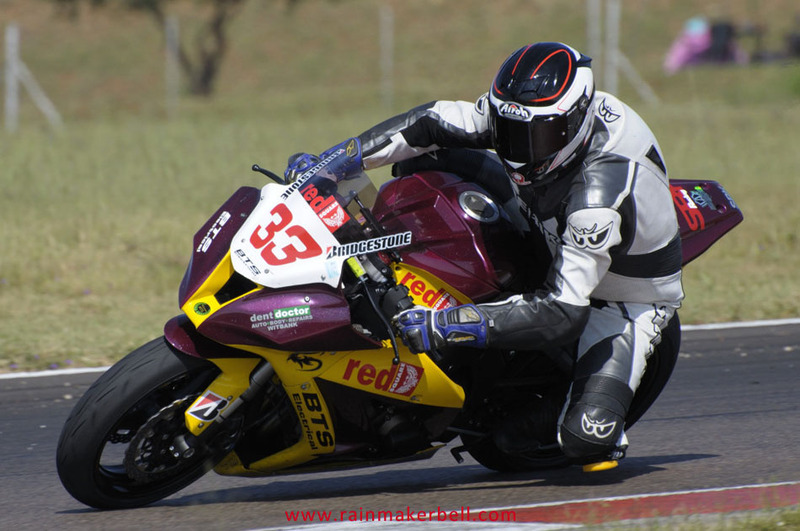 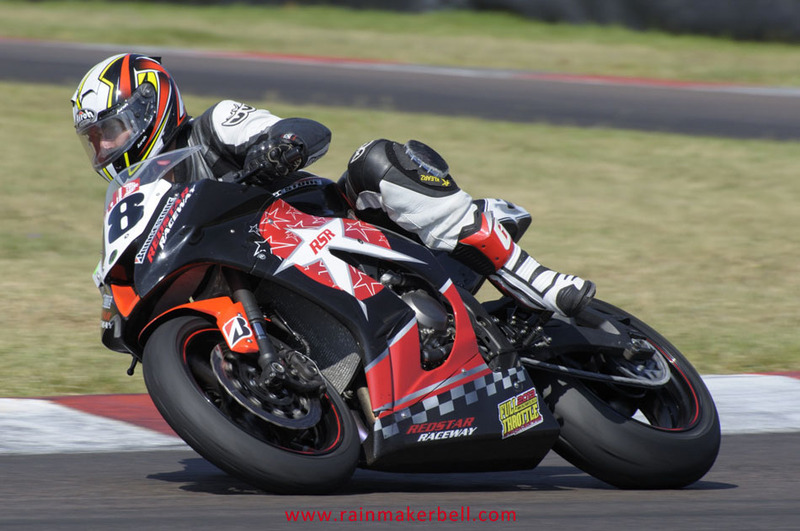 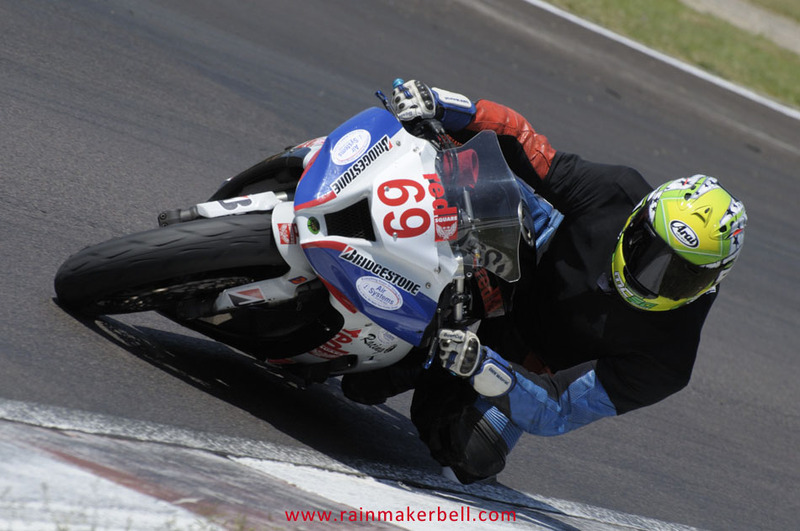 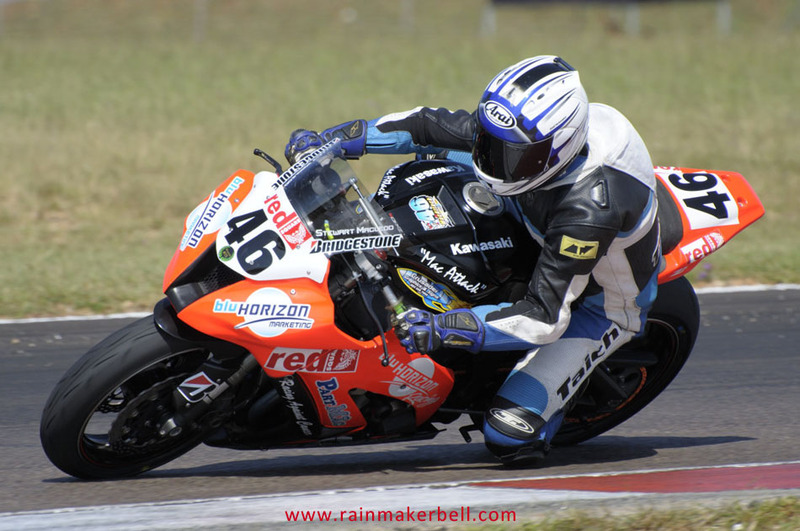 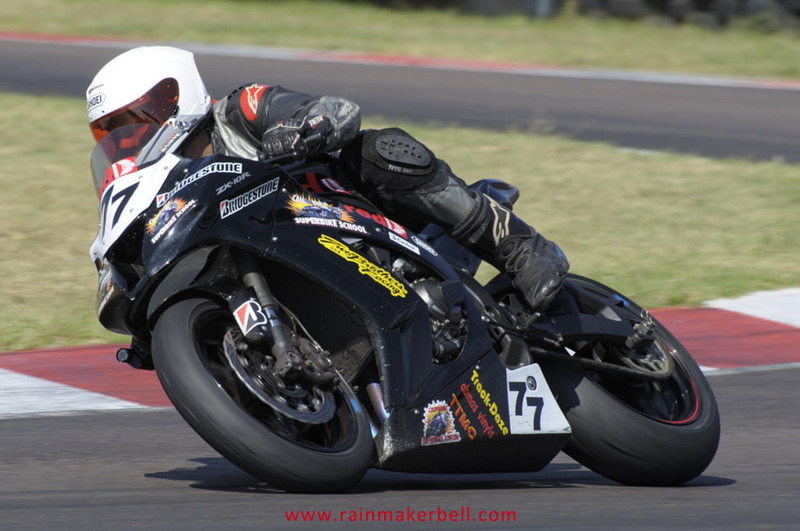 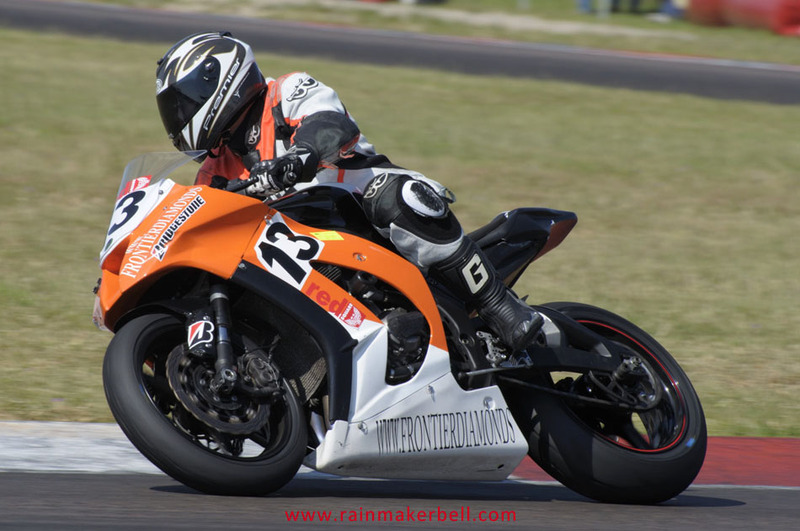 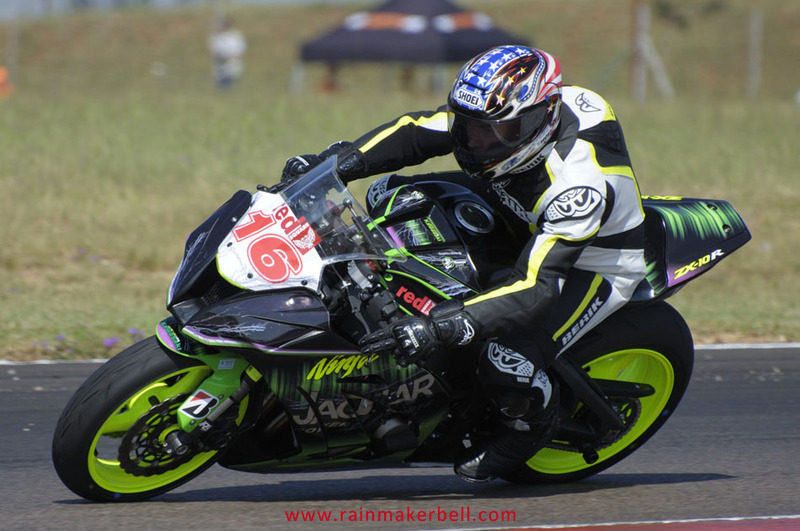 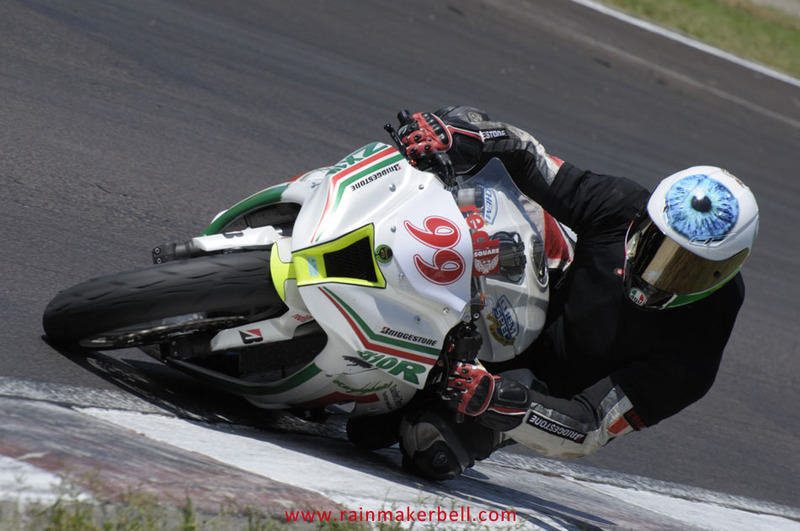 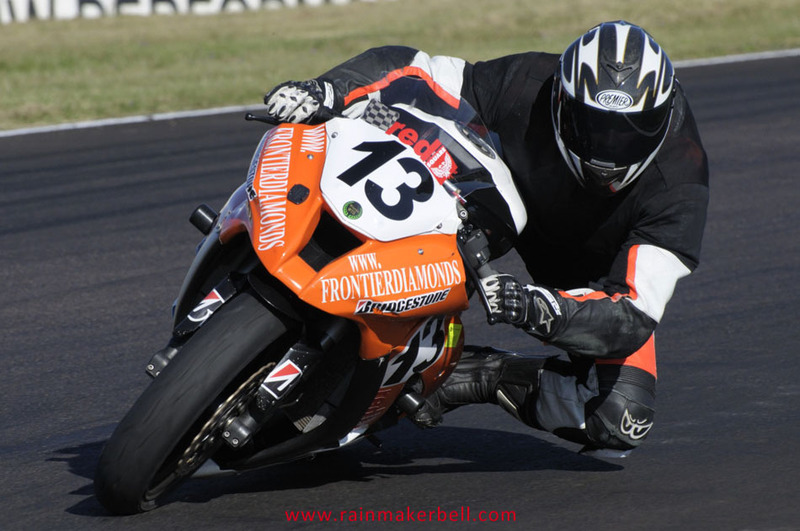 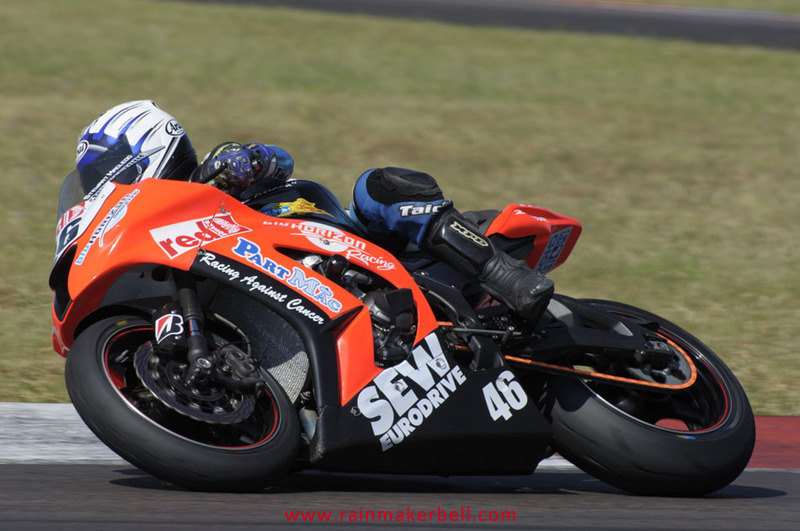 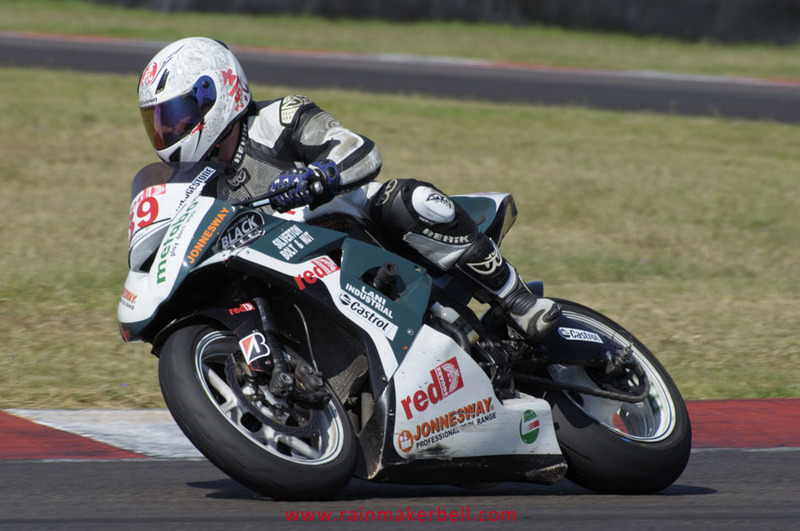 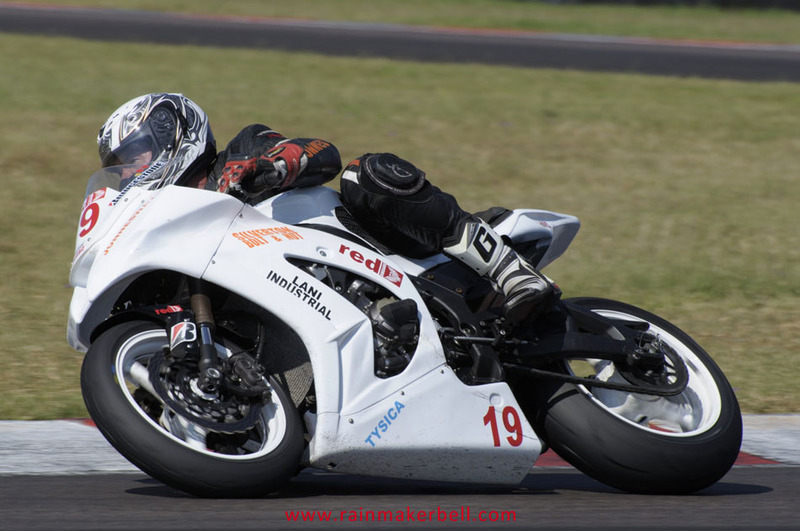 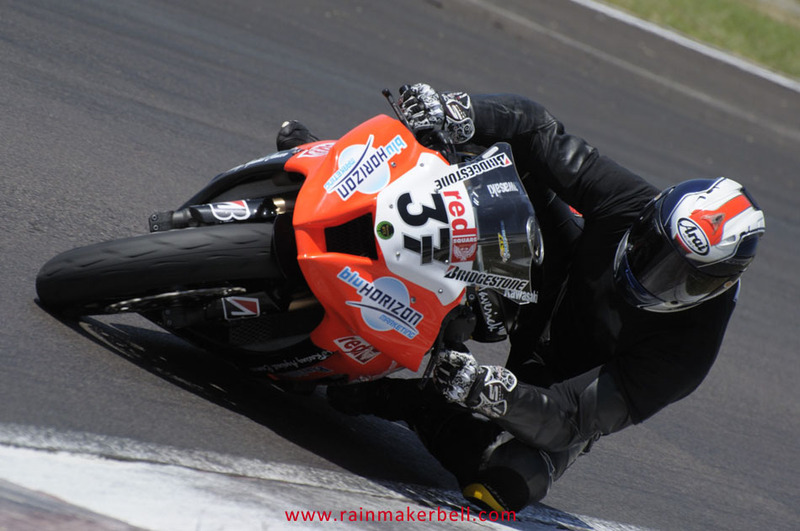 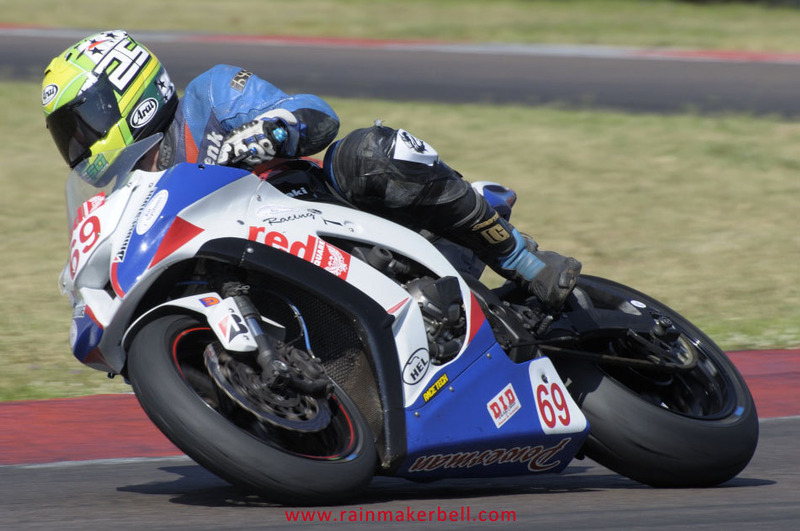 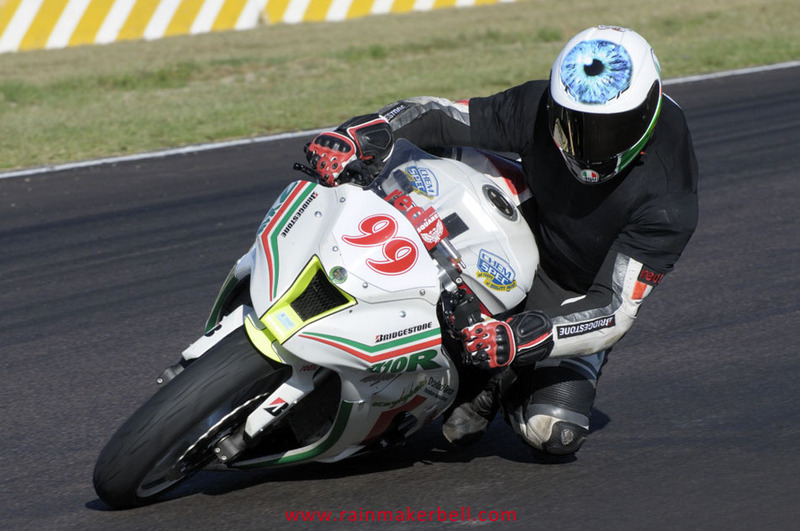 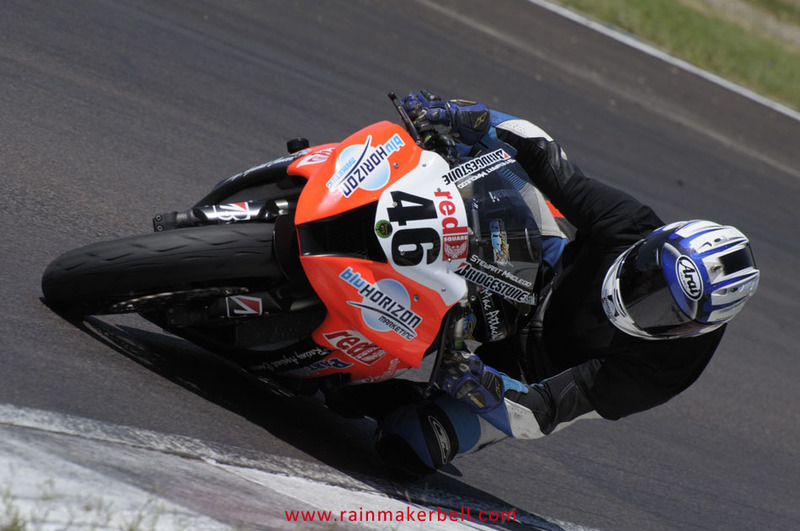 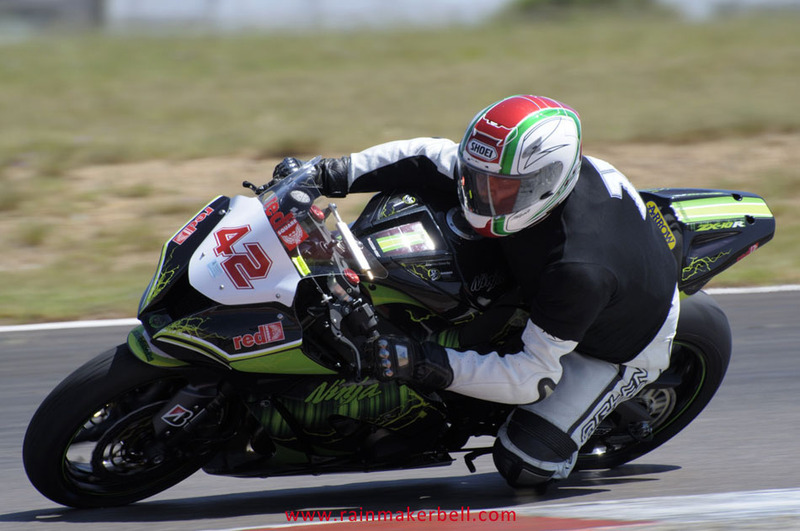 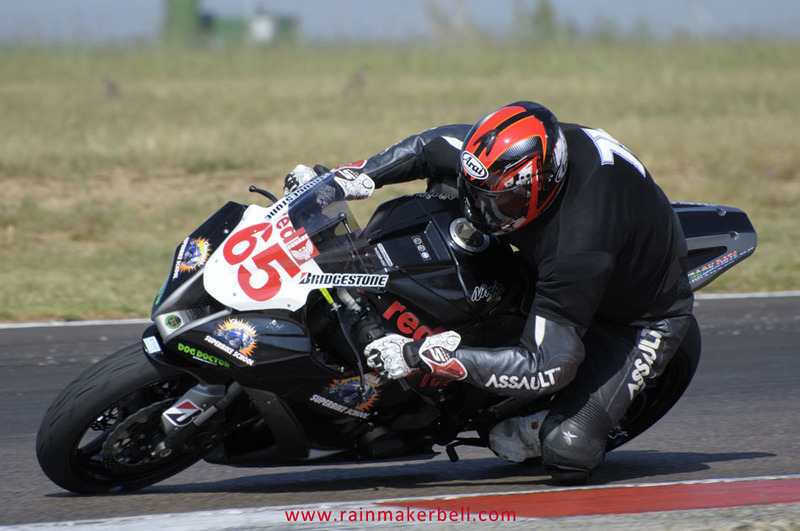 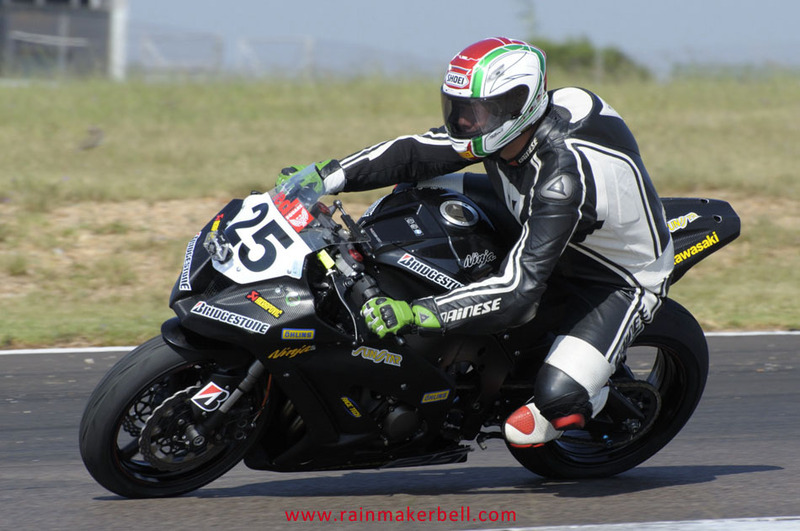 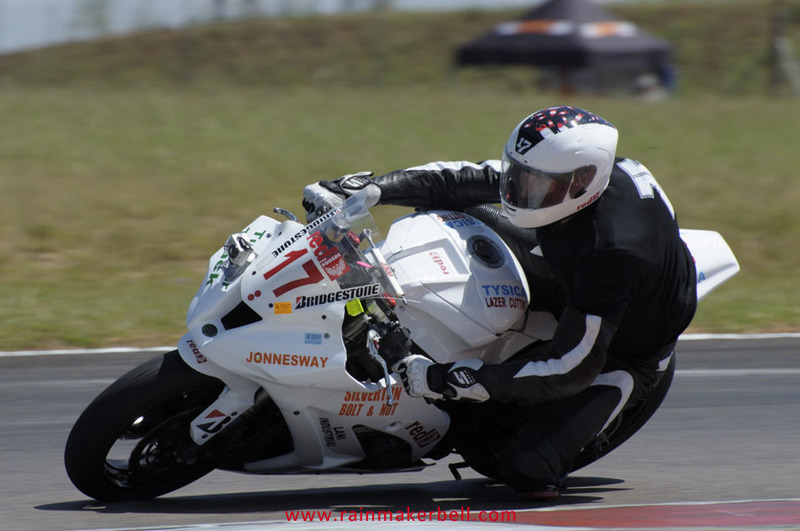 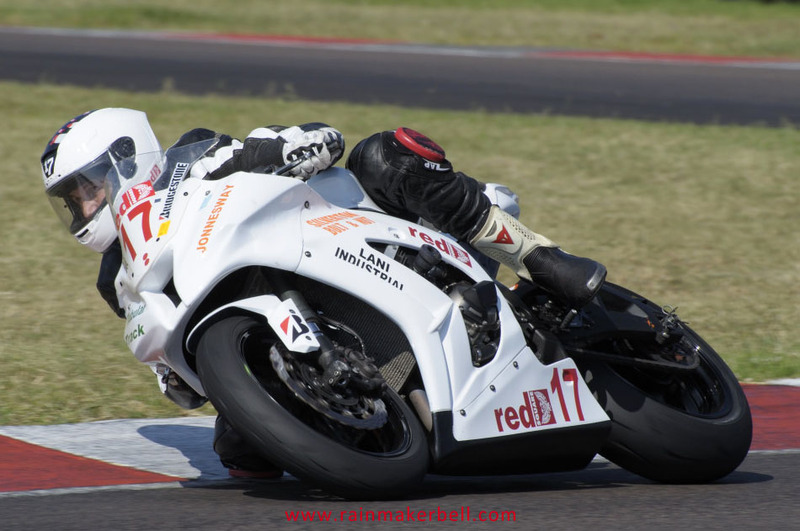 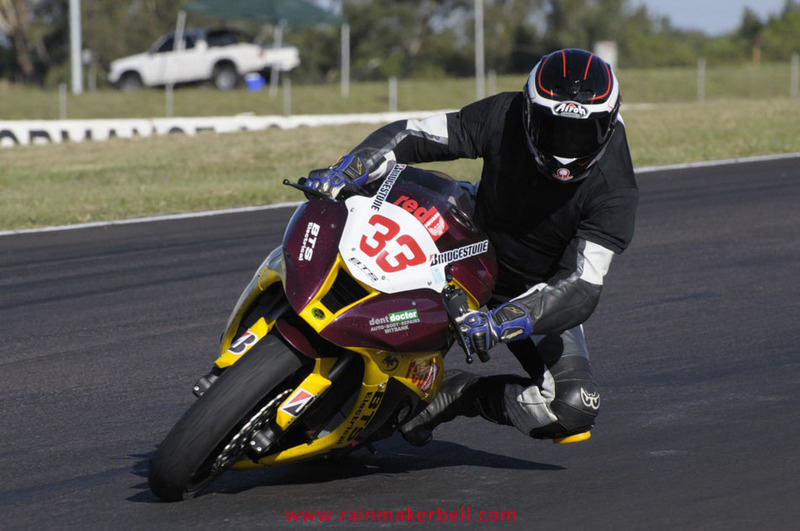 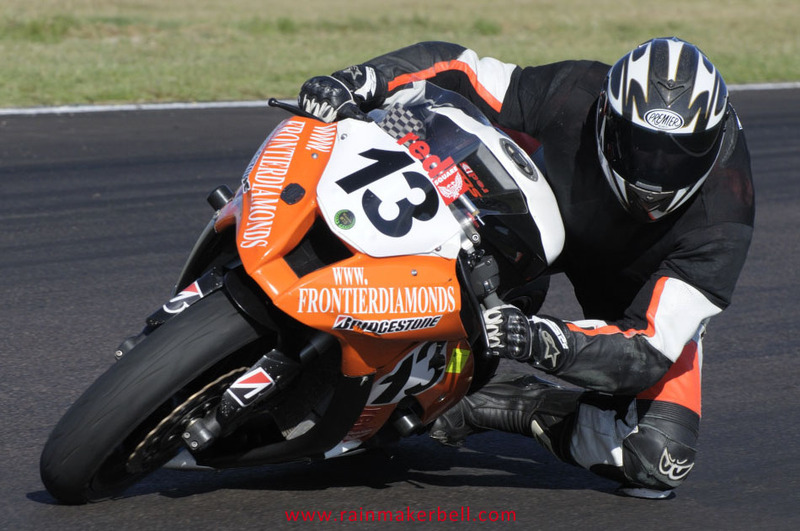 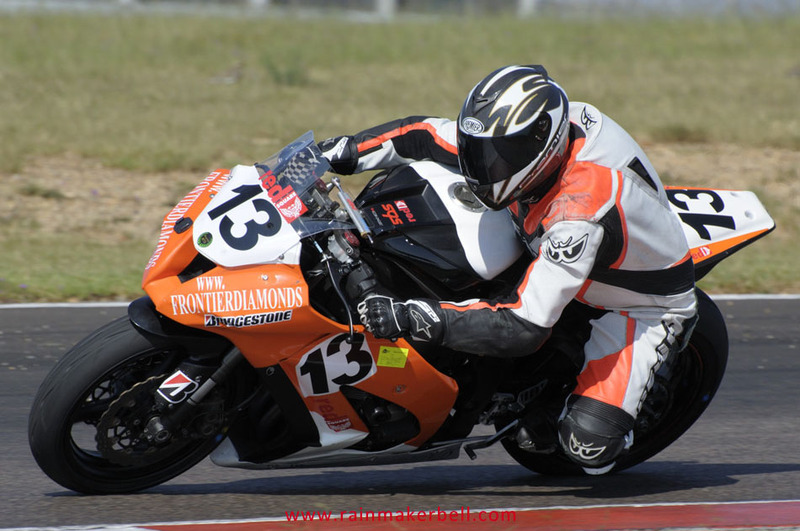 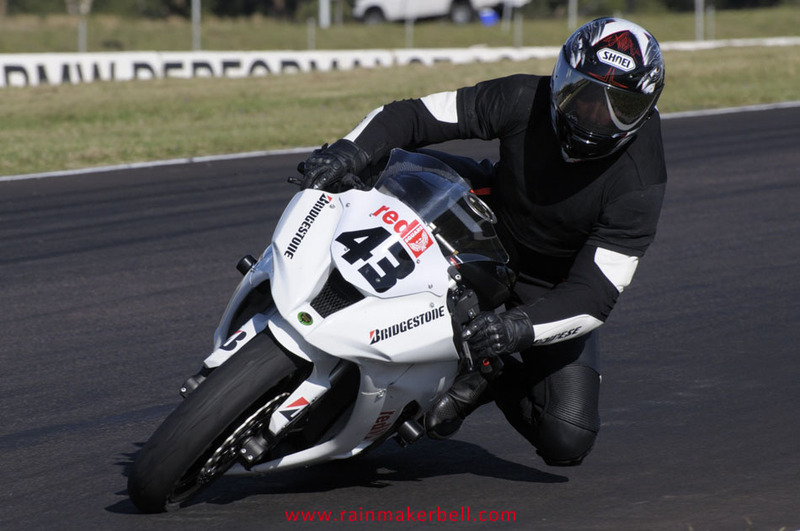 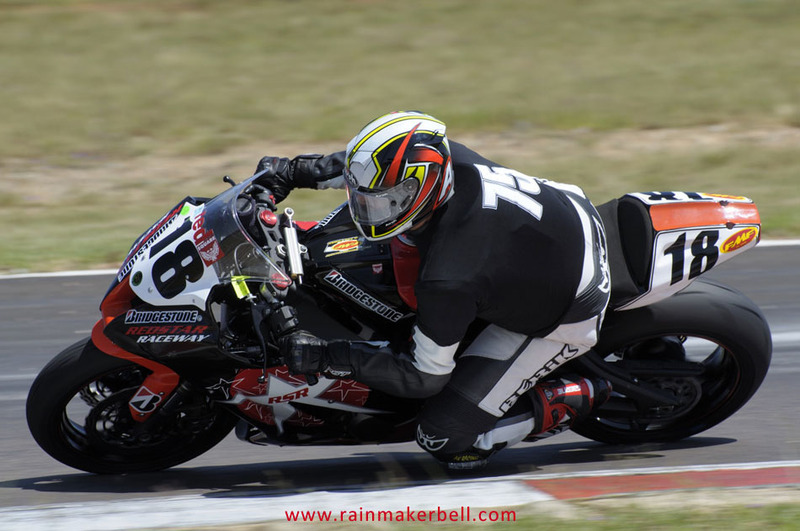 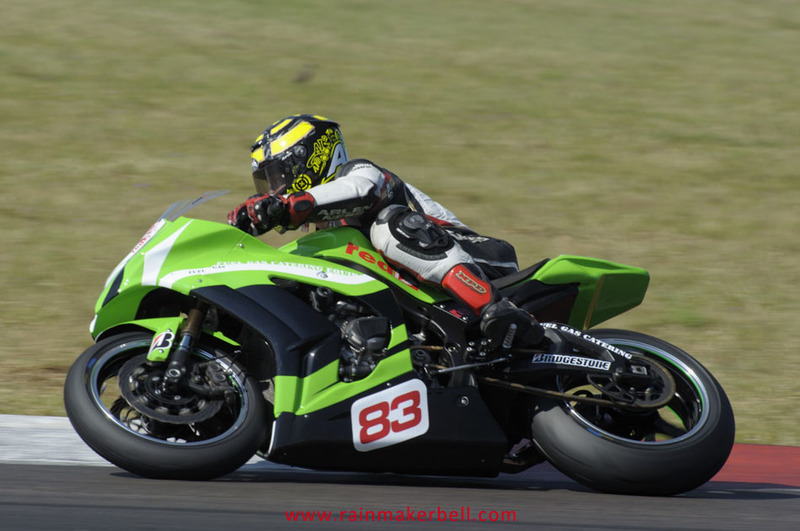 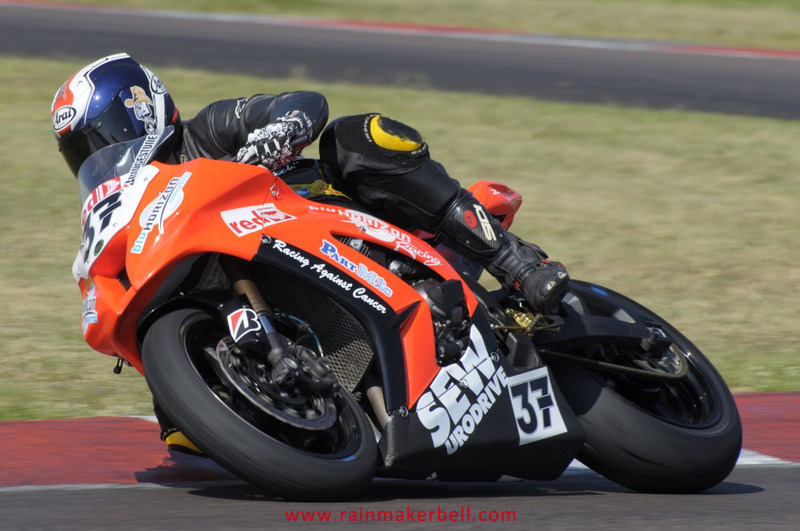 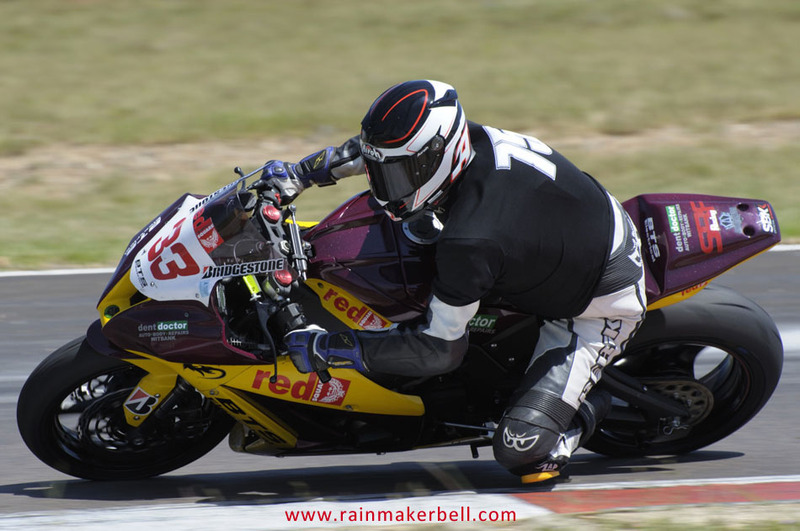 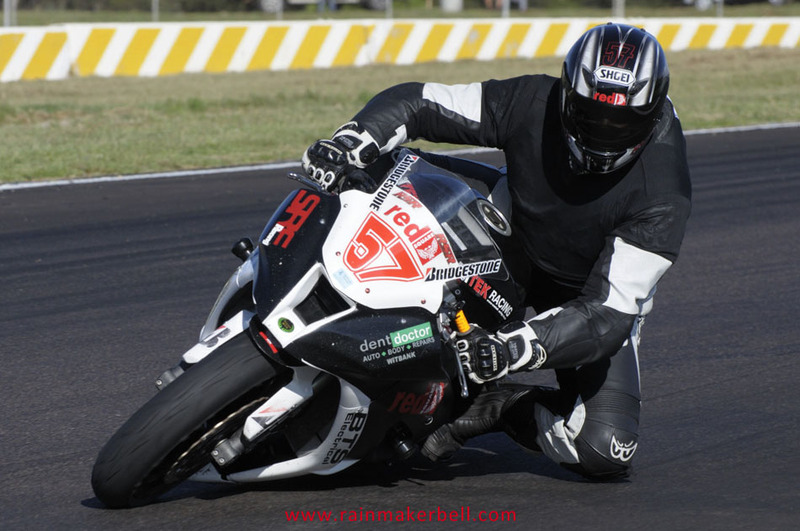 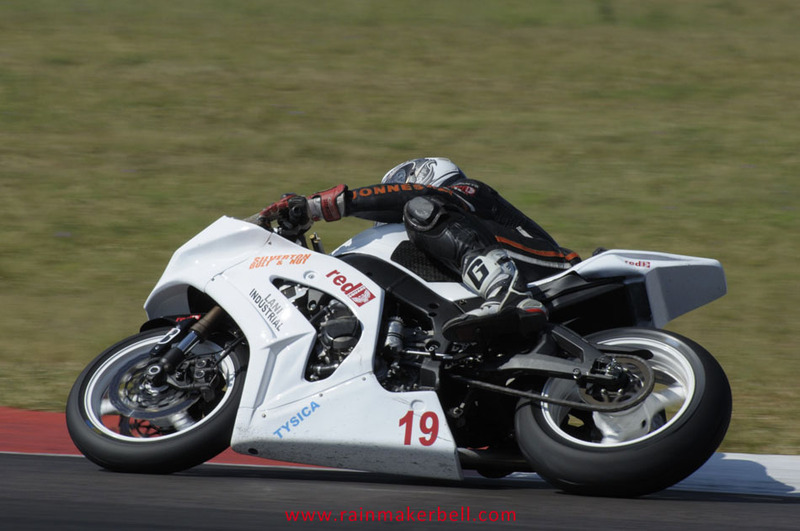 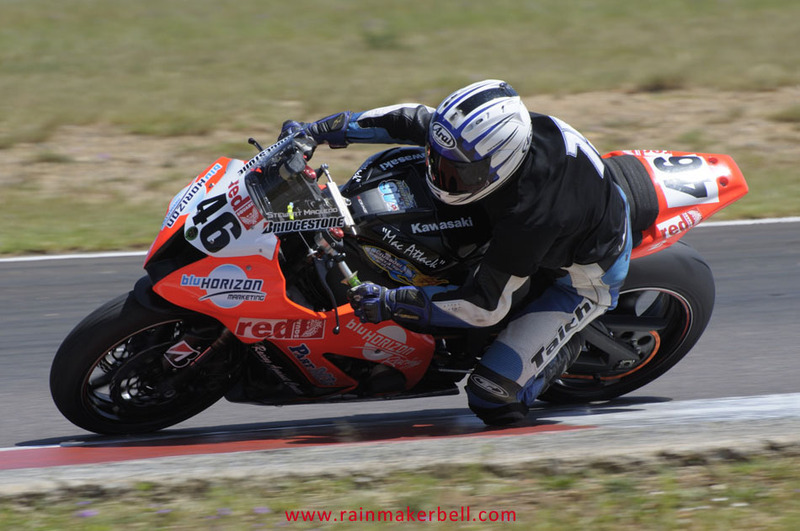 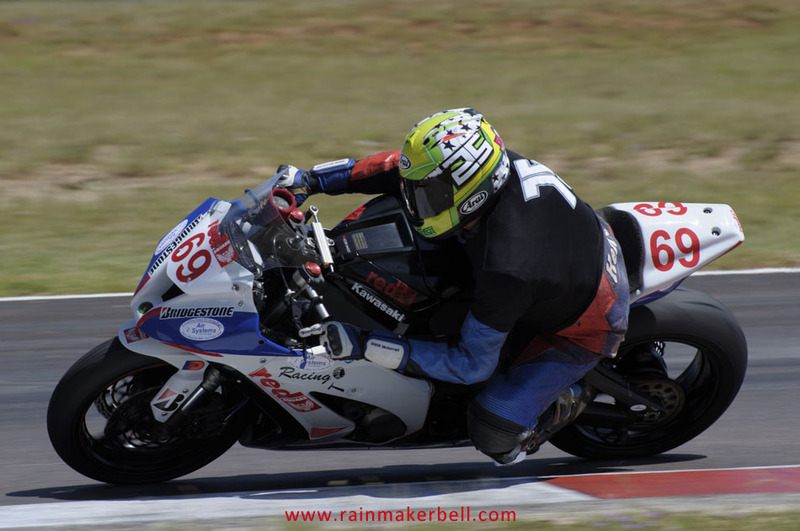 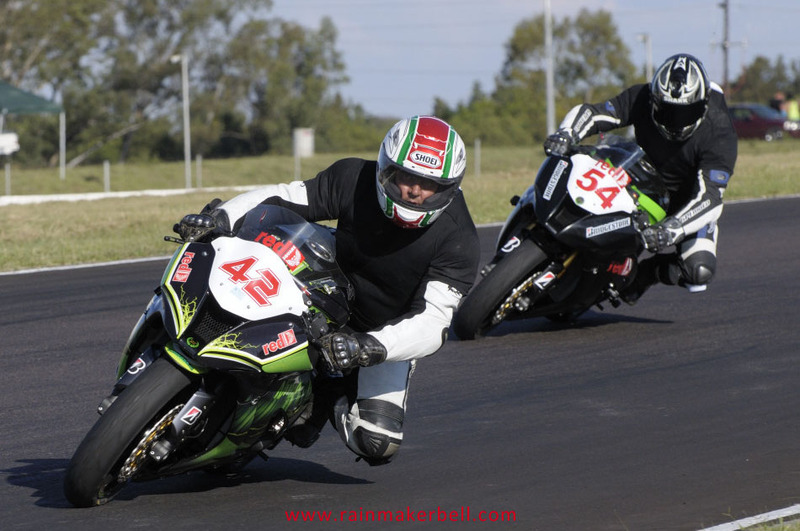 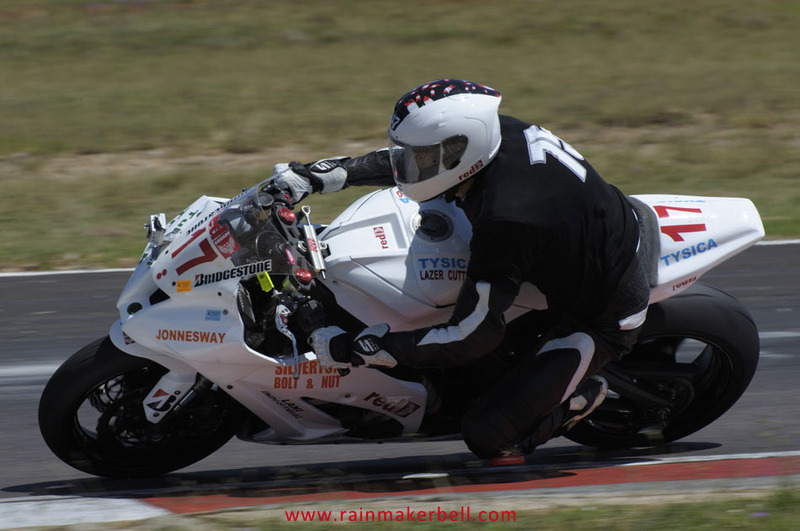 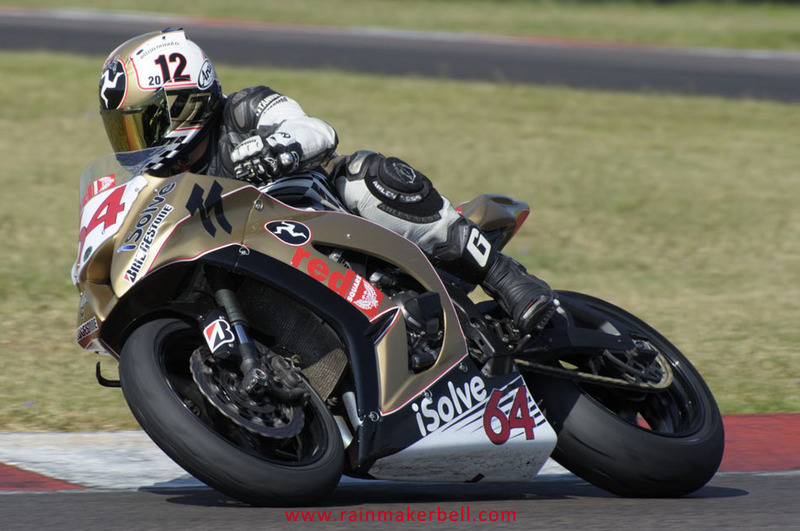 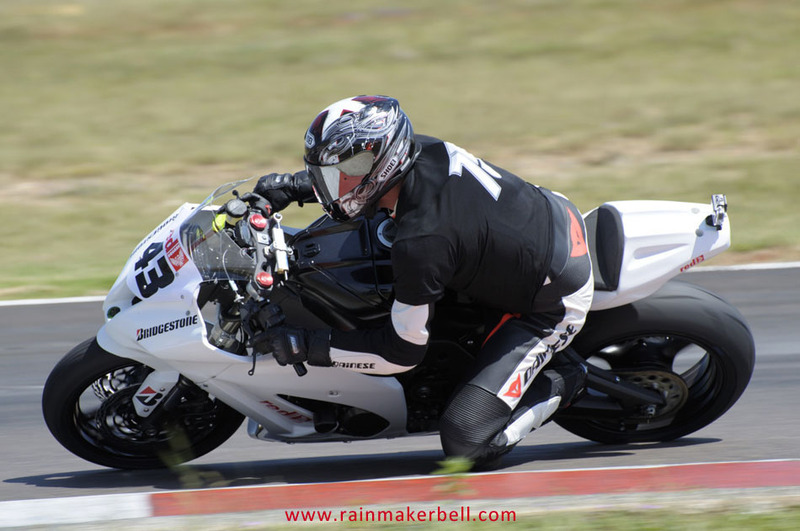 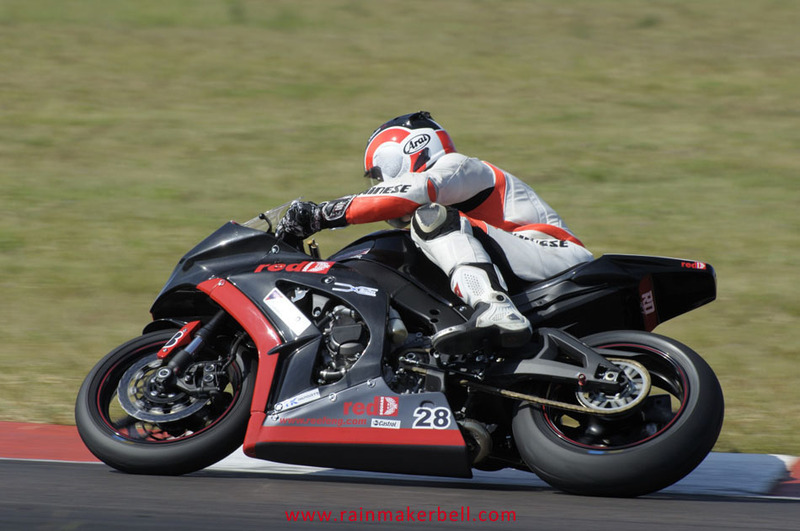 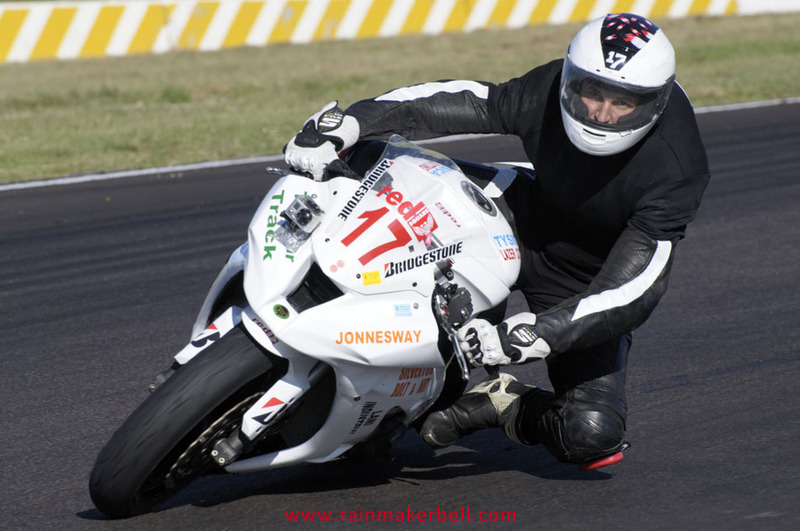 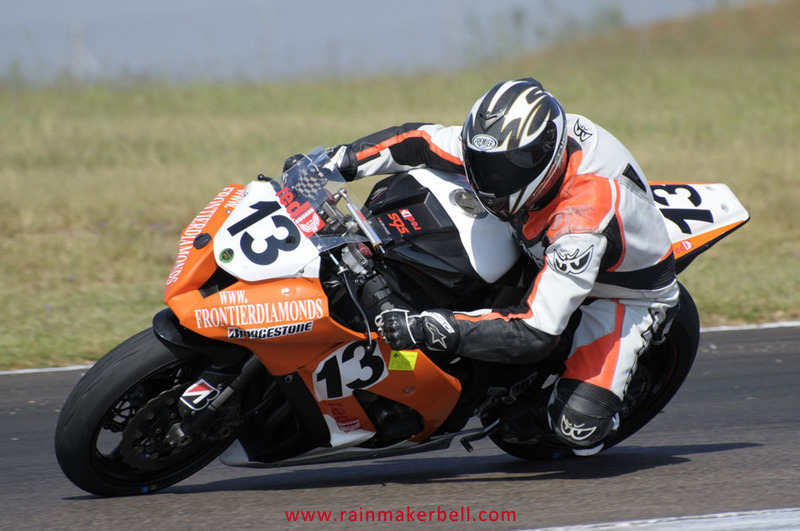 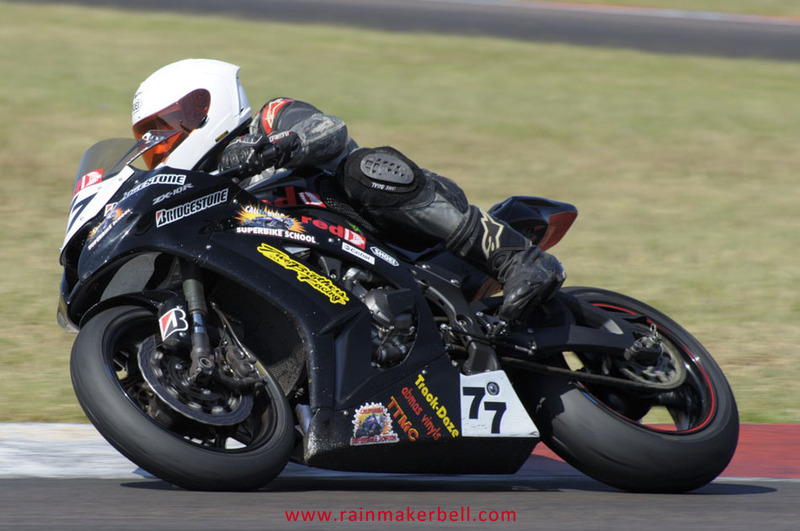 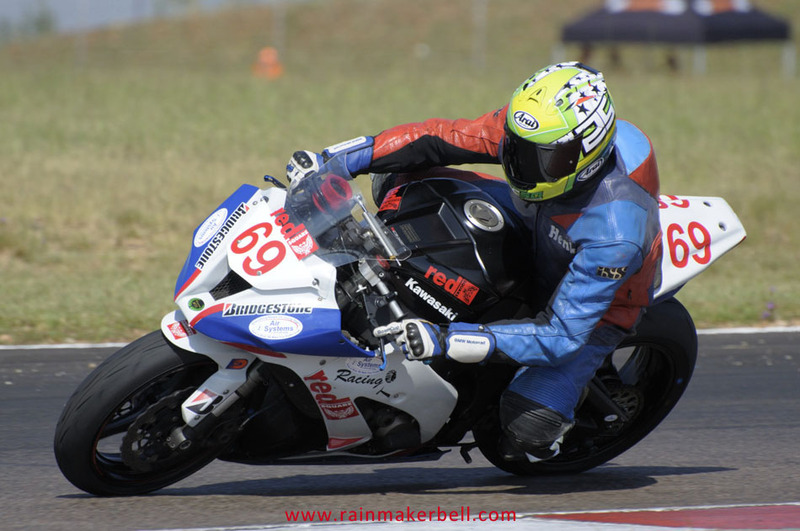 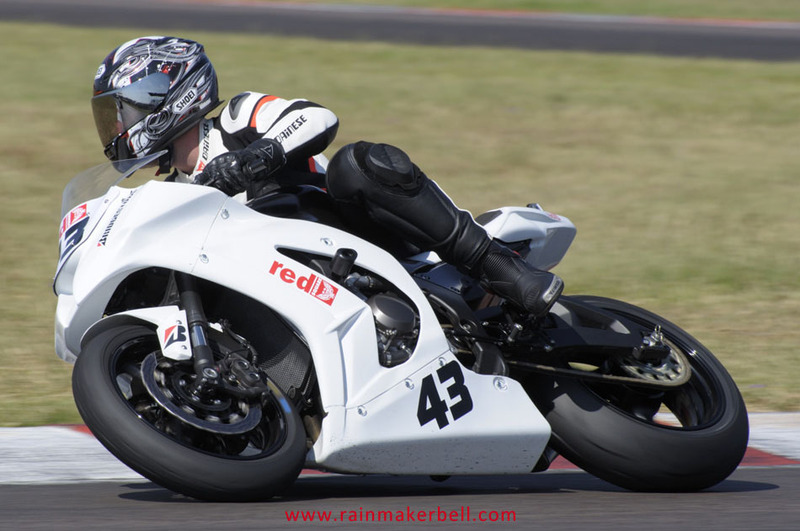 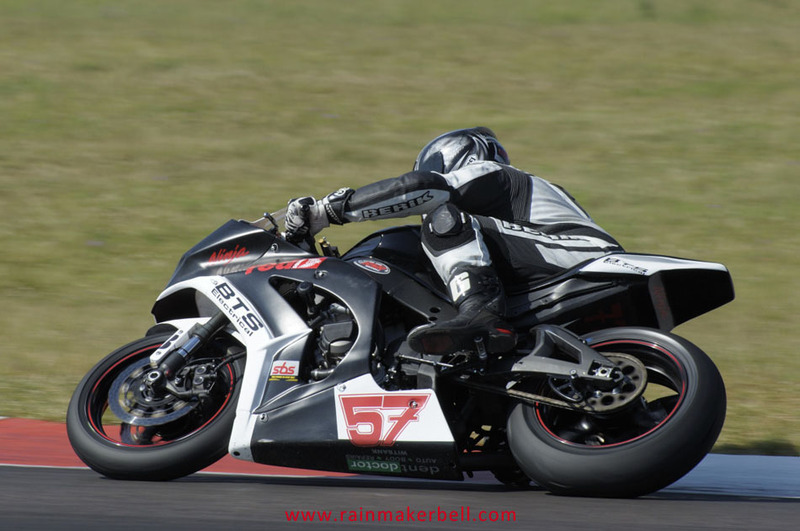 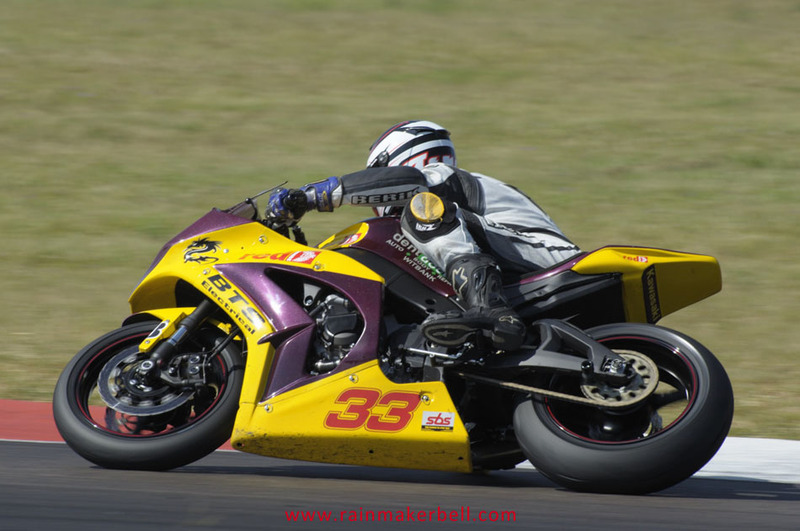 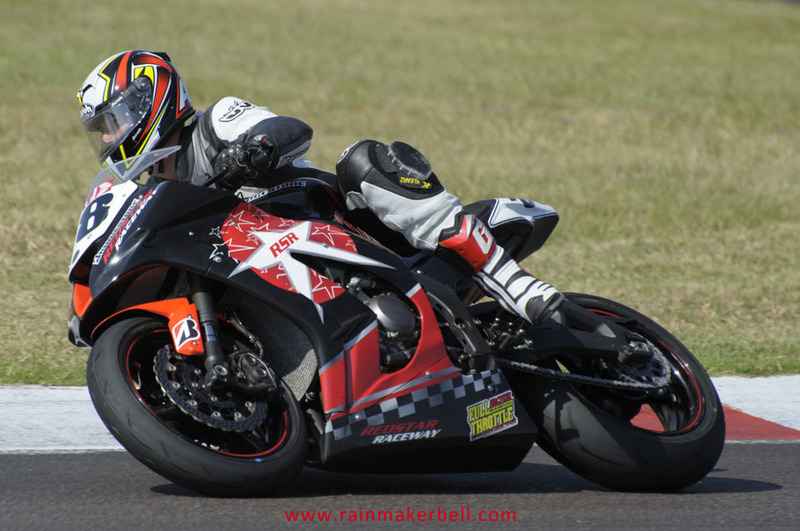 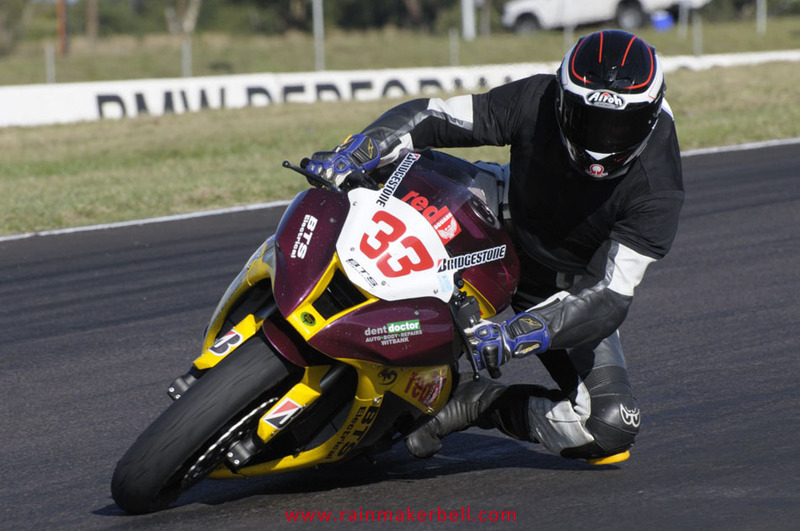 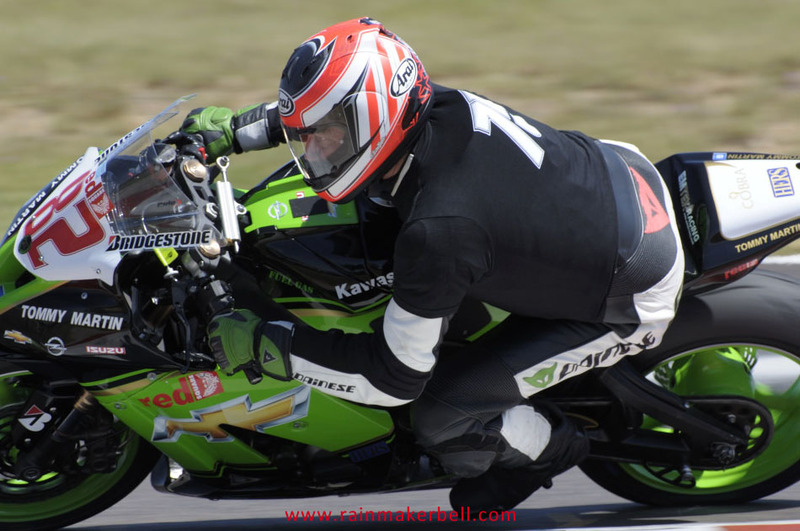 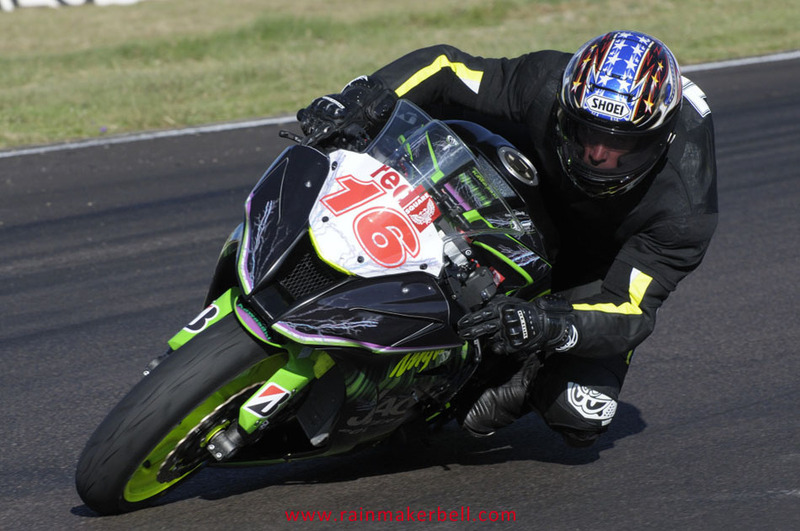 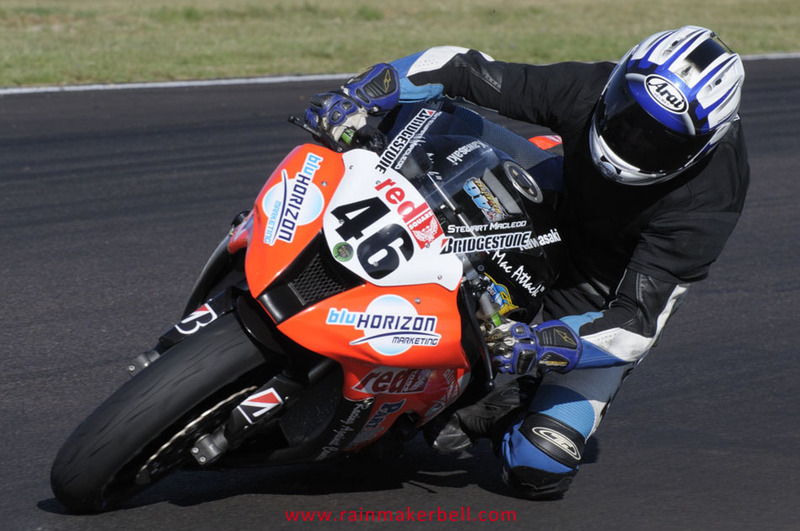 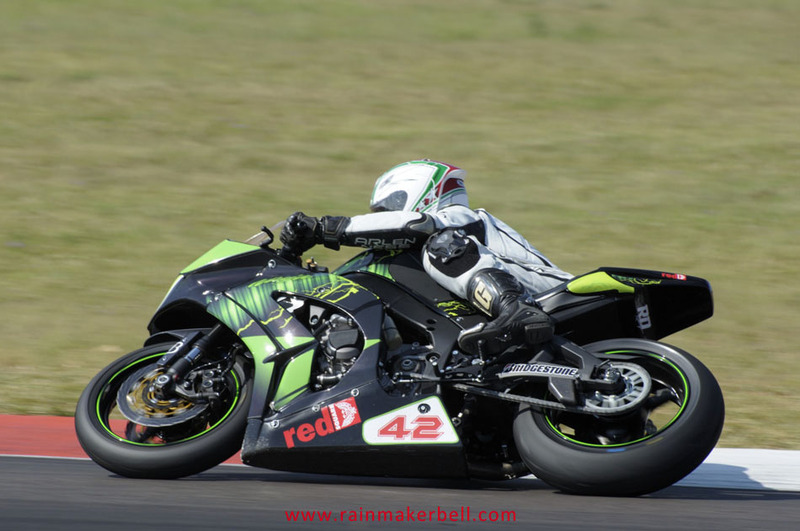 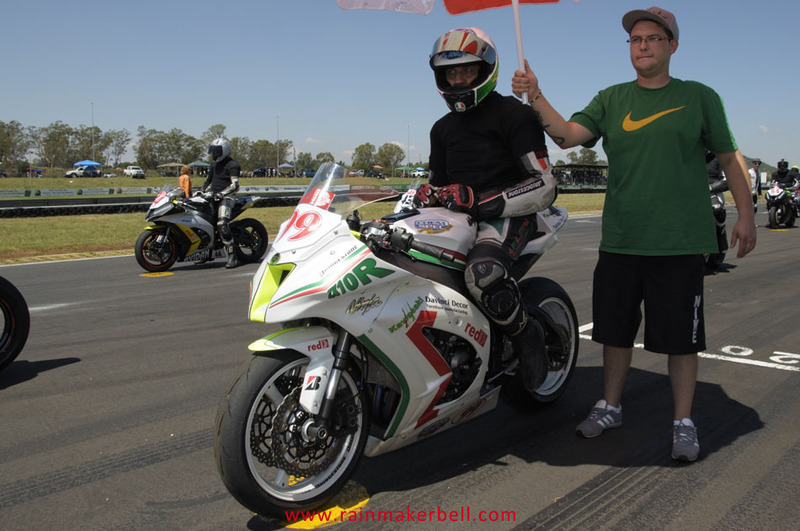 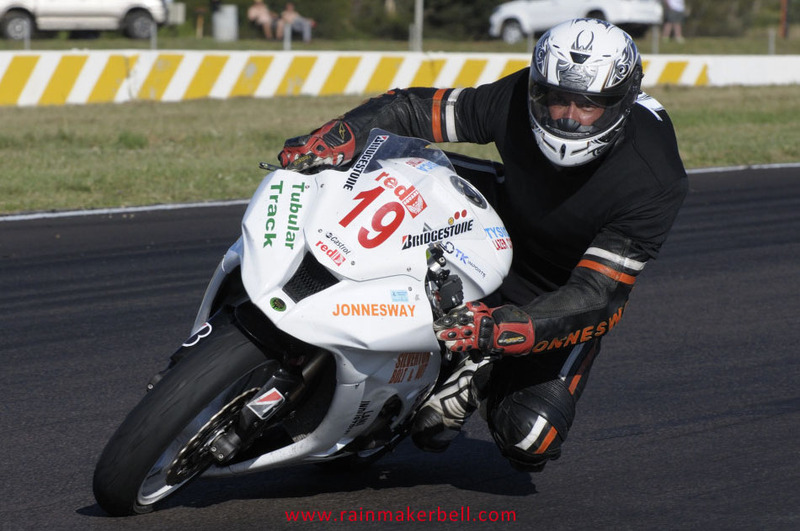 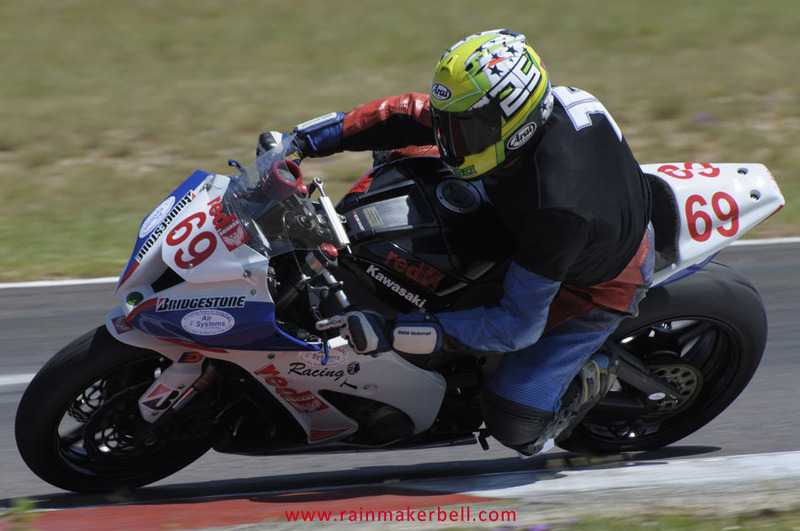 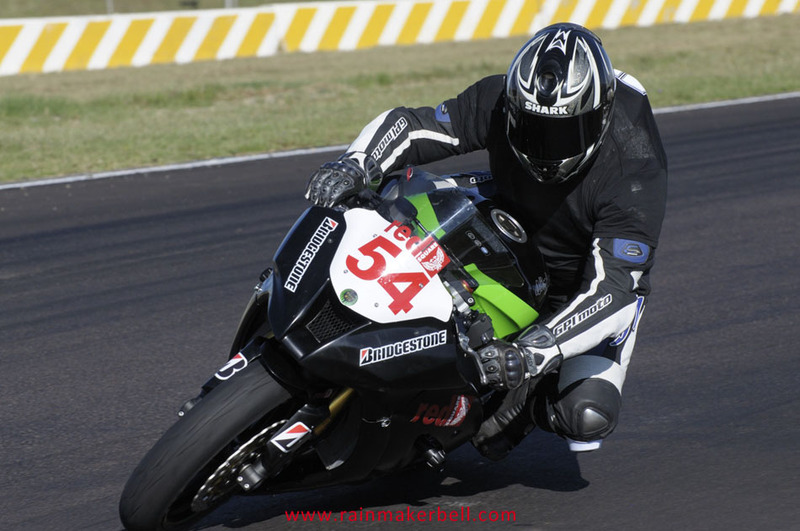 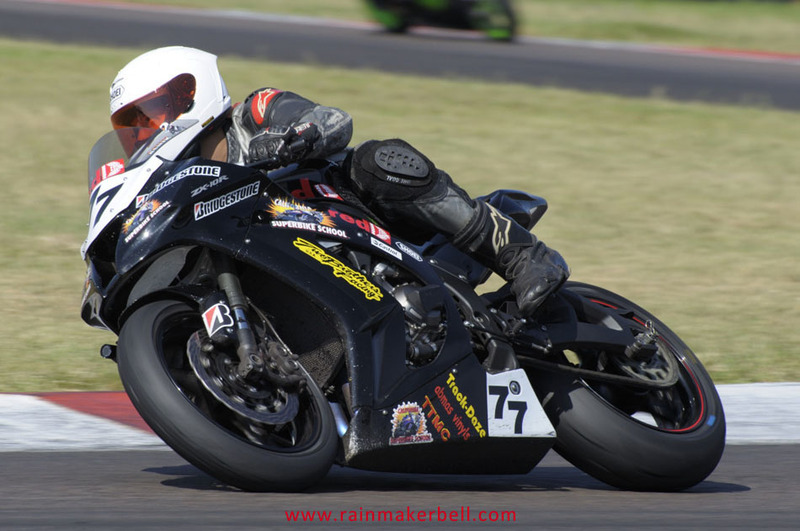 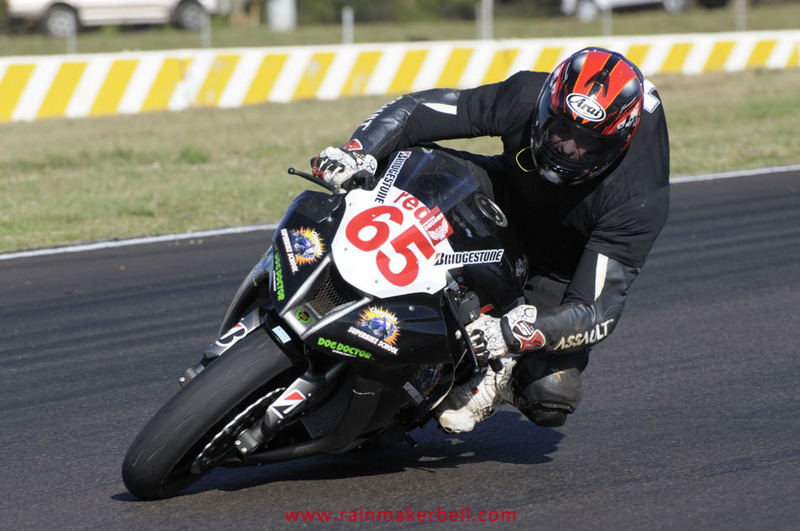 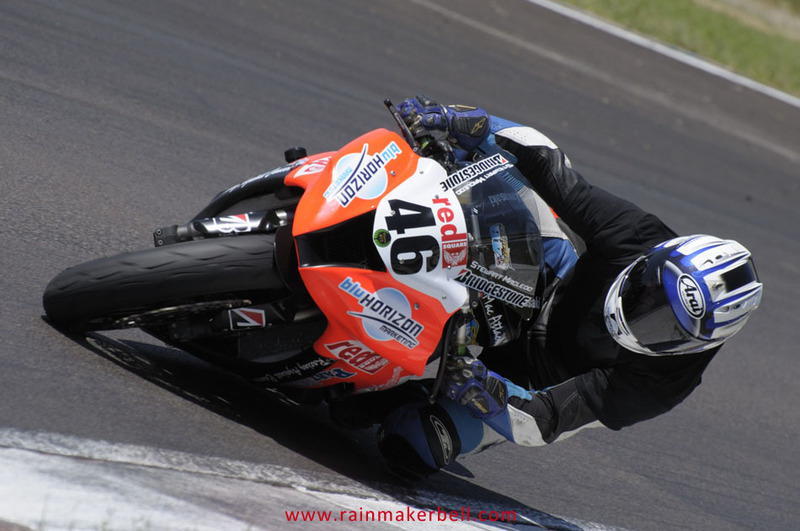 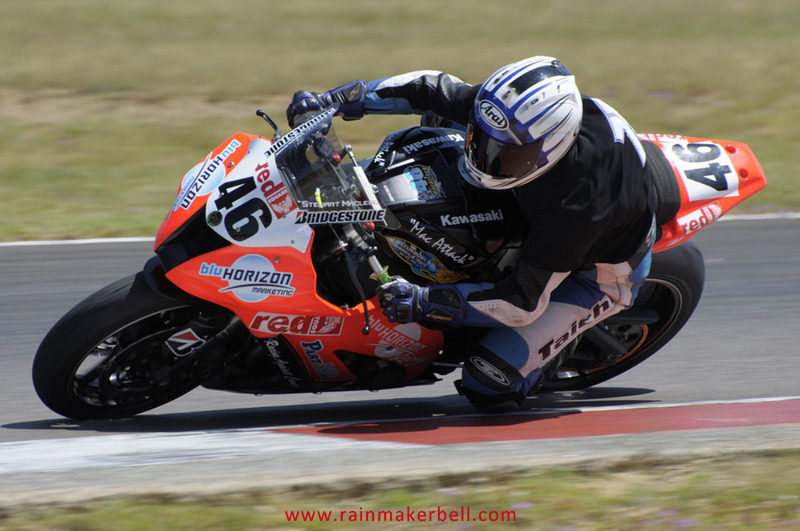 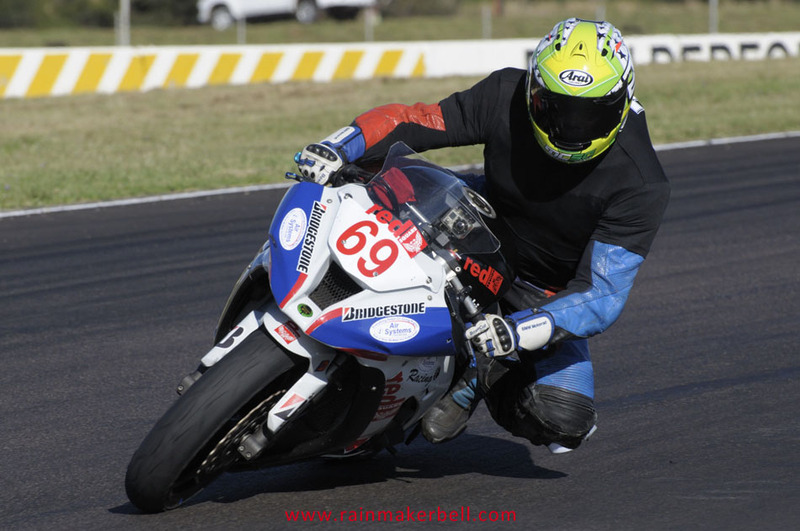 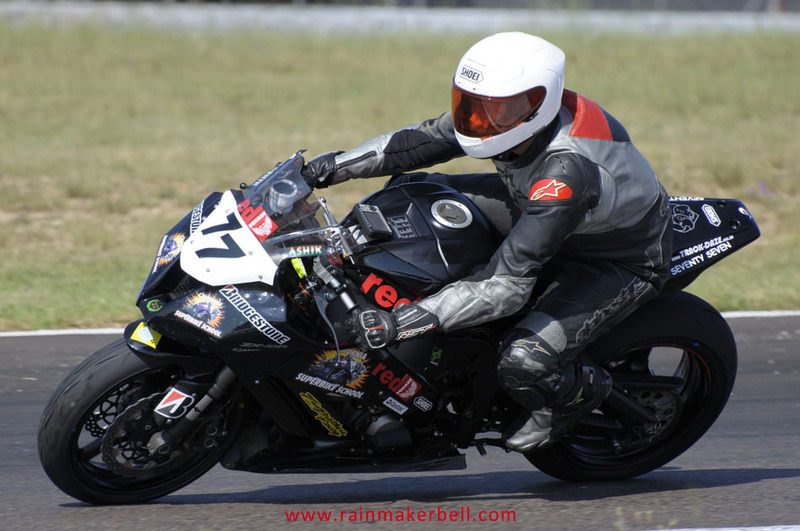 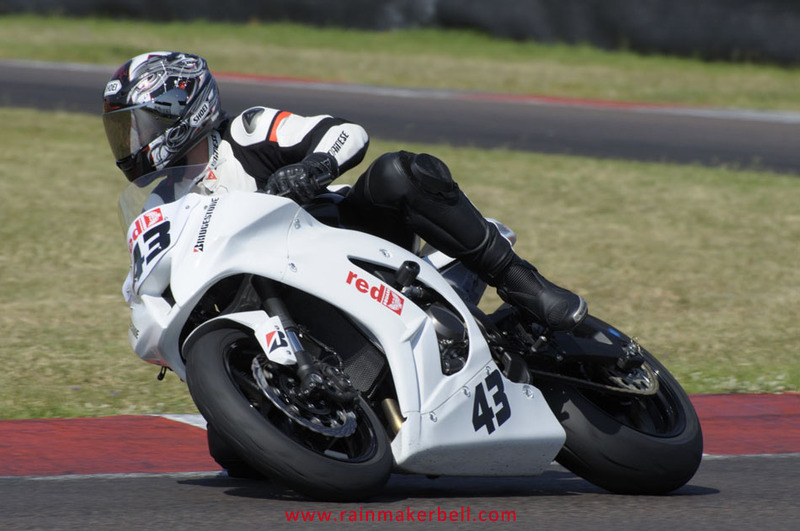 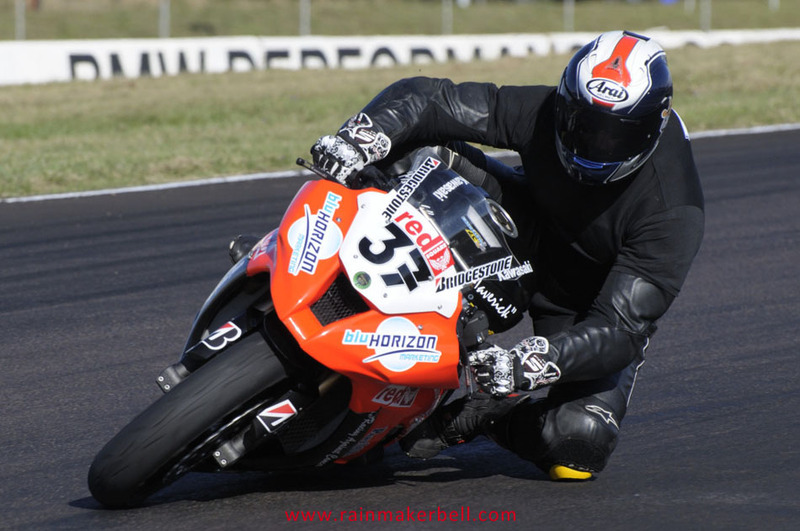 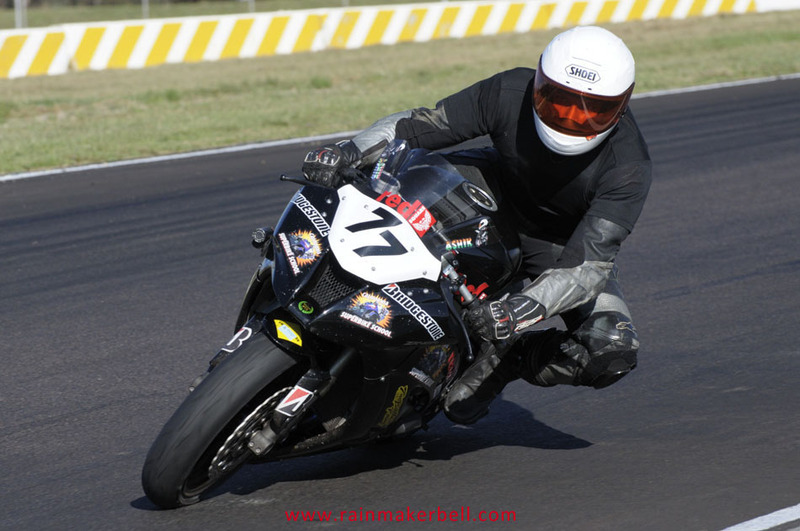 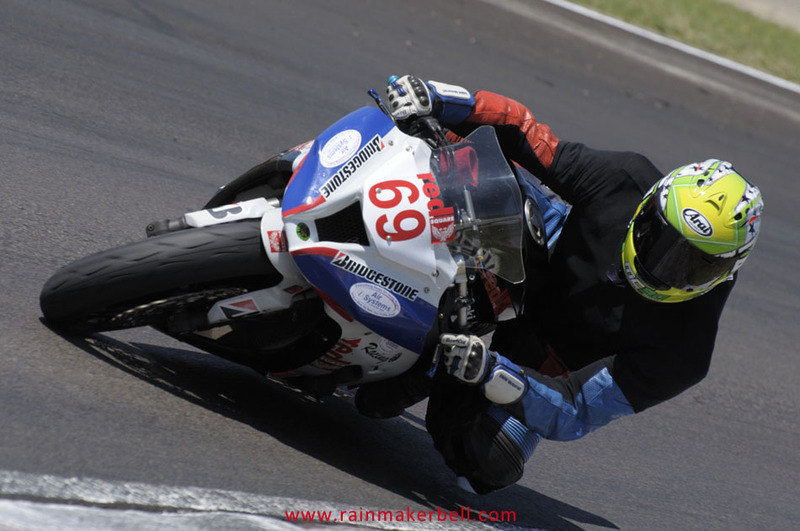 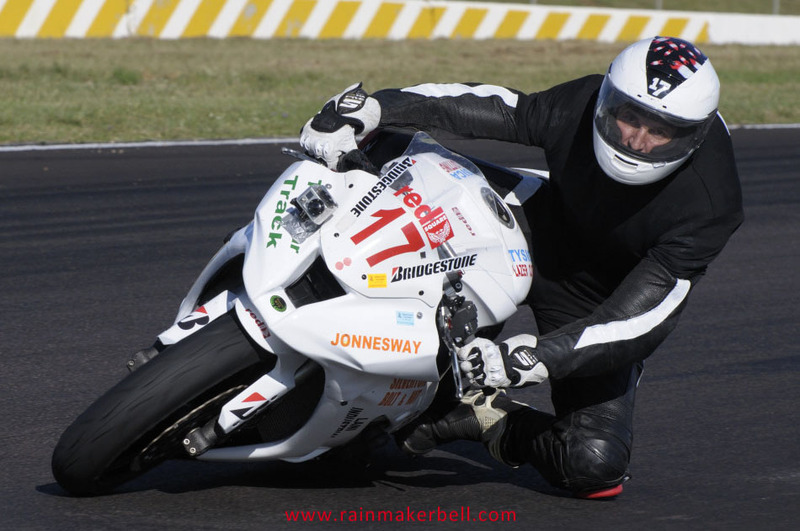 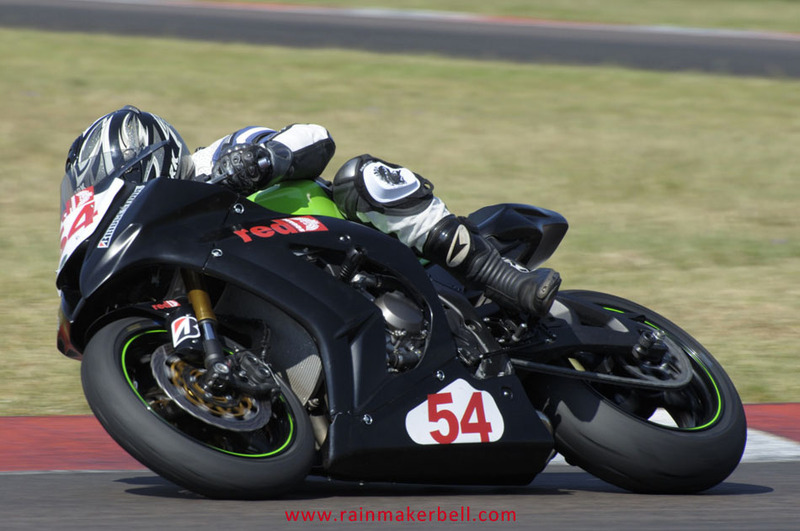 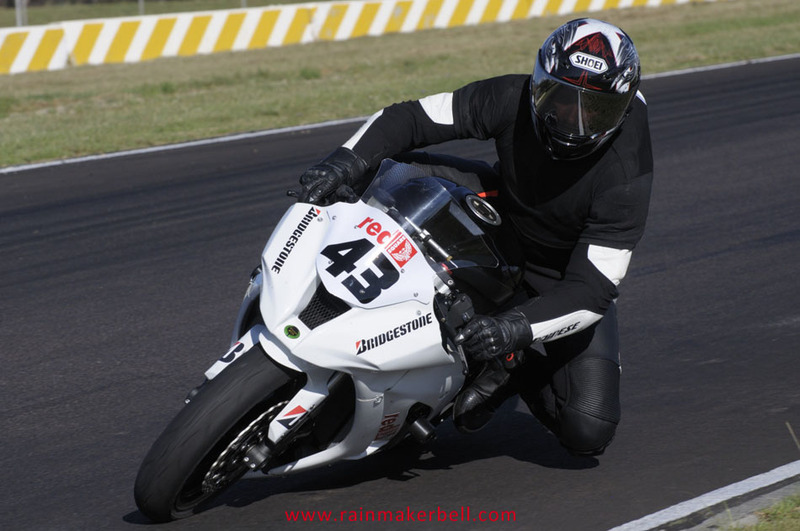 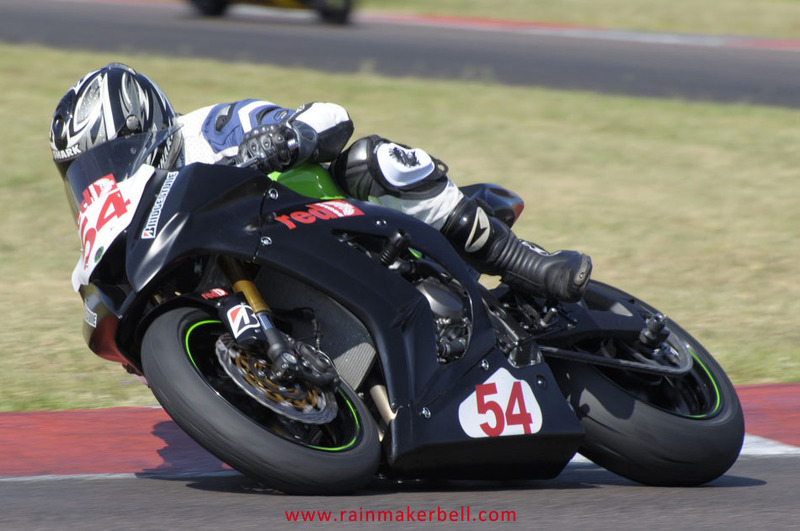 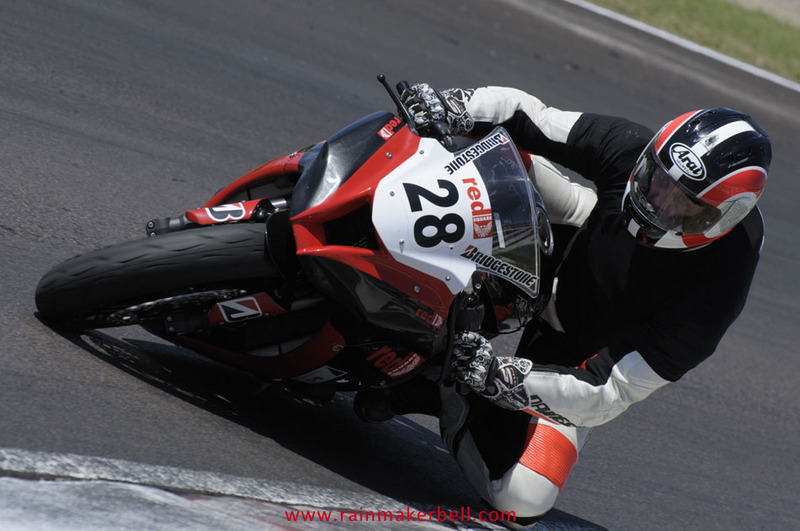 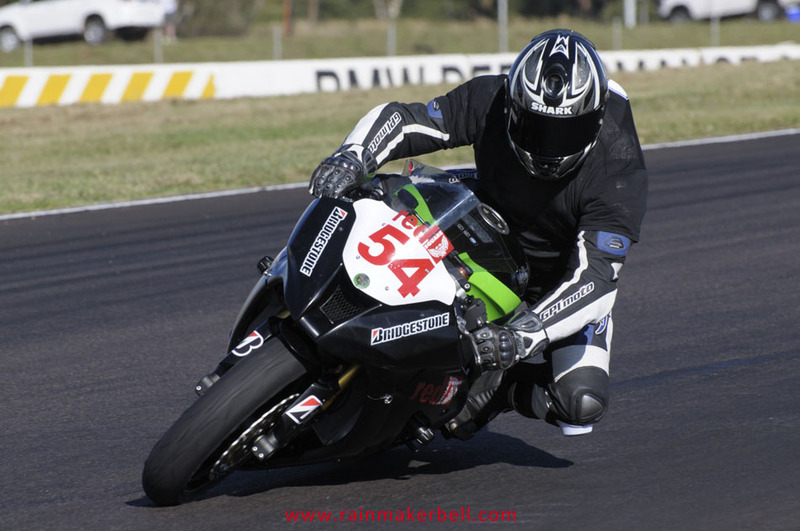 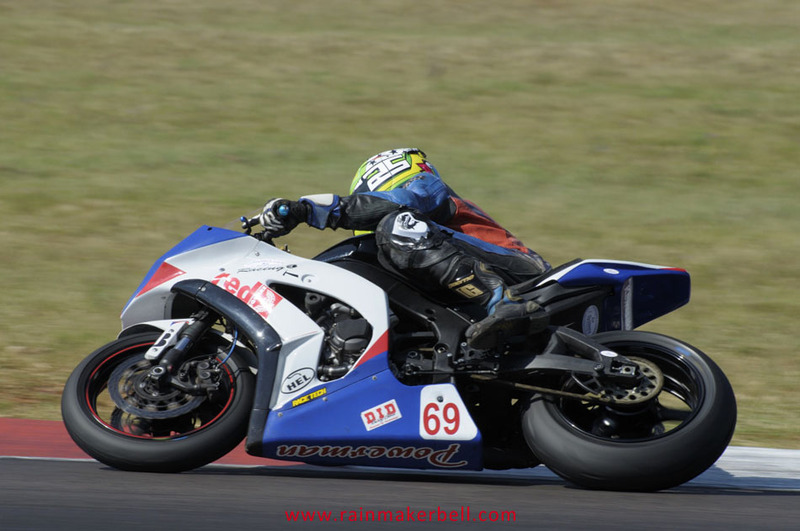 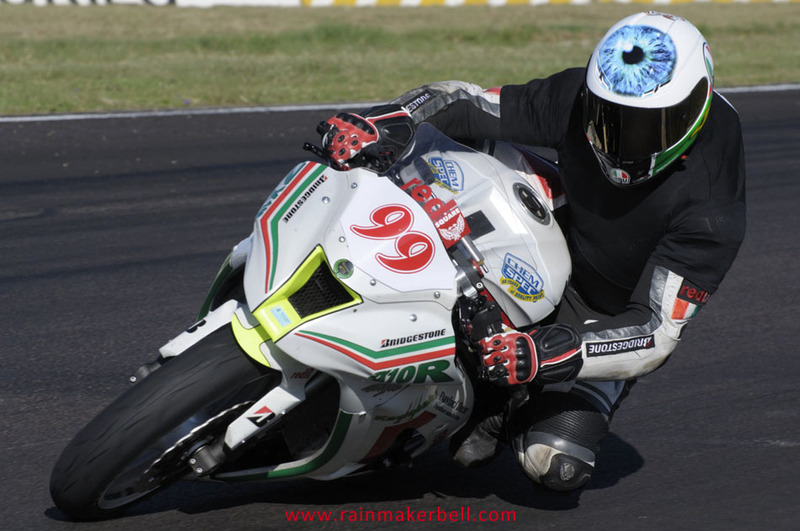 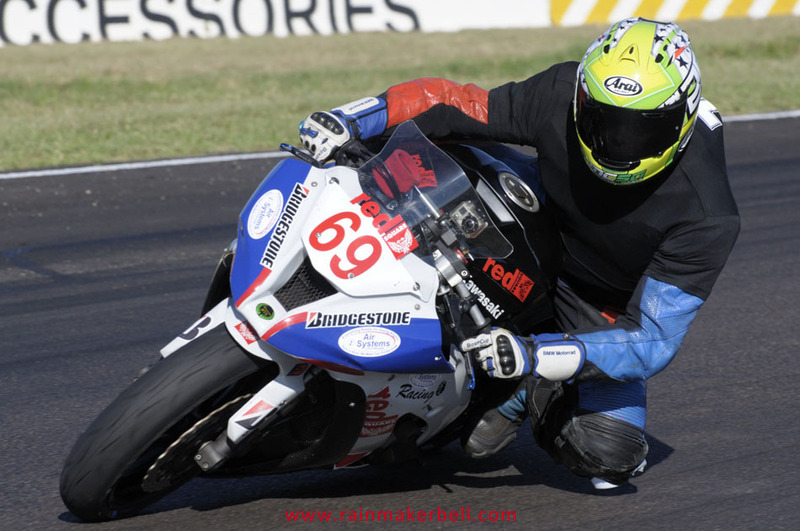 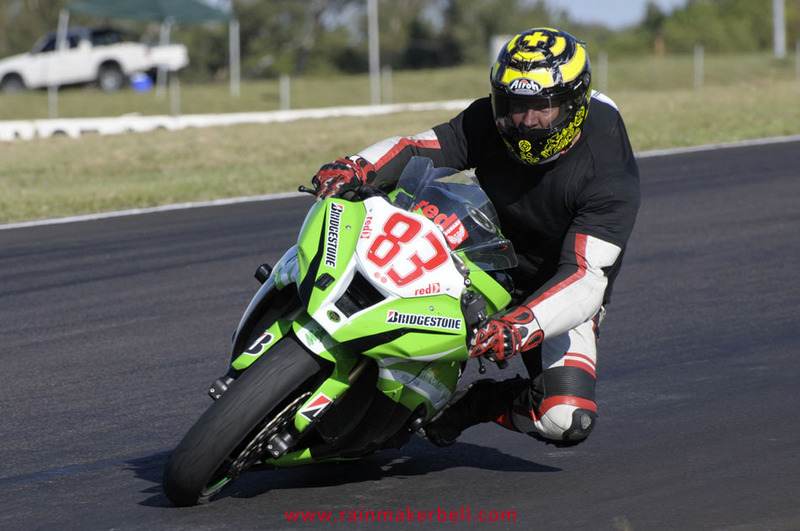 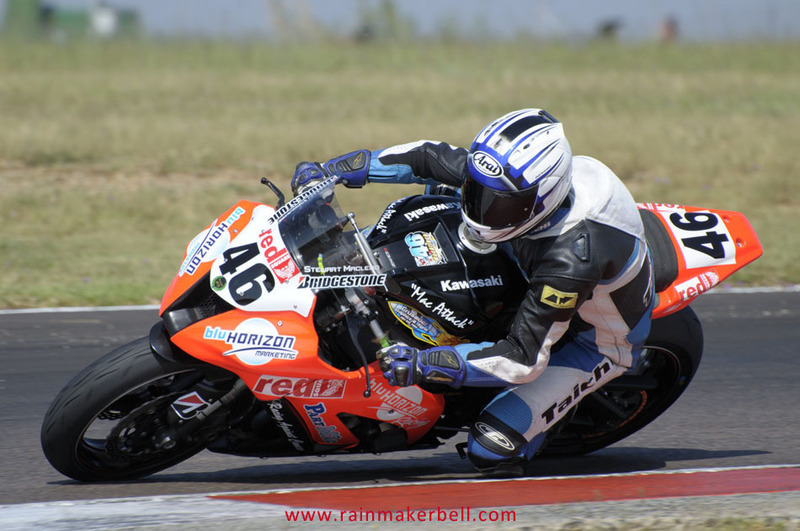 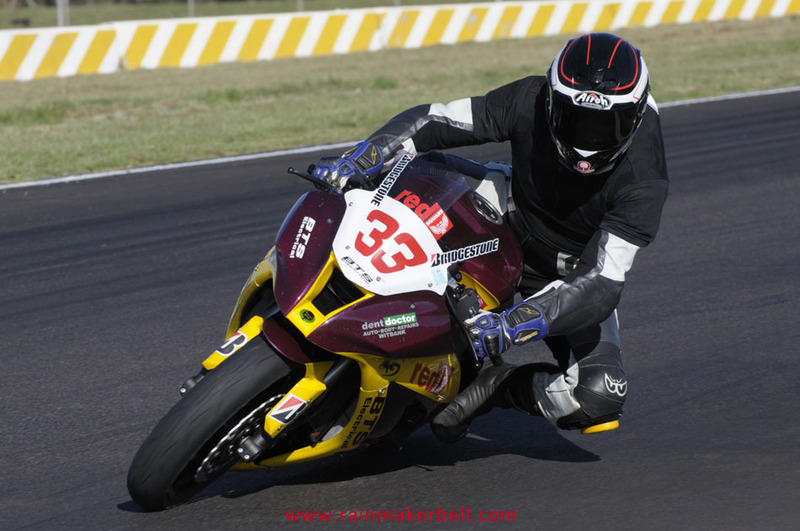 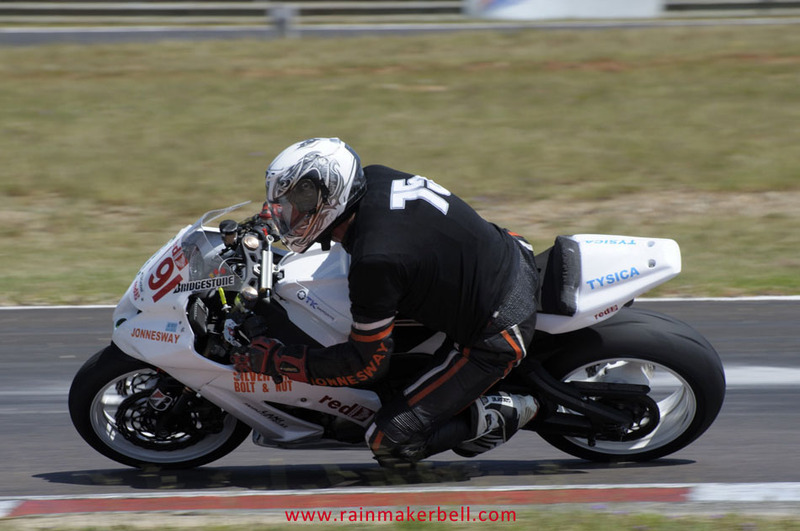 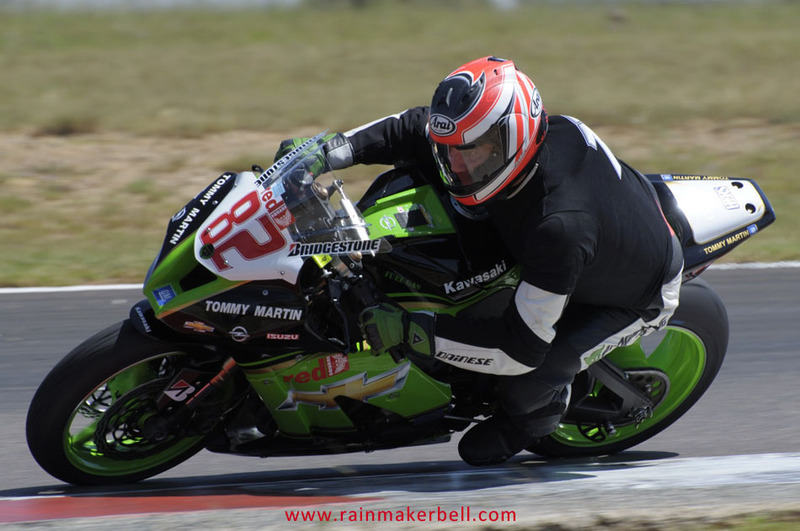 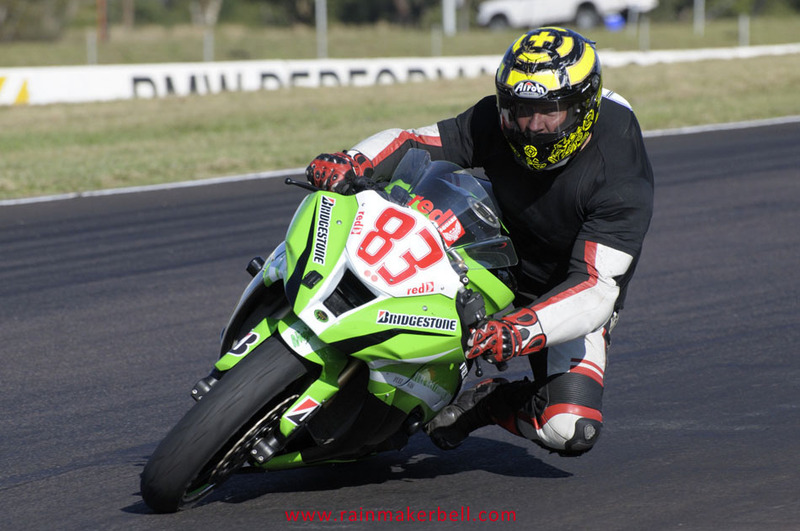 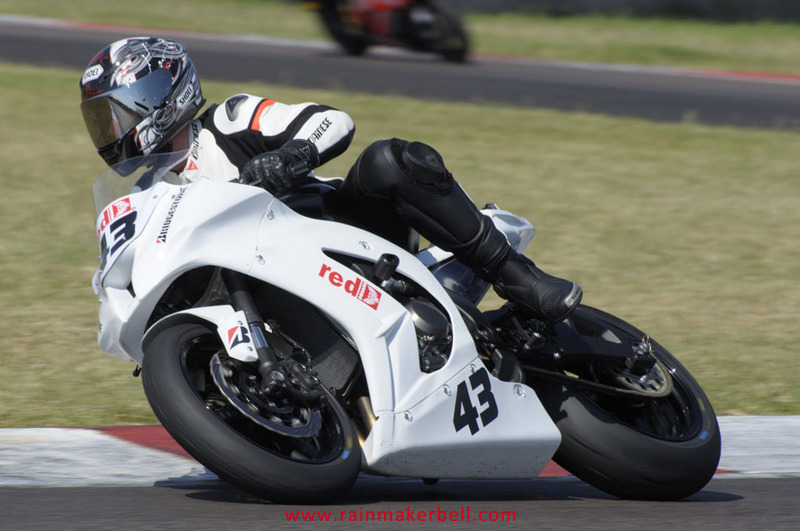 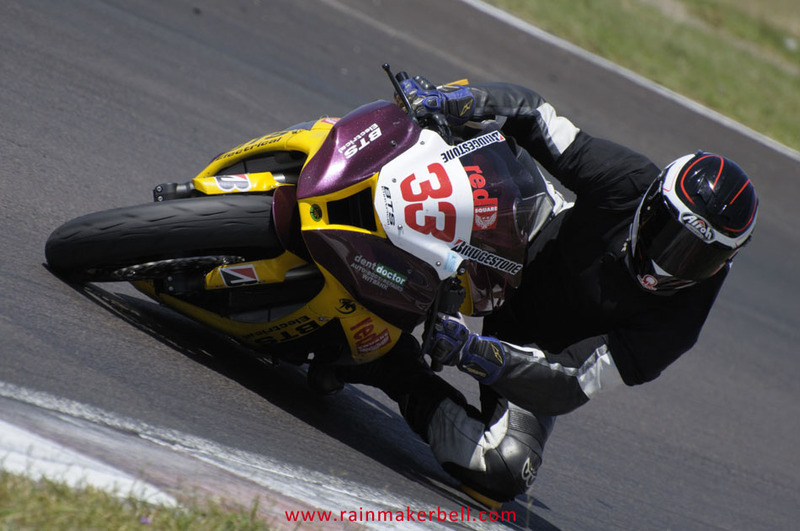 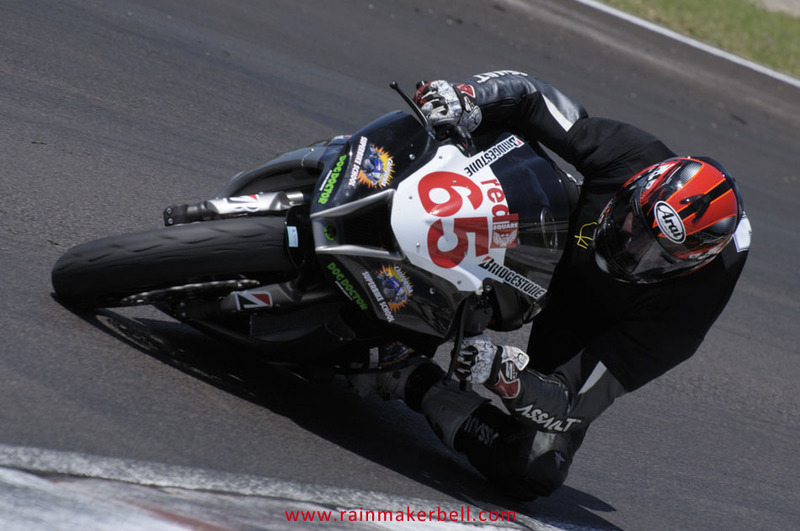 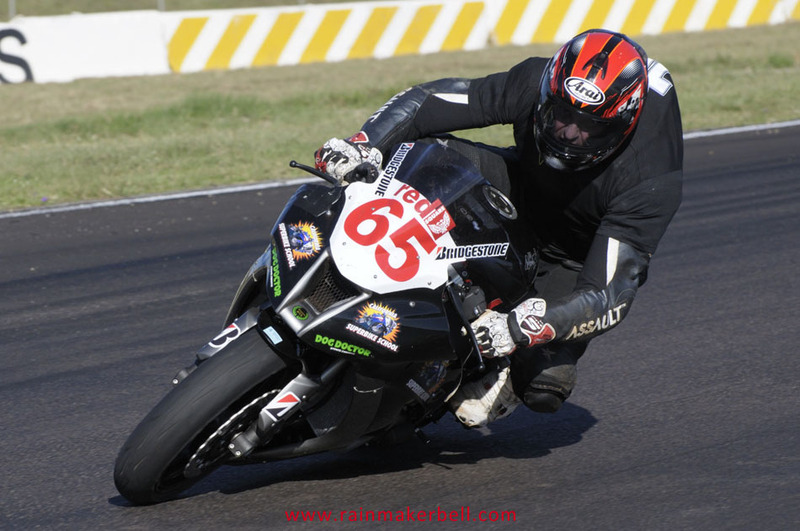 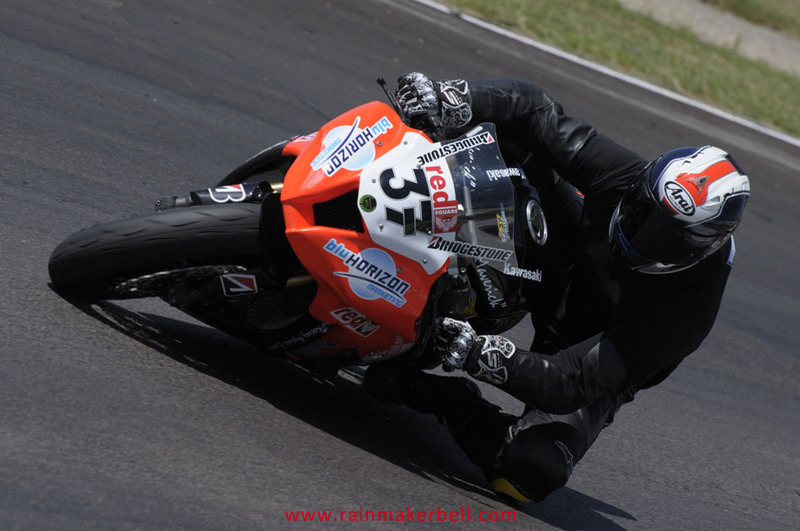 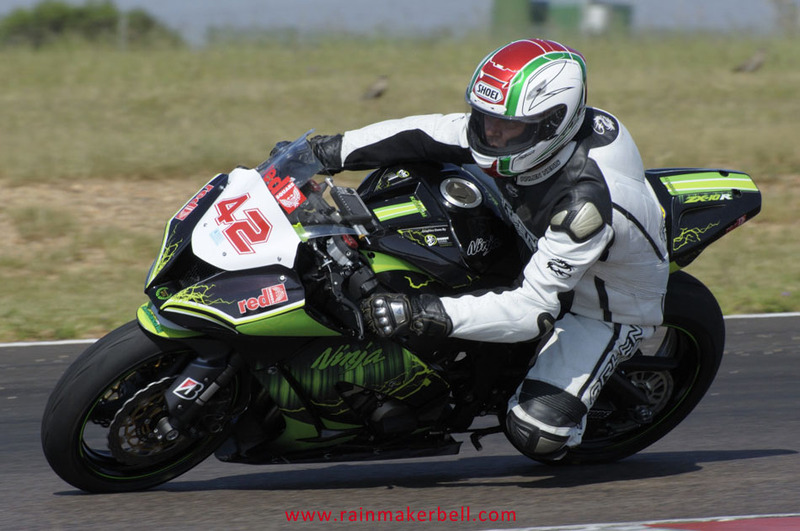 Words & Photos: Adriaan & Martine Venter (Extreme Festival, Kawasaki ZX10R Masters Cup, Zwartkops Raceway, South African Motorsport, 2013/03/09, 213 images) Main Image: LTR, Rodney McLachlan, Frans Saunders, Walter Marafioti. 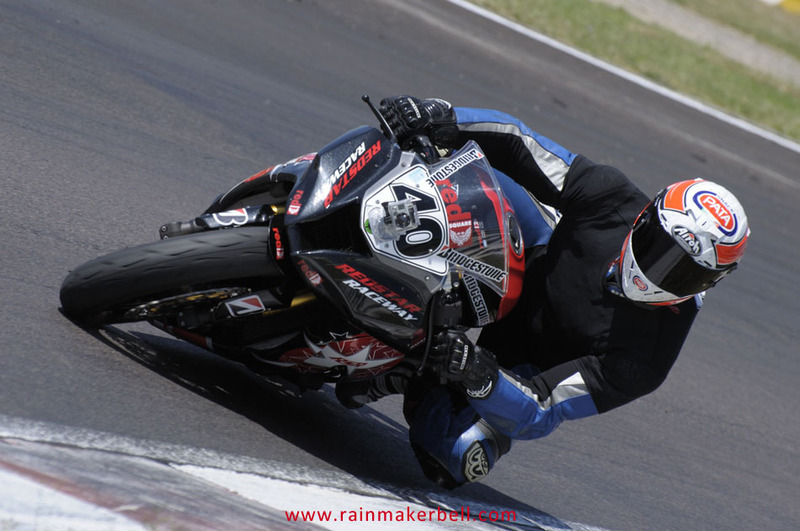 *Speed out of turns: turn 3 - 211kmph, turn 4 - 207kmph, turn 7 (left hander) - 163kmph, main straight - 187kmph. 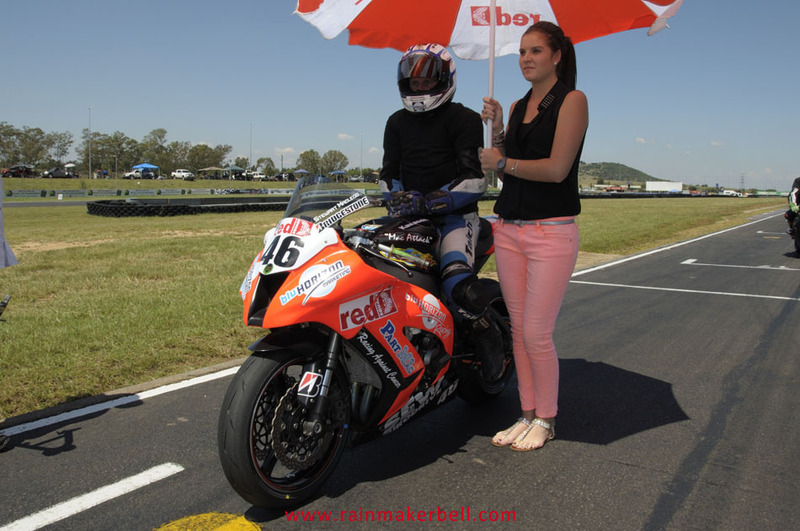 Contributor: Pieter de Vos #17.